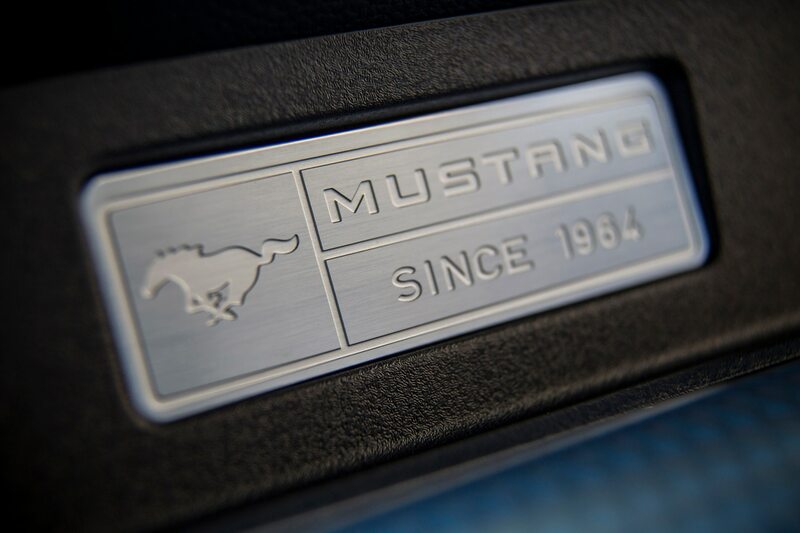 They said they’d be back. 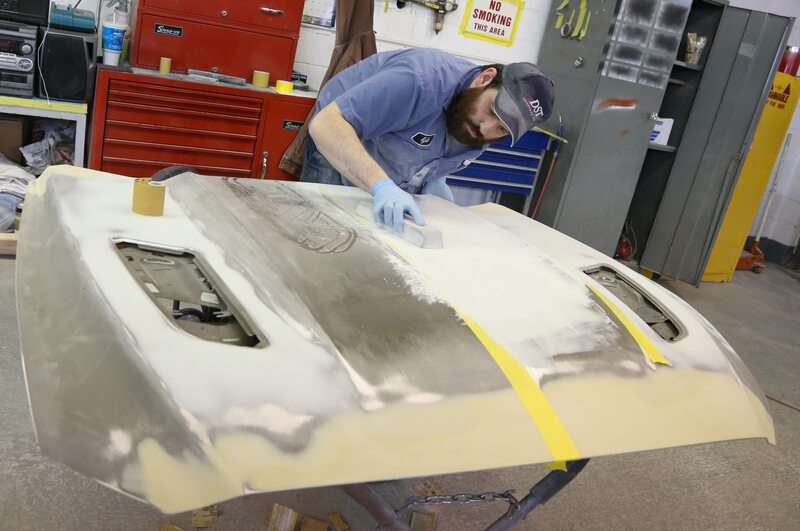 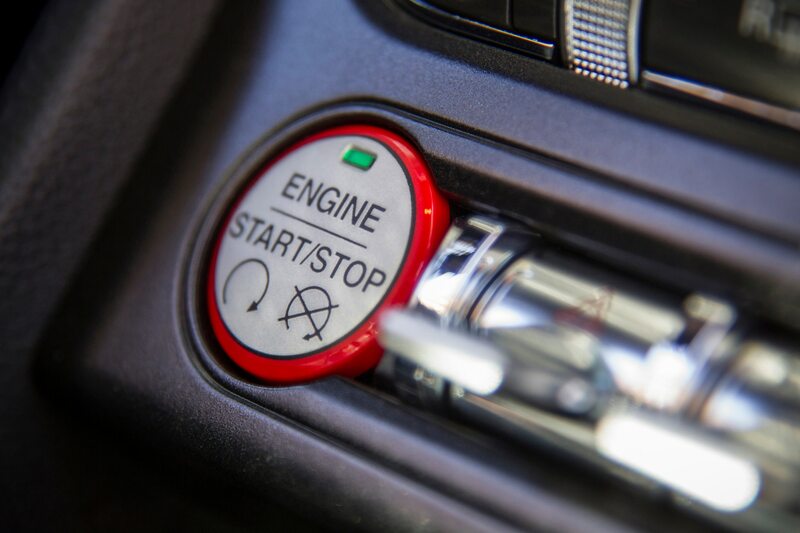 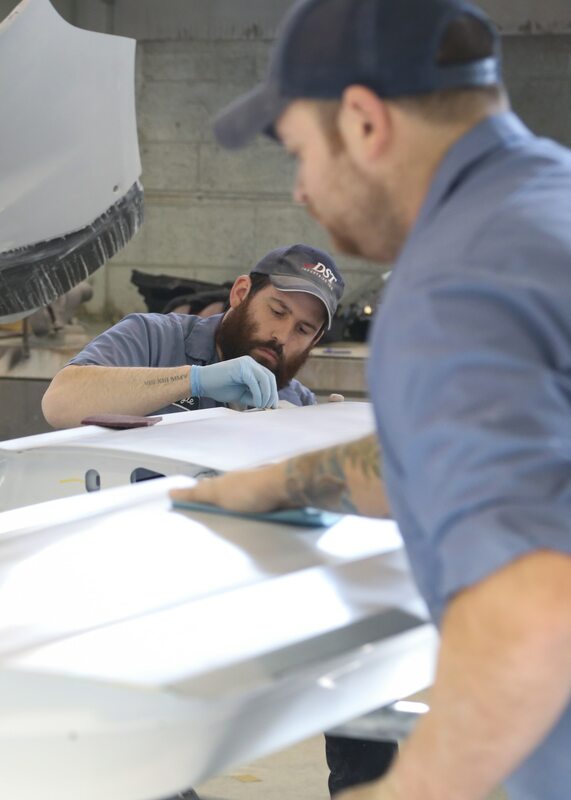 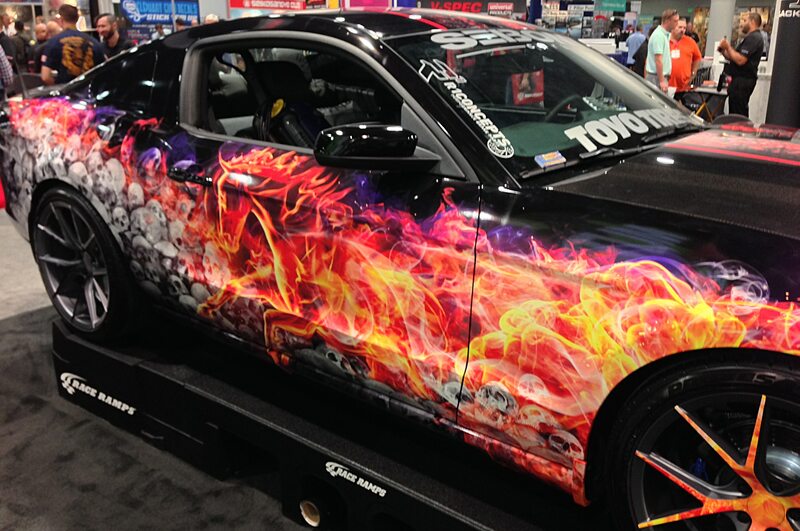 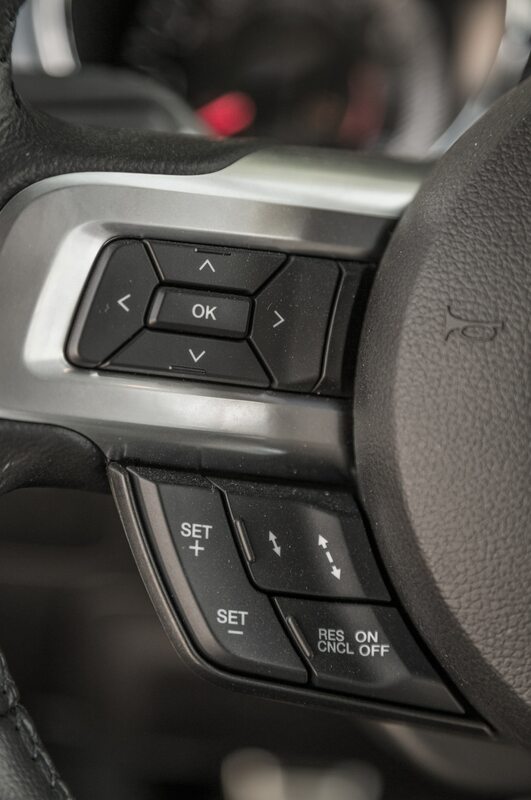 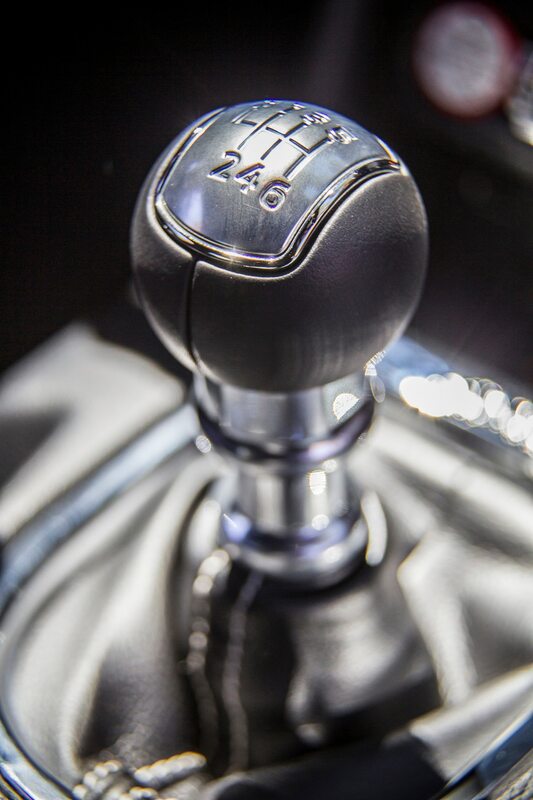 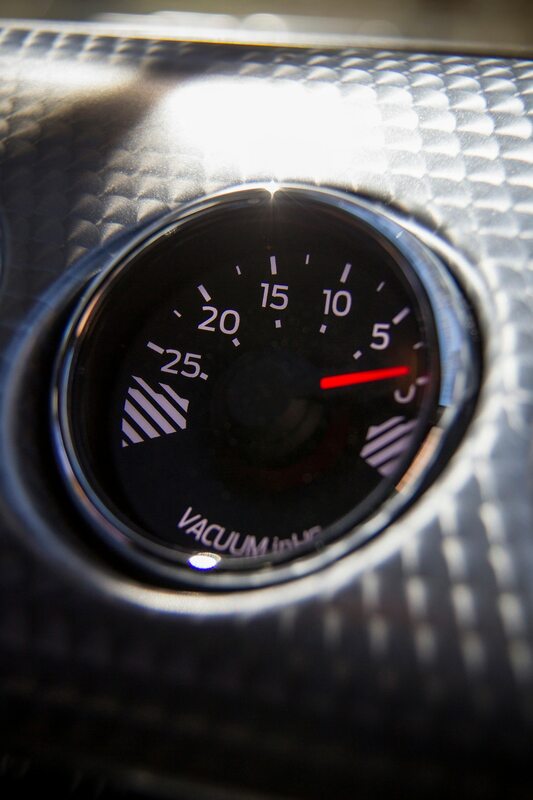 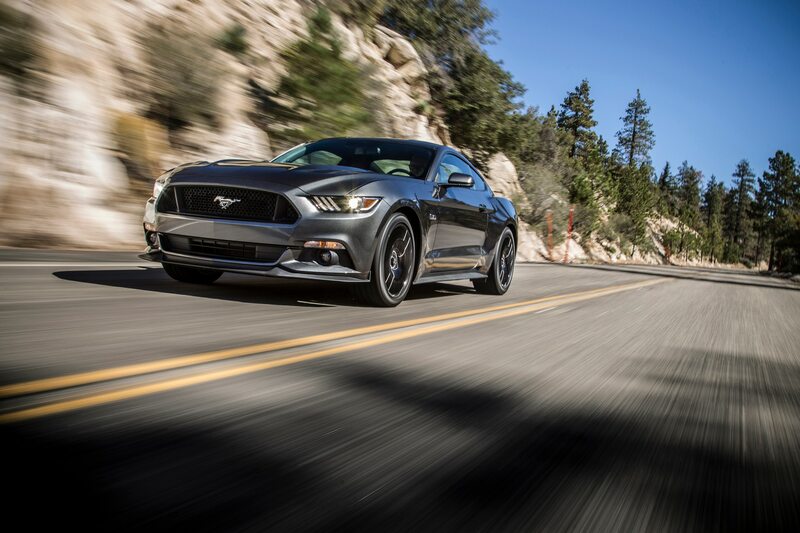 If at first you don’t succeed, just add more horsepower and rpm and try again,” John Hennessey said in a statement after his latest top speed achievement. 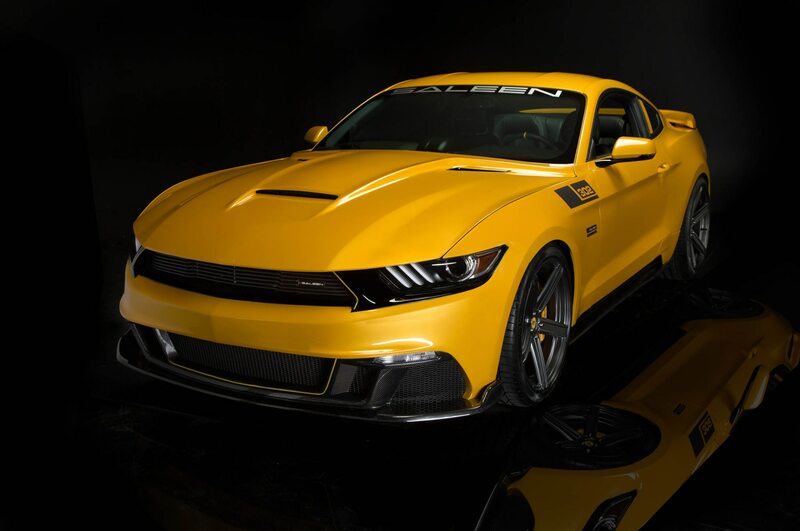 This time, the mad Texan’s new Hennessey HPE750 2015 Ford Mustang GT broke the 200-mph mark with a staggering top speed of 207.9 mph. 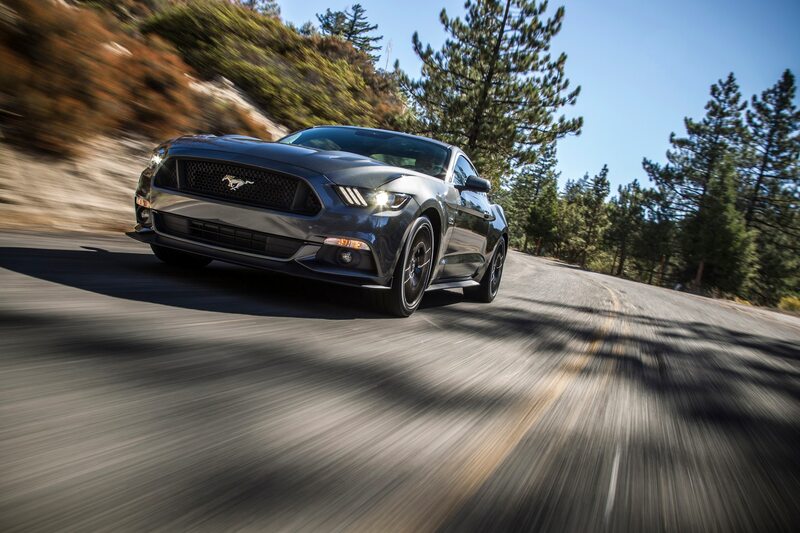 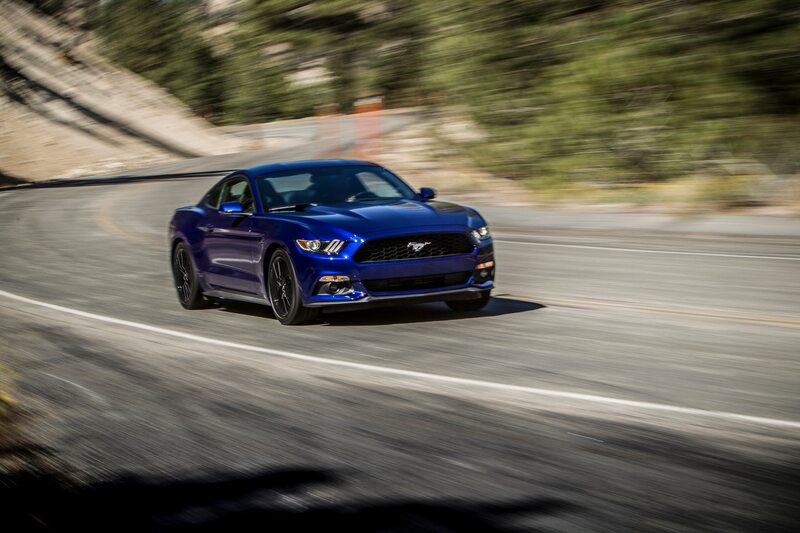 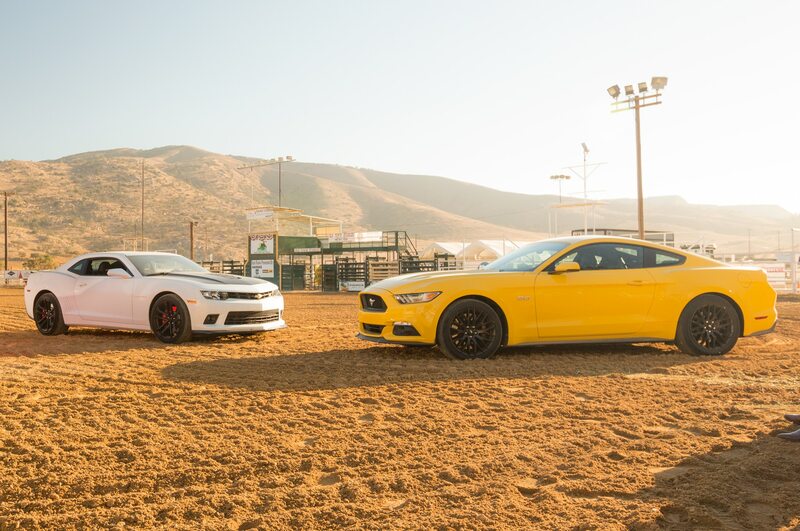 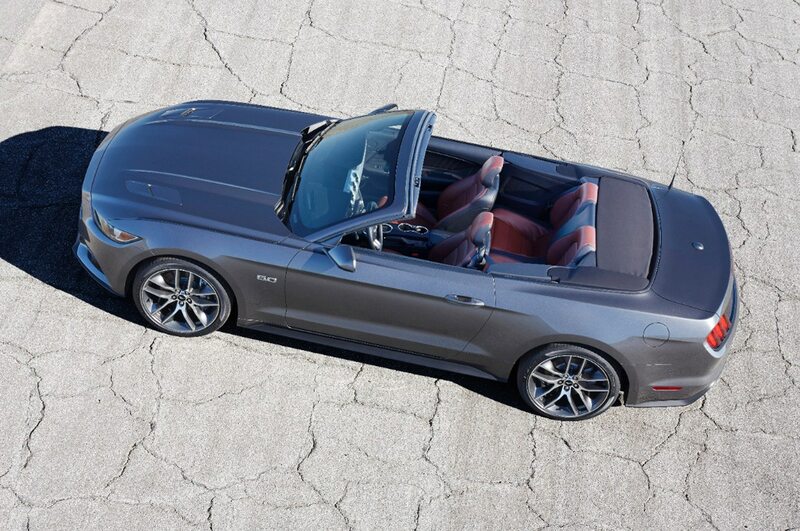 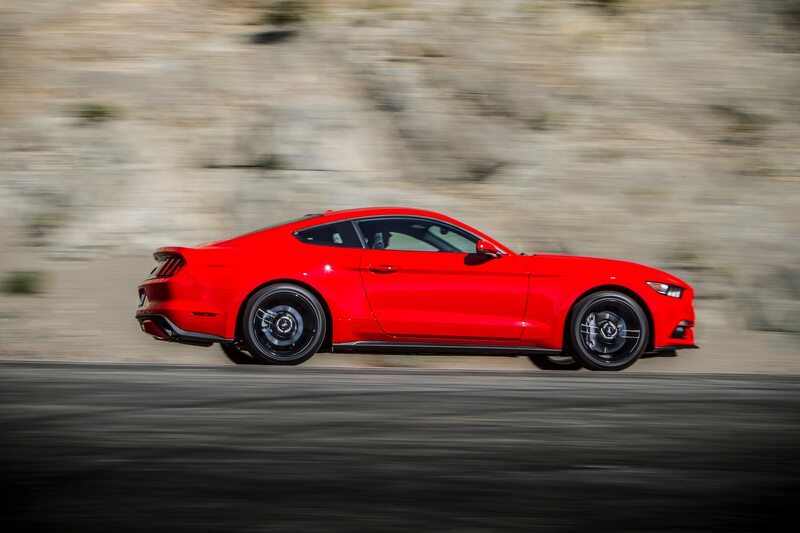 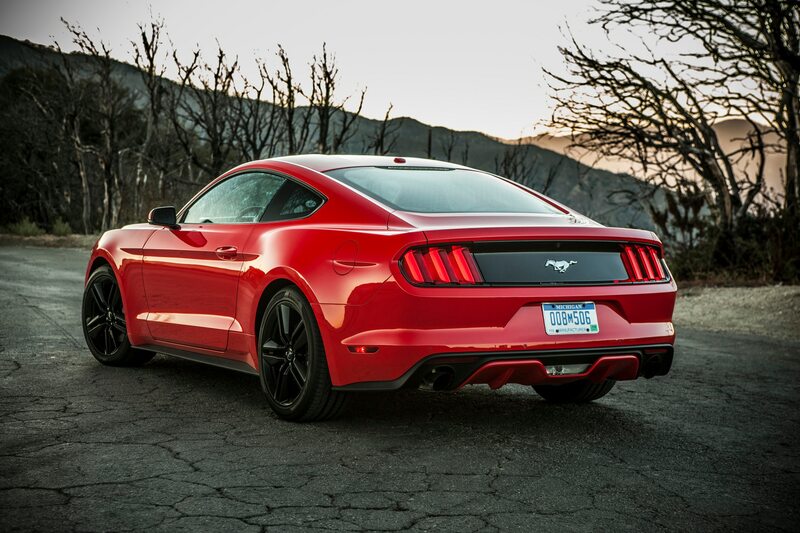 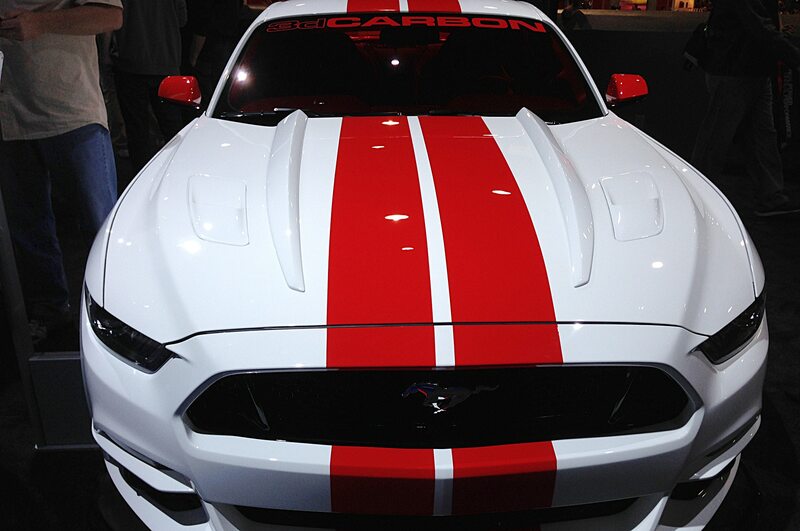 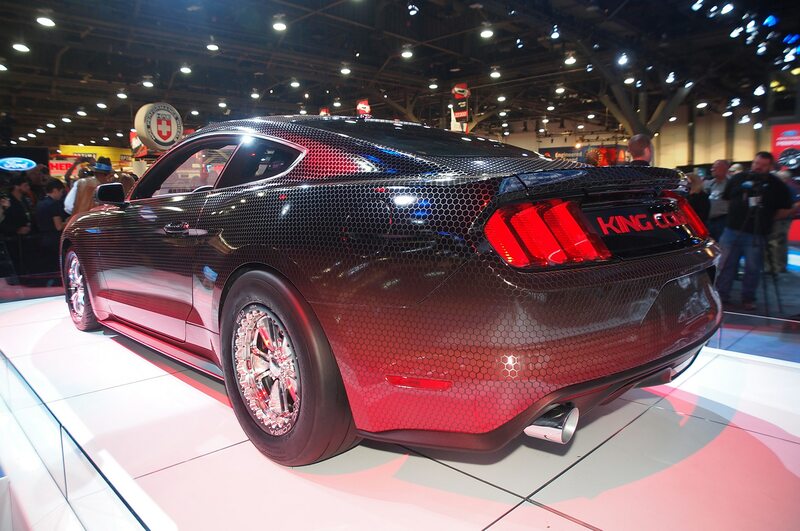 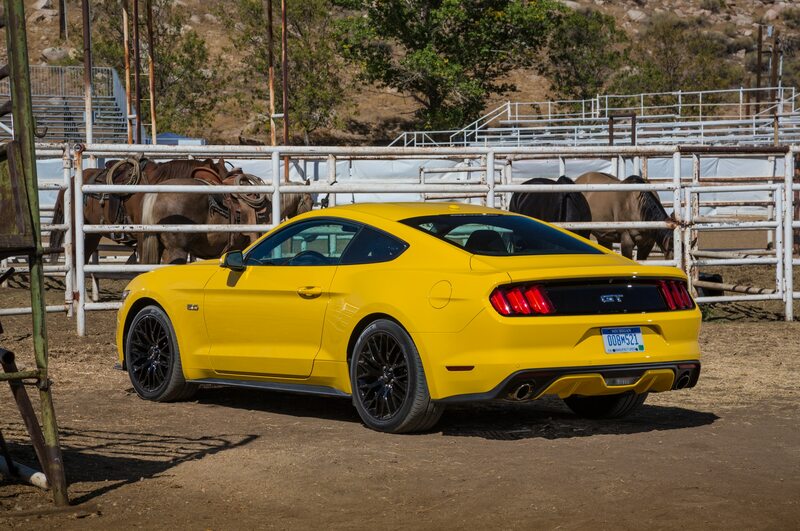 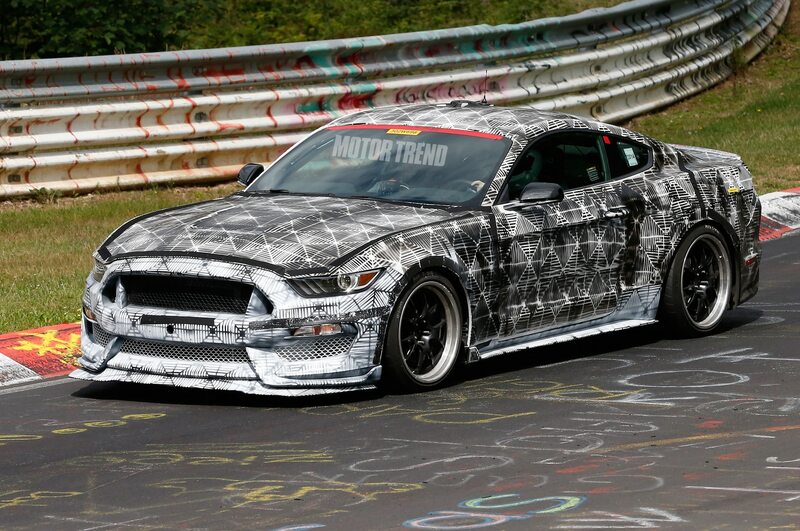 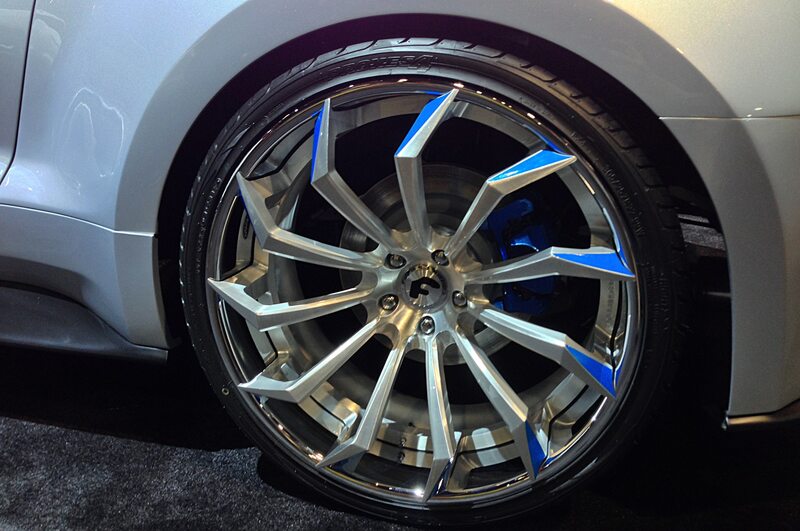 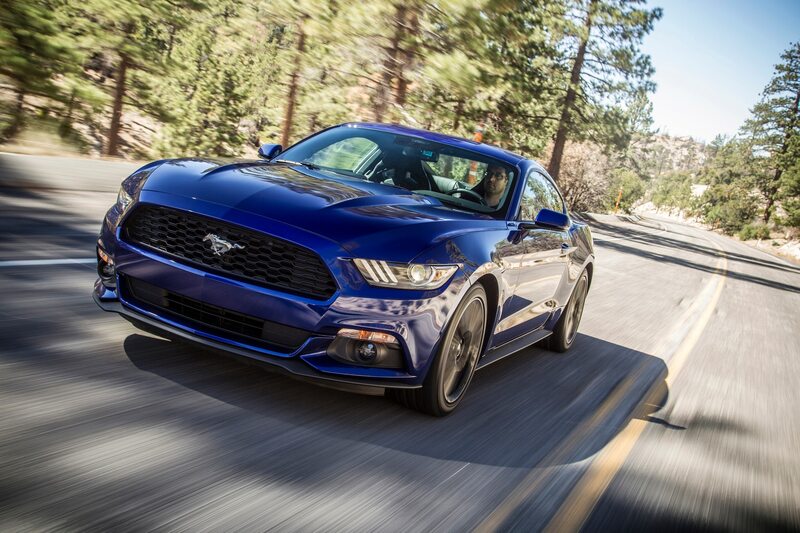 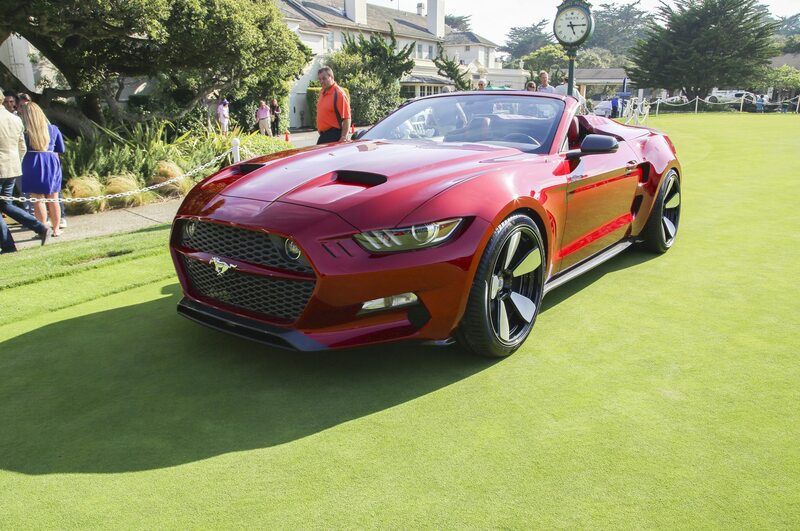 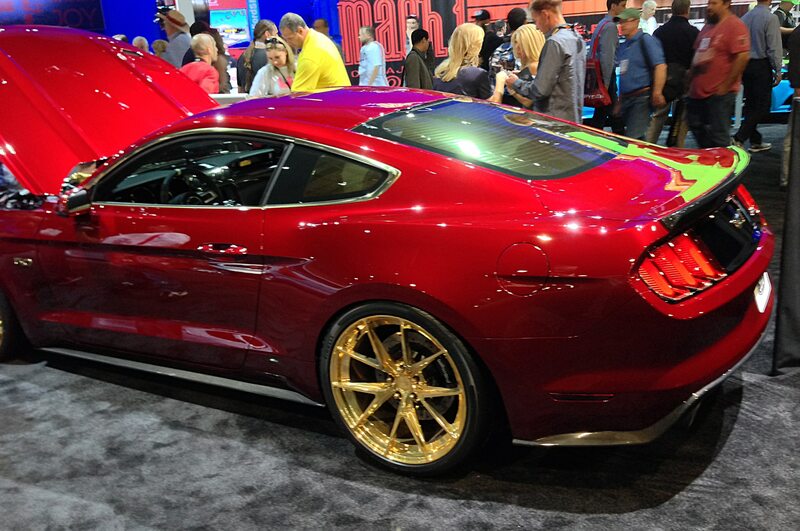 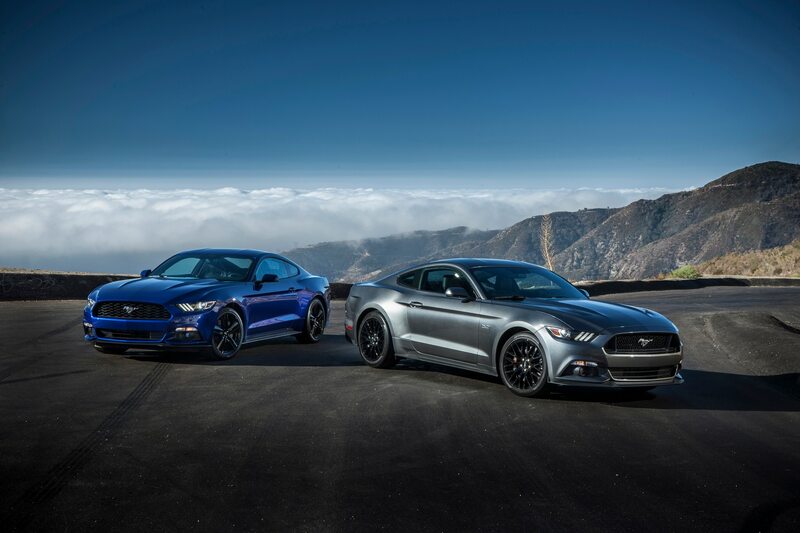 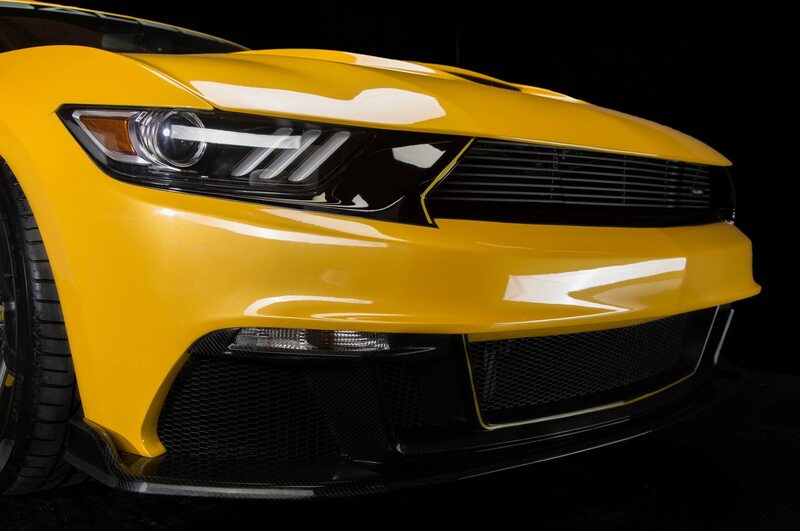 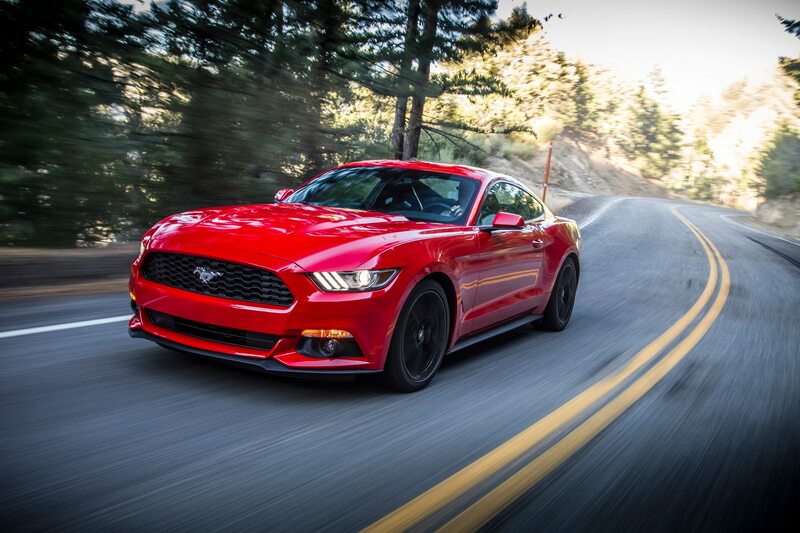 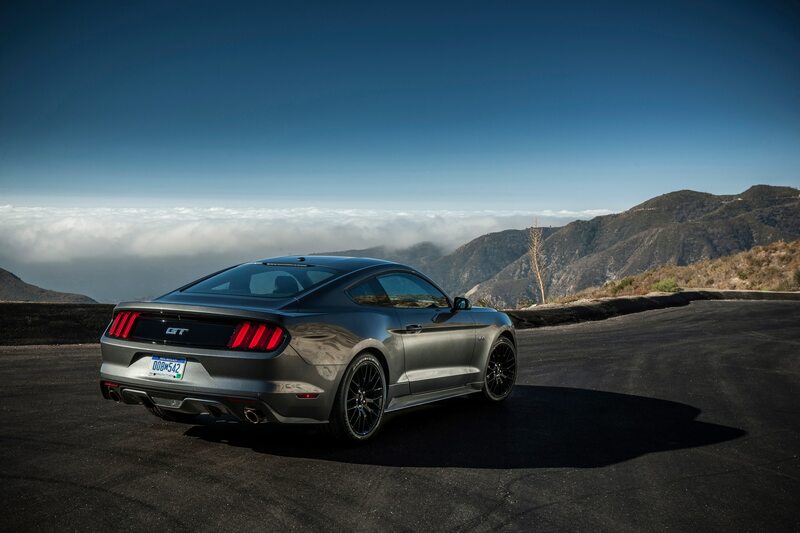 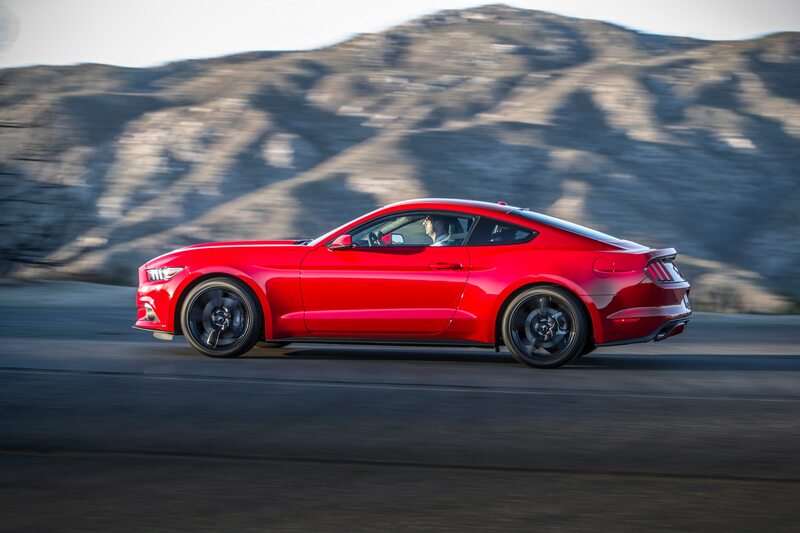 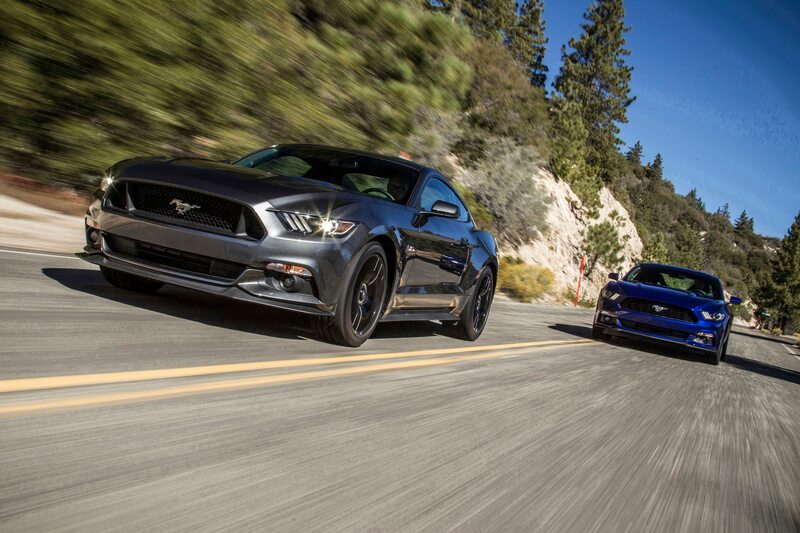 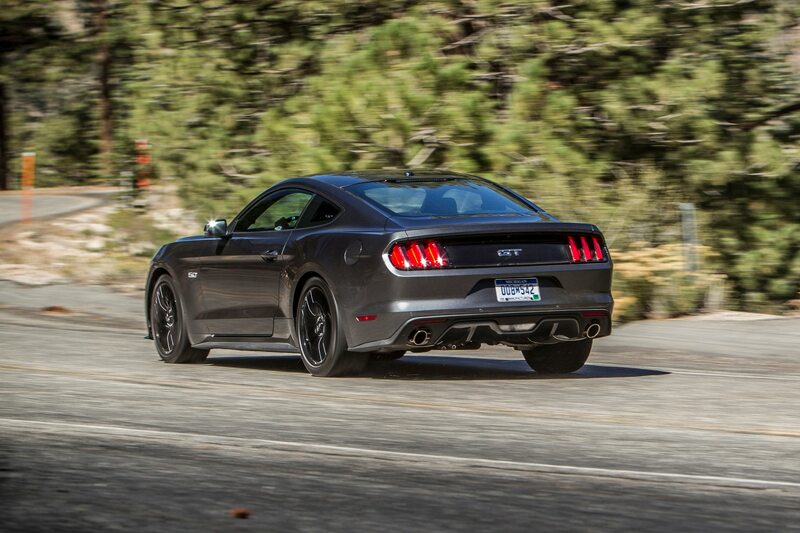 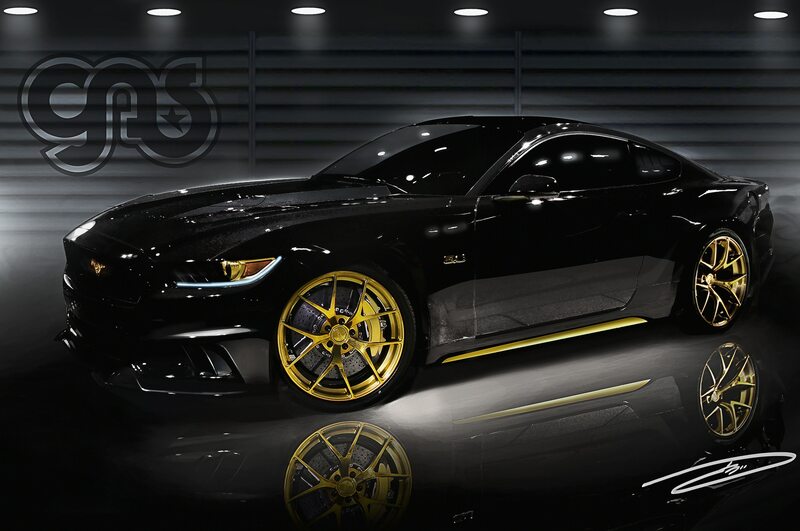 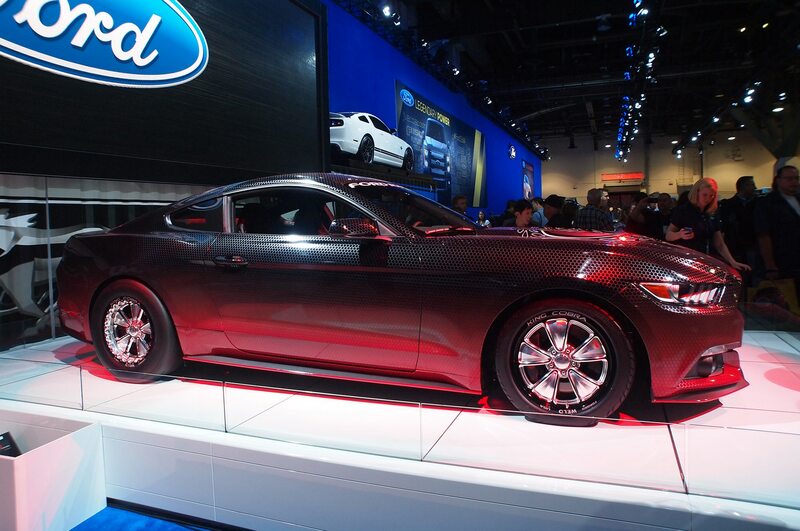 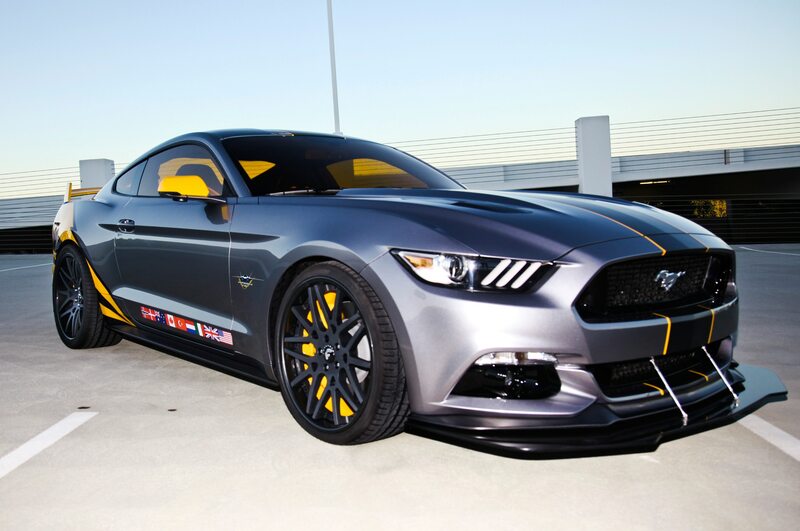 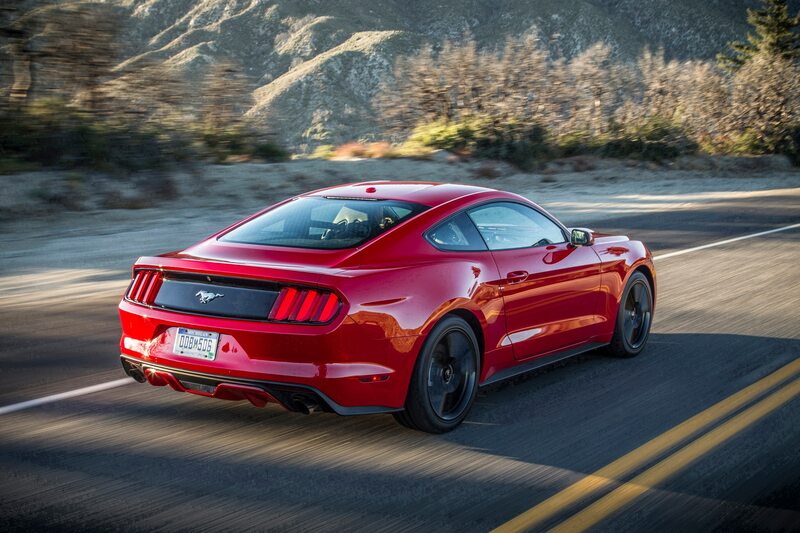 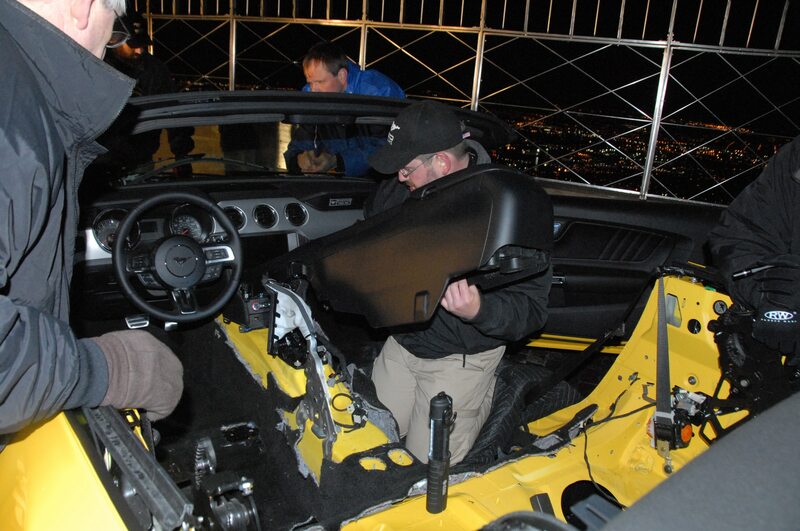 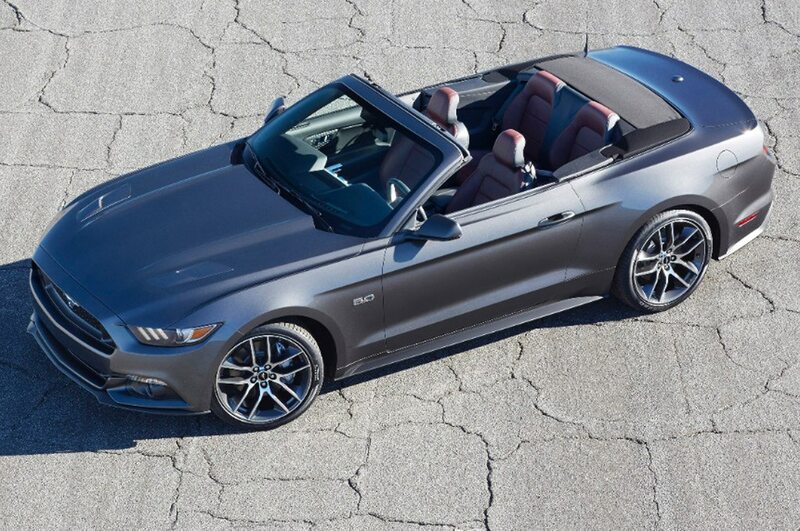 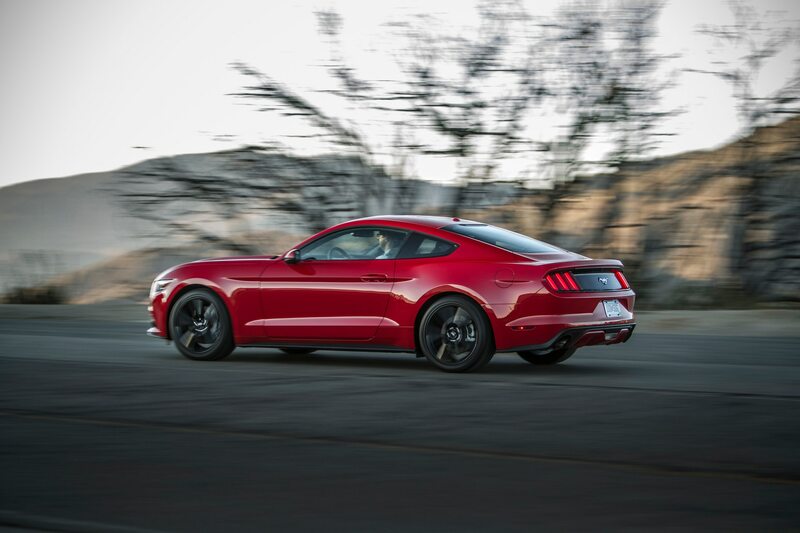 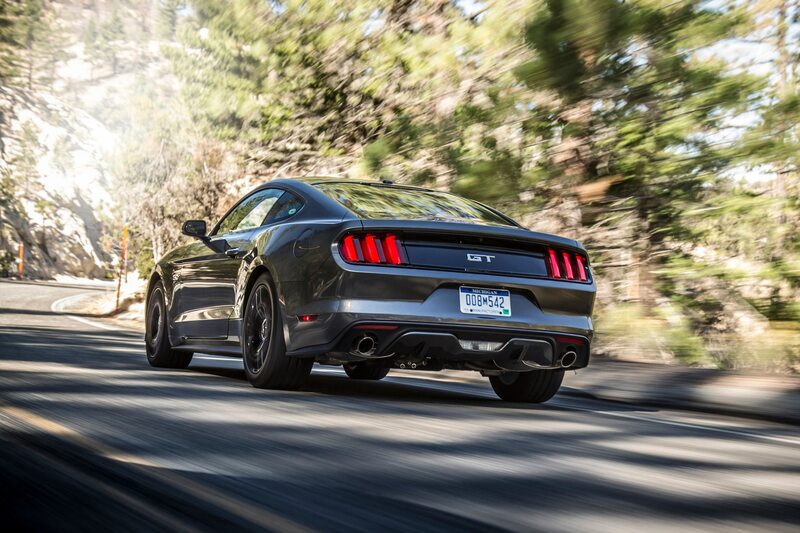 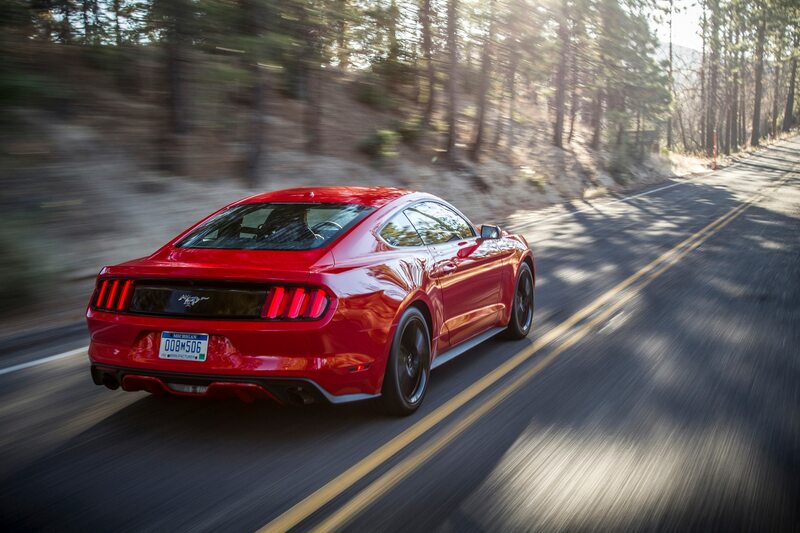 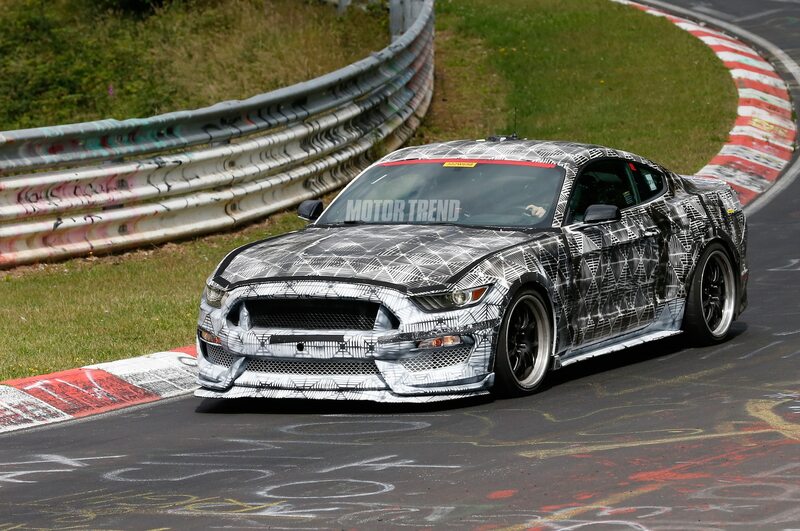 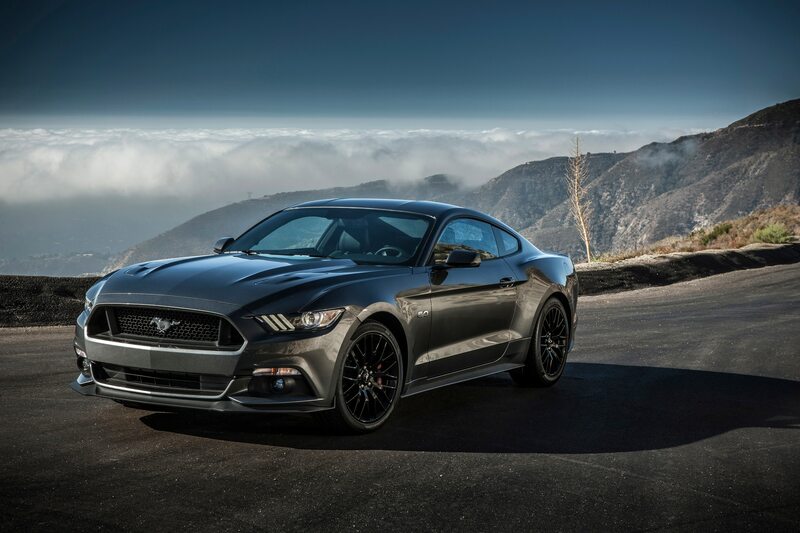 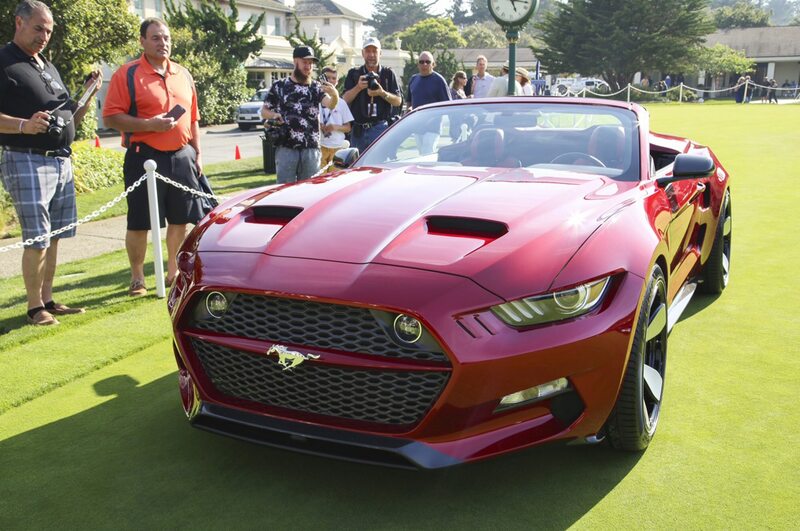 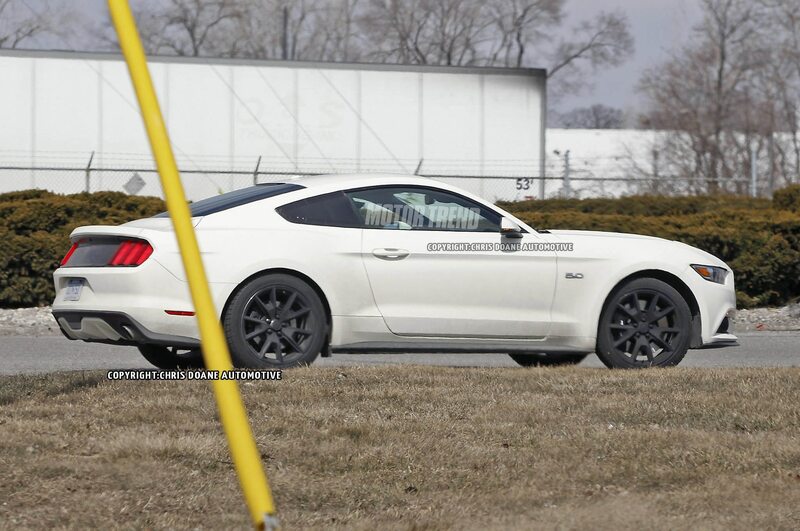 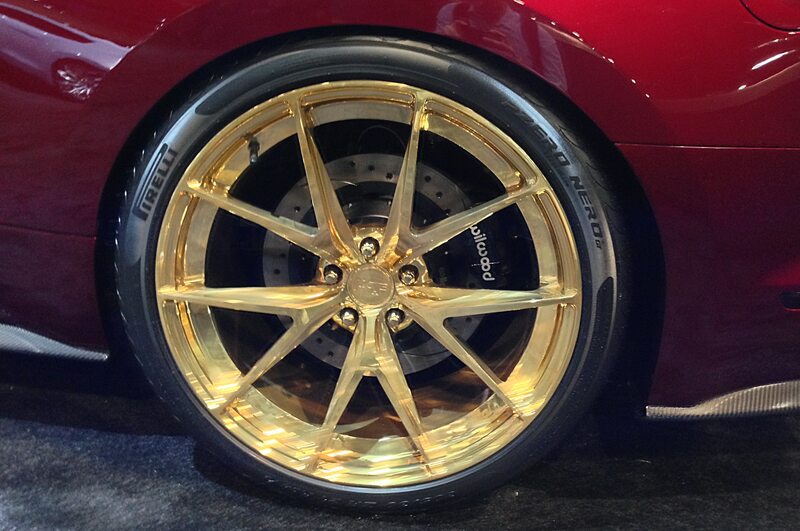 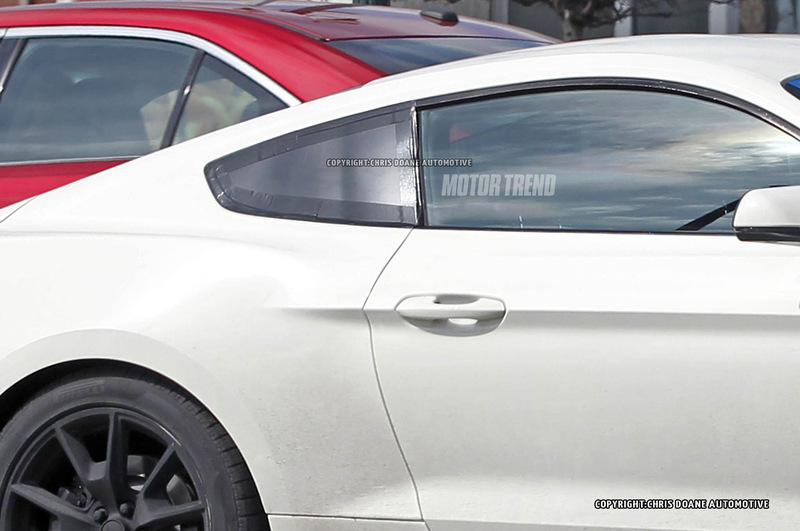 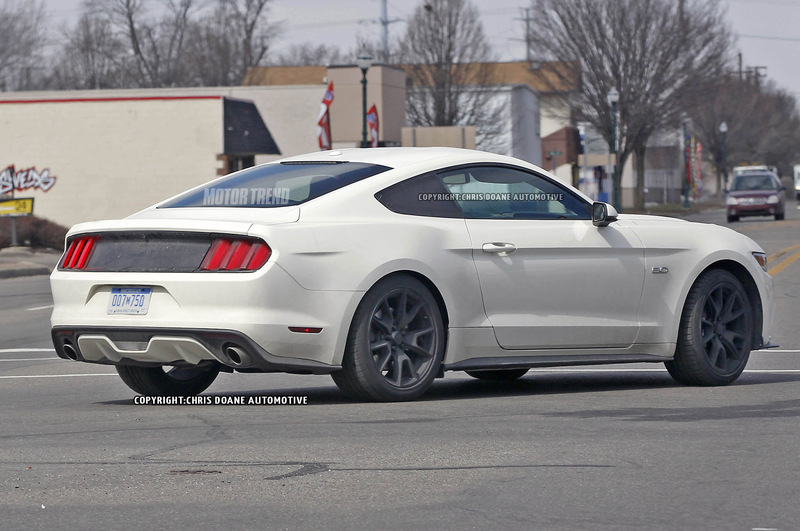 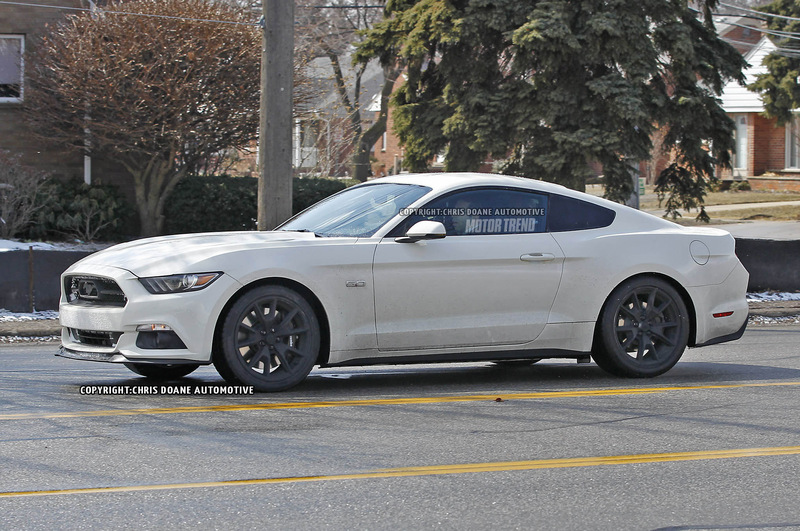 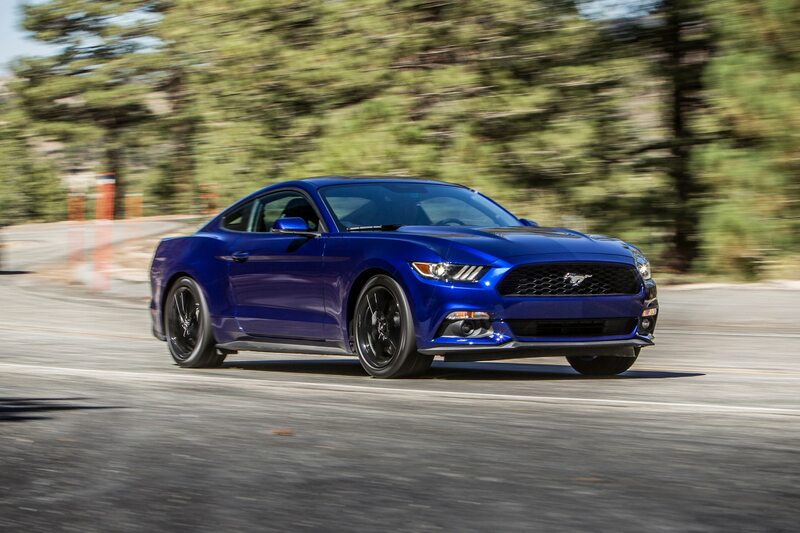 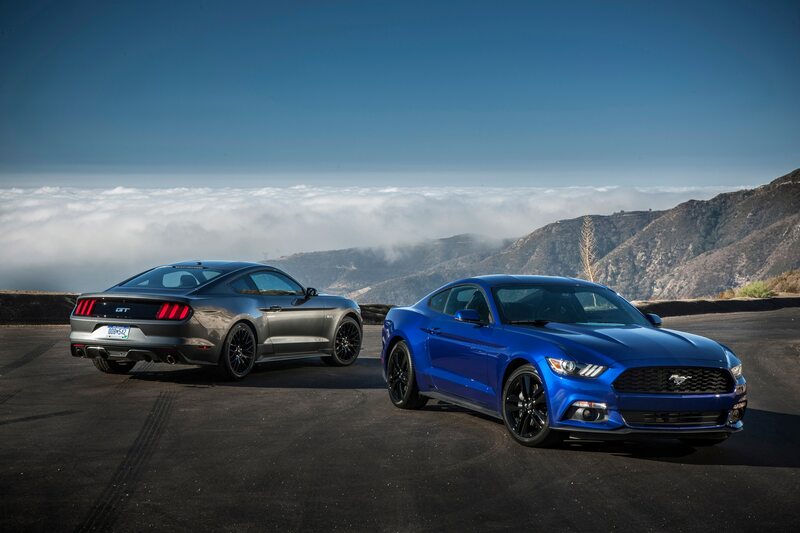 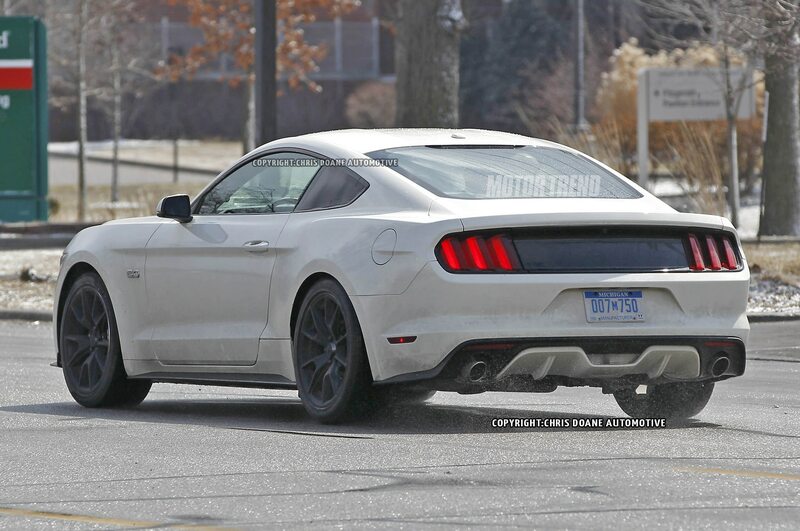 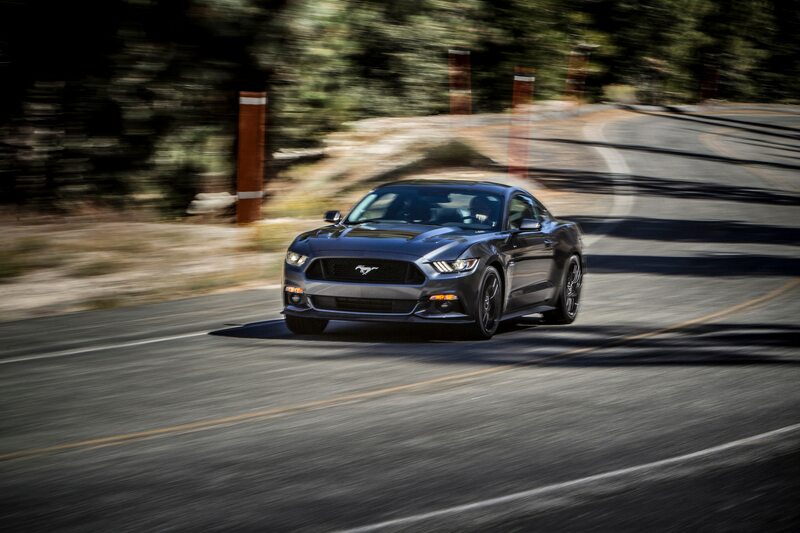 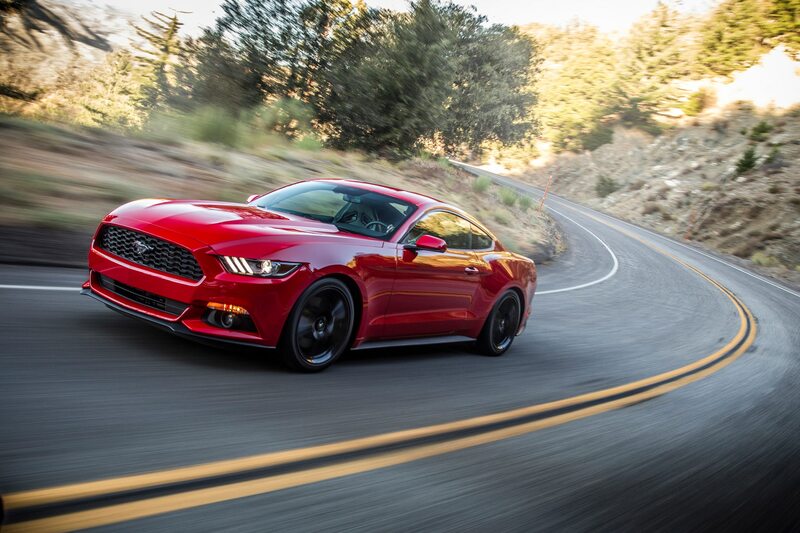 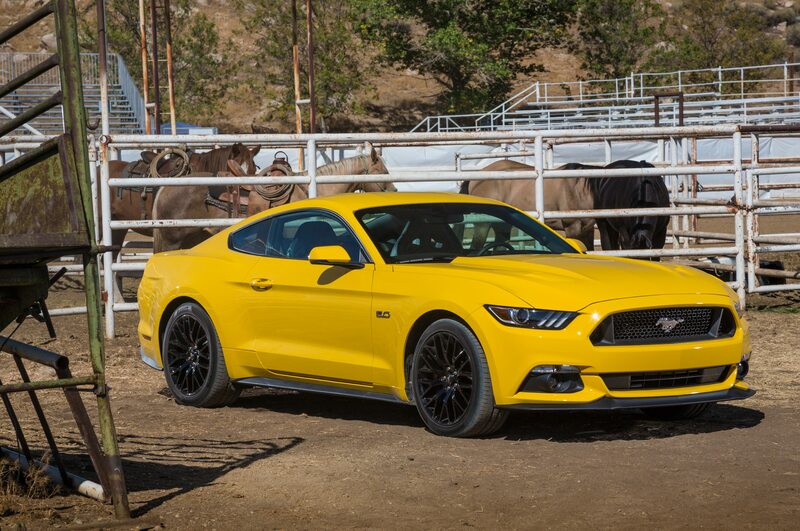 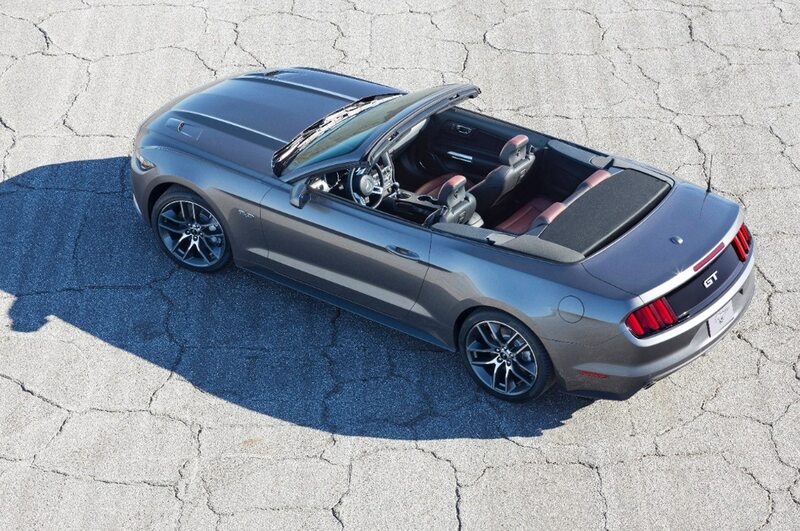 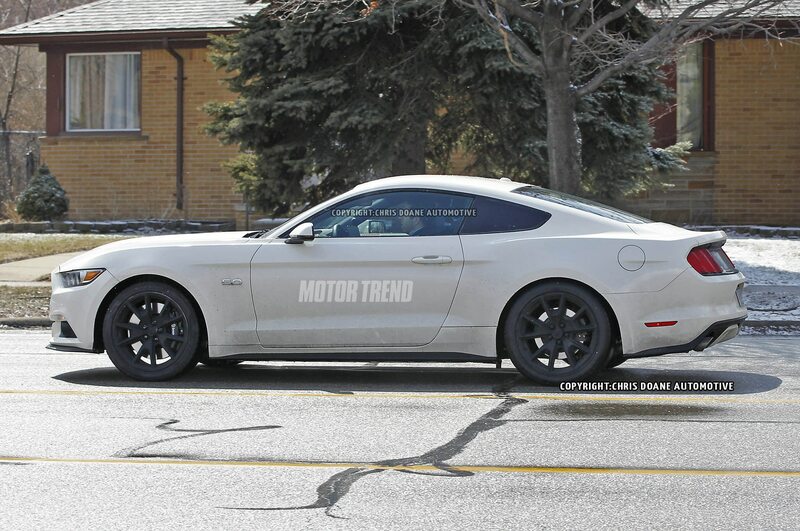 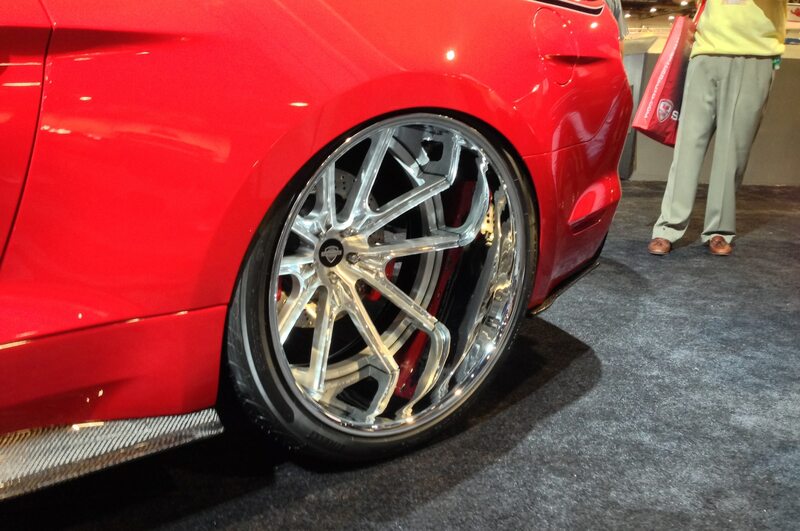 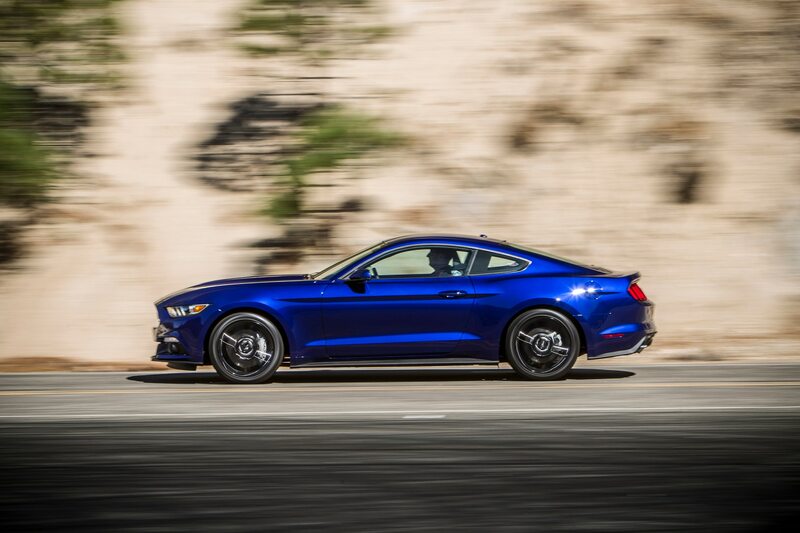 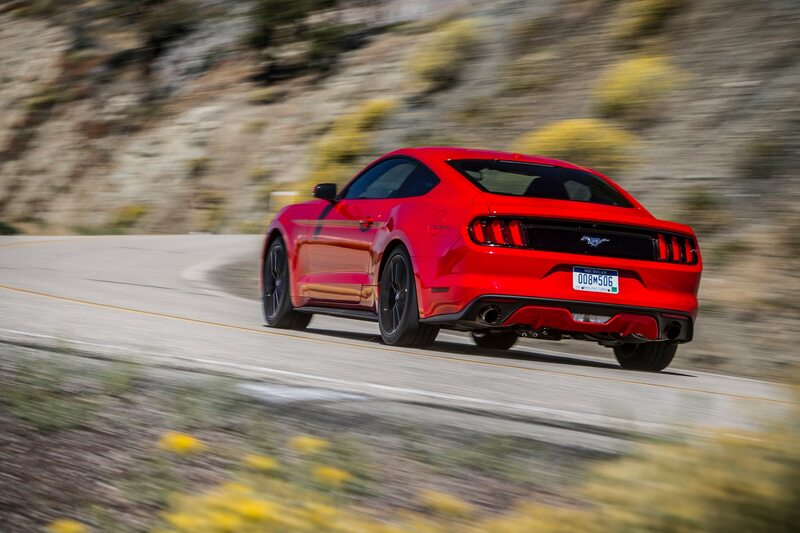 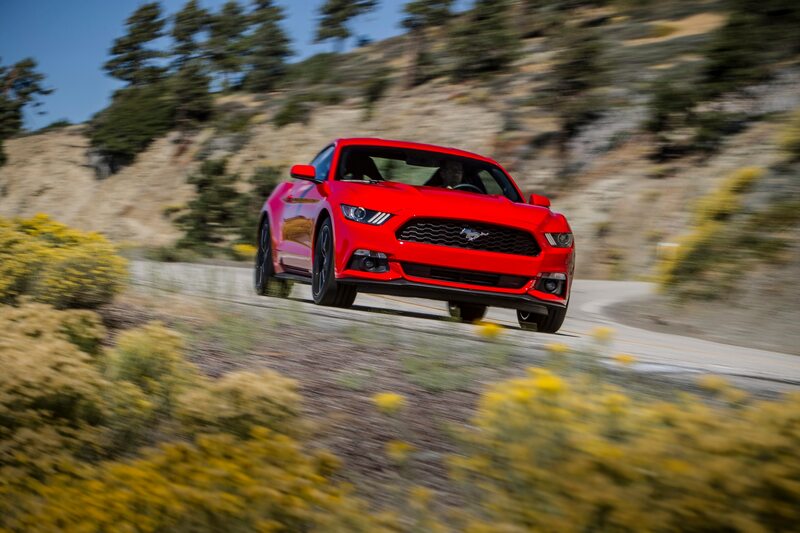 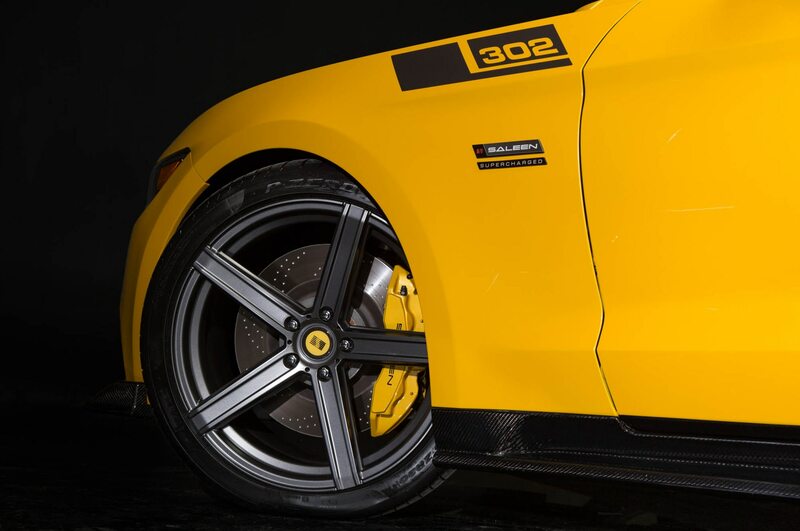 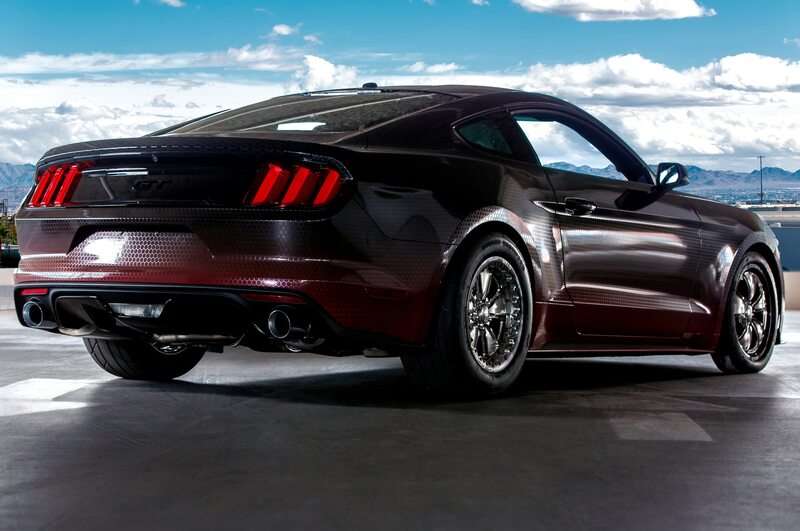 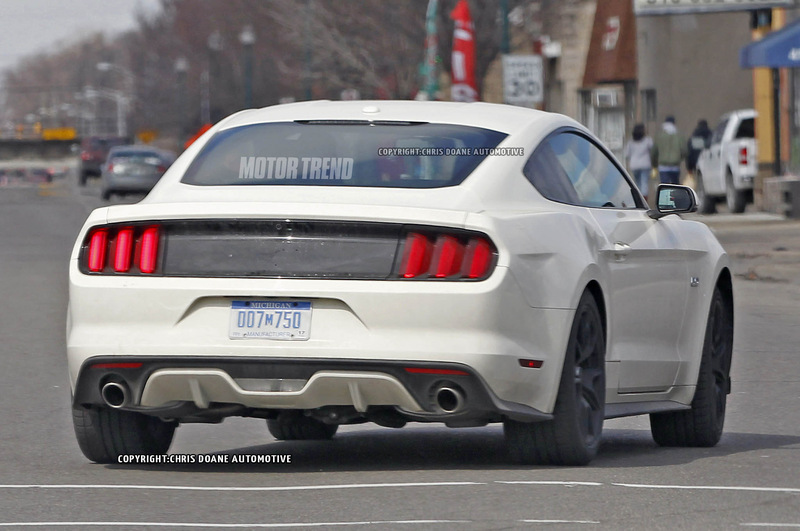 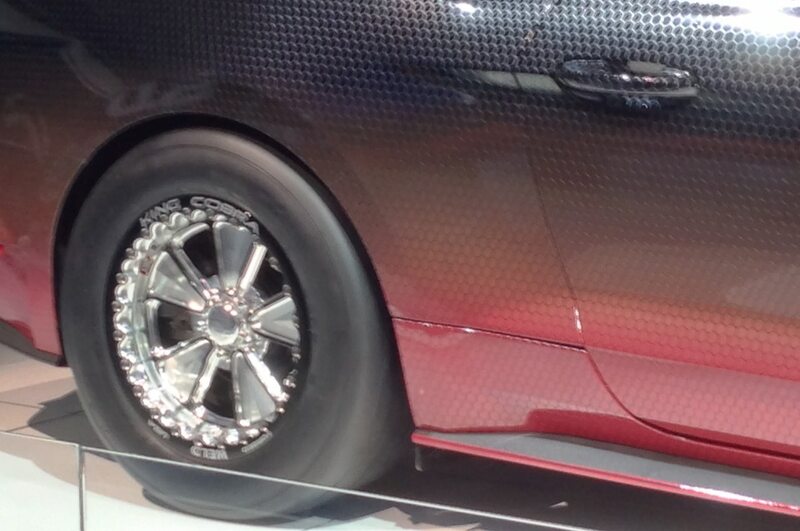 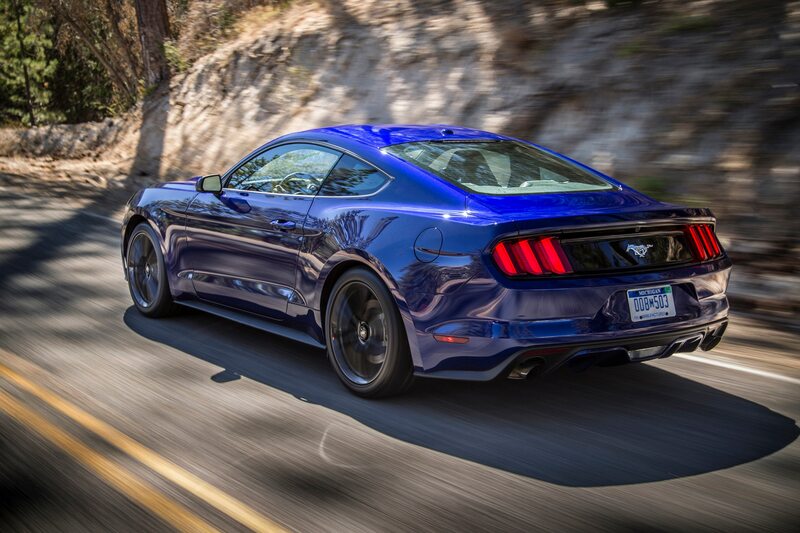 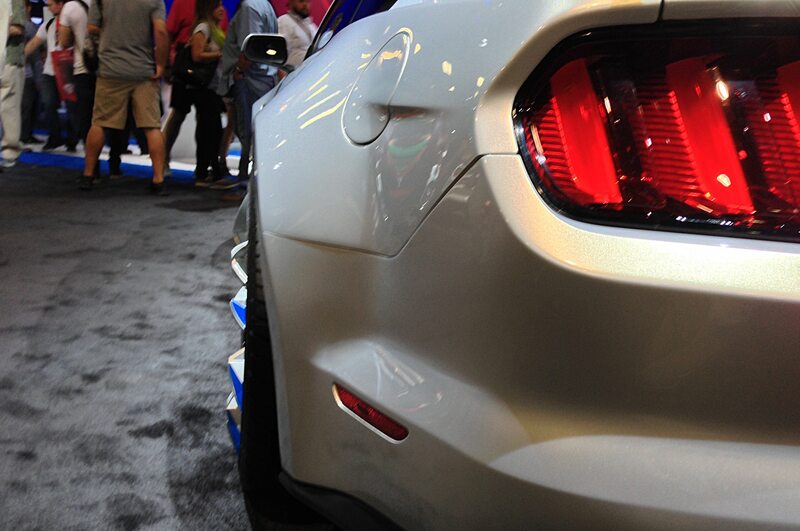 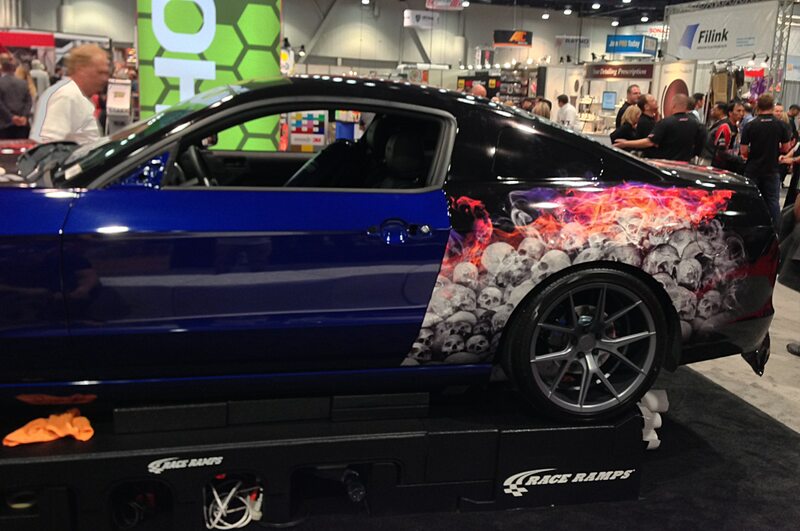 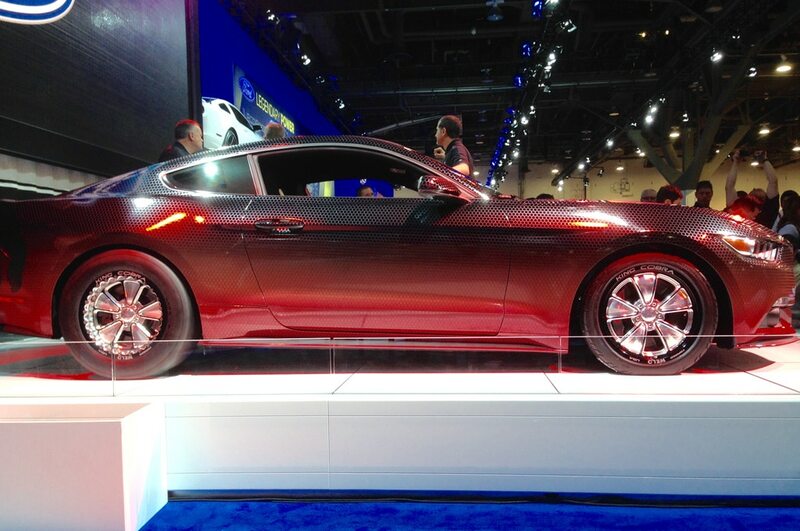 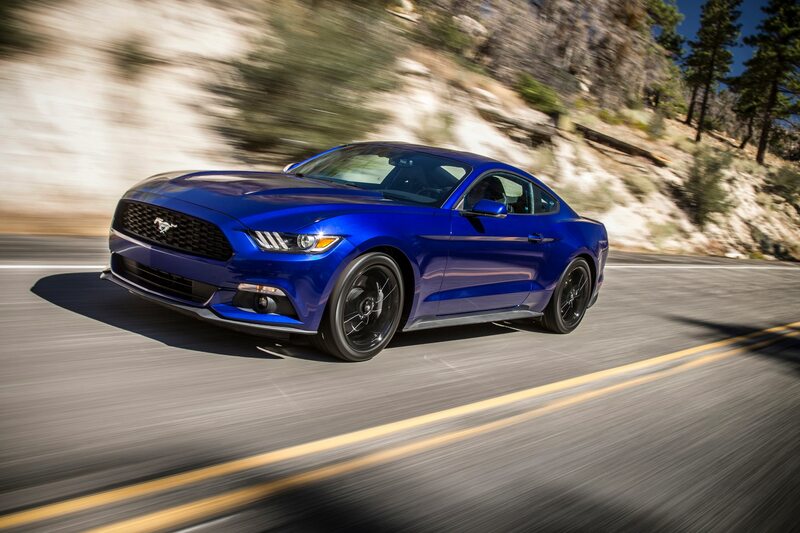 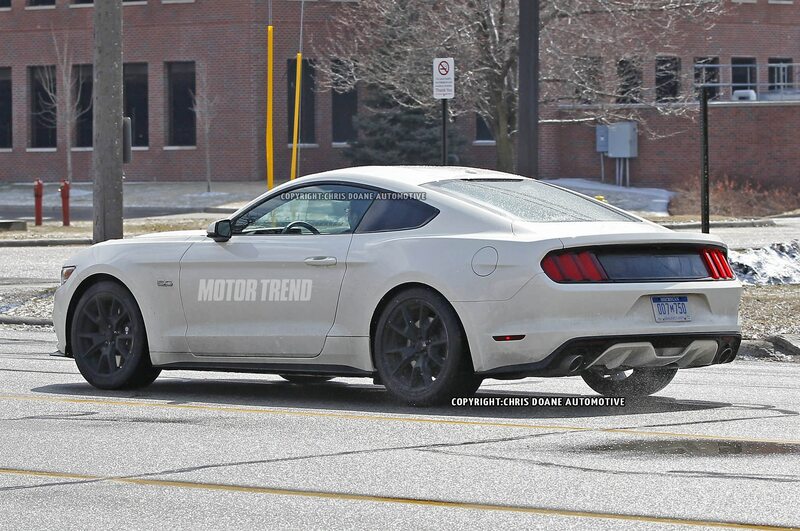 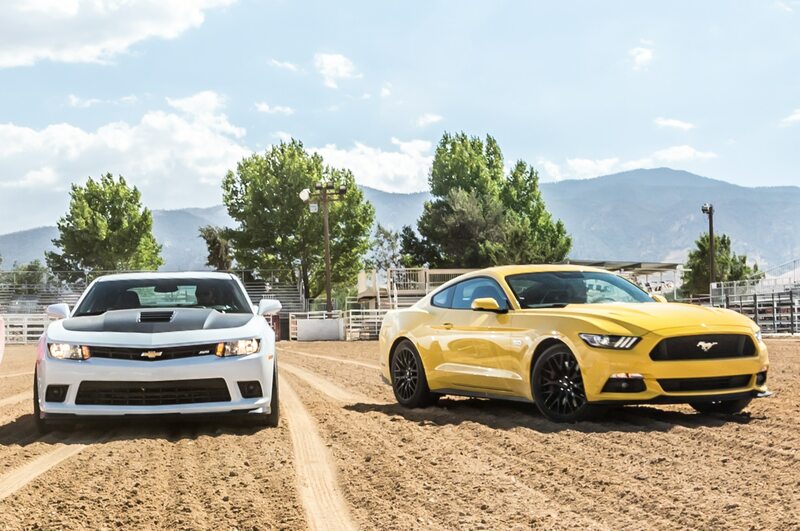 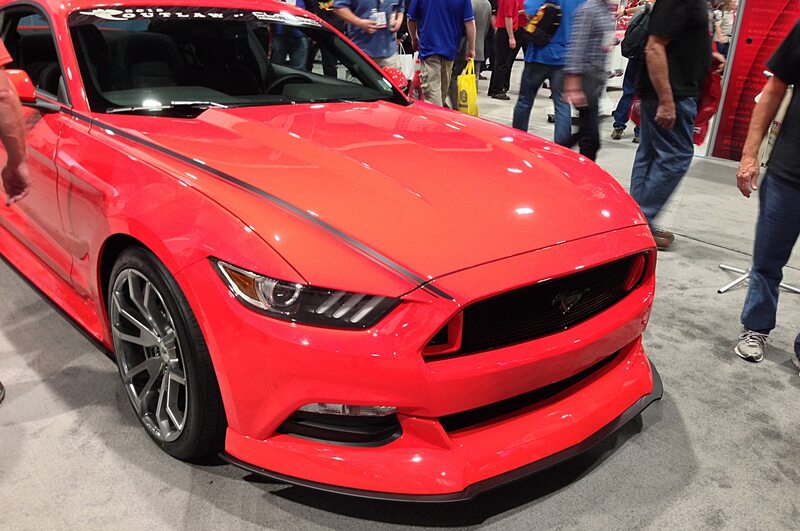 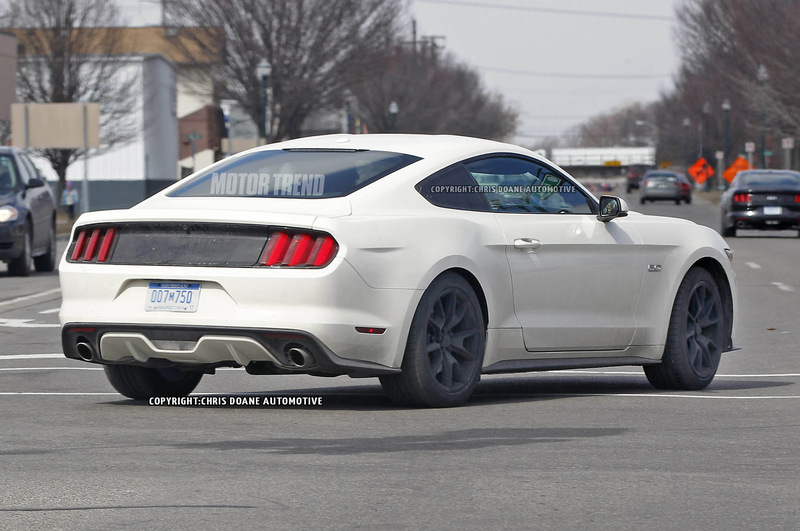 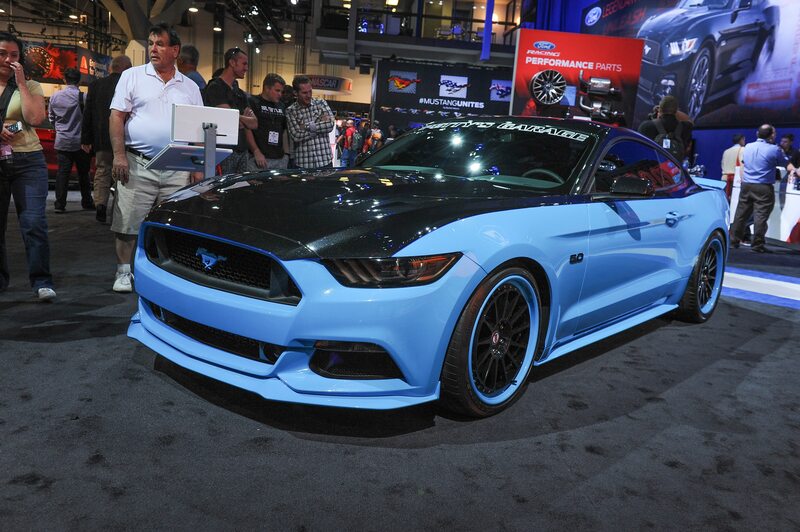 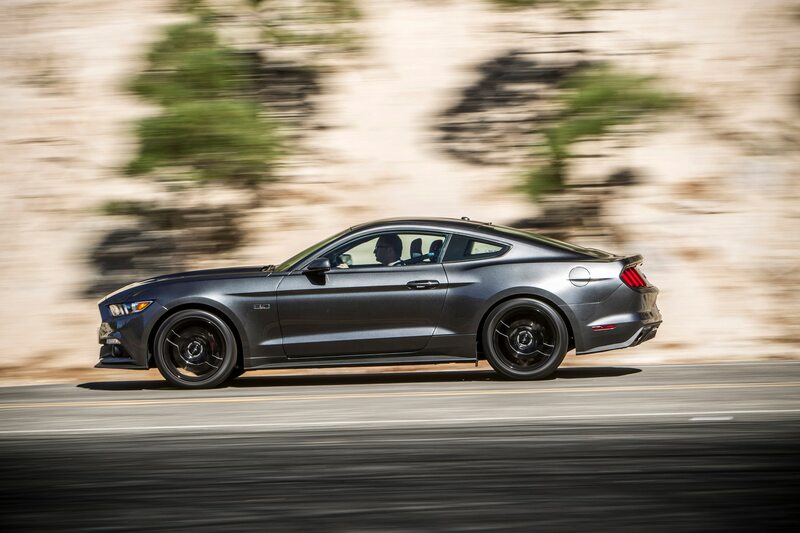 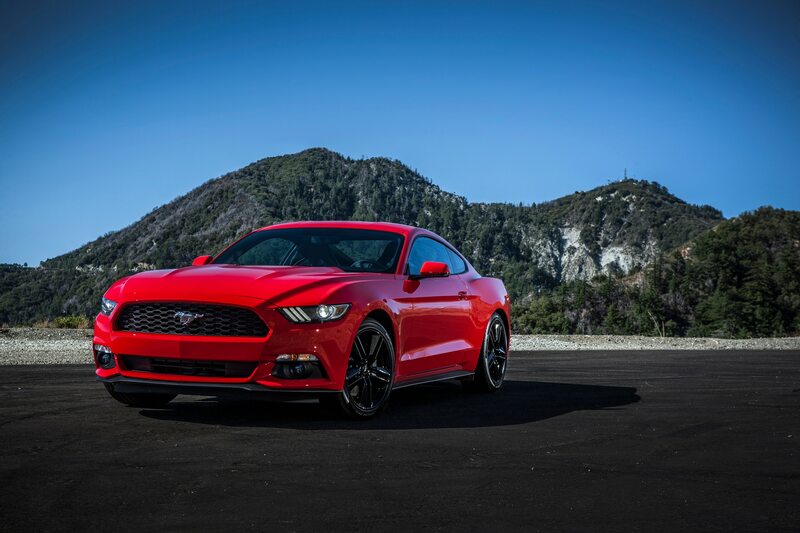 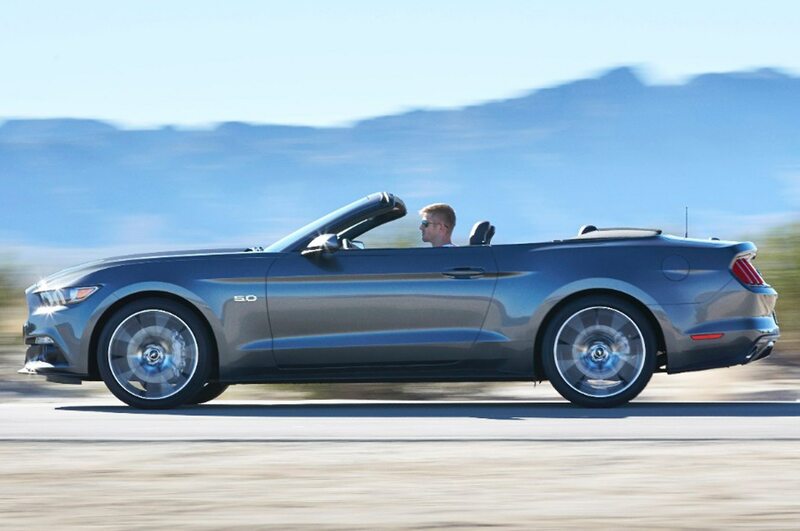 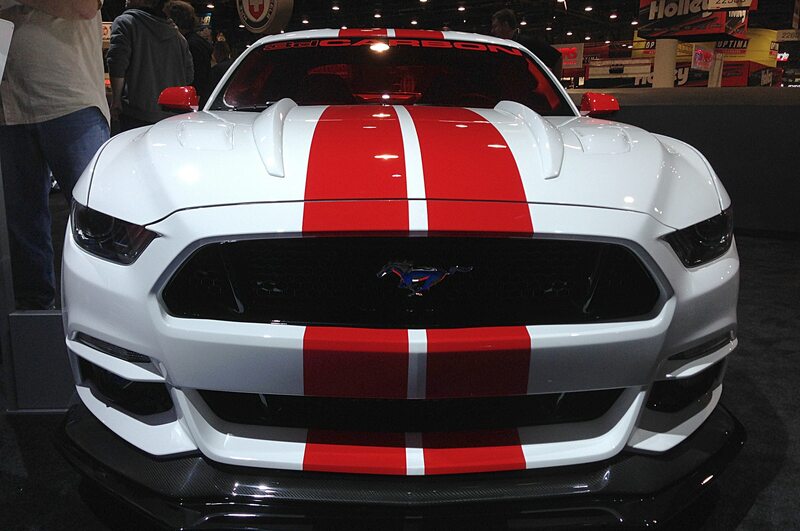 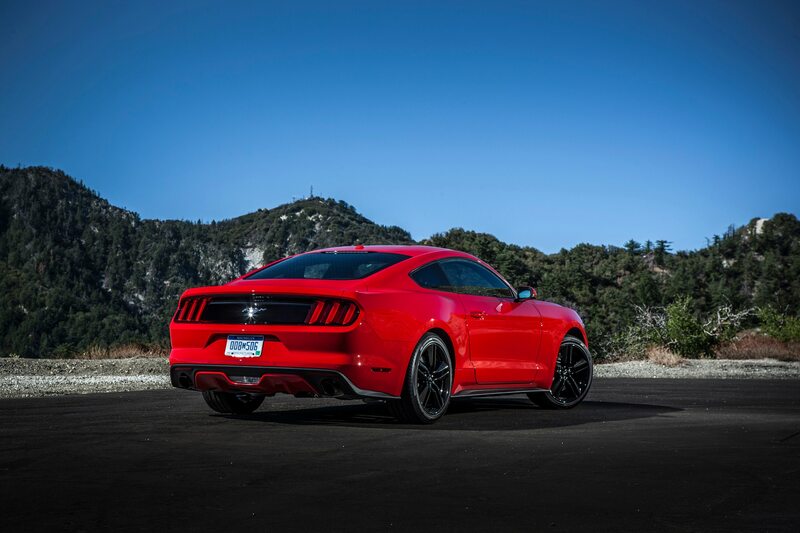 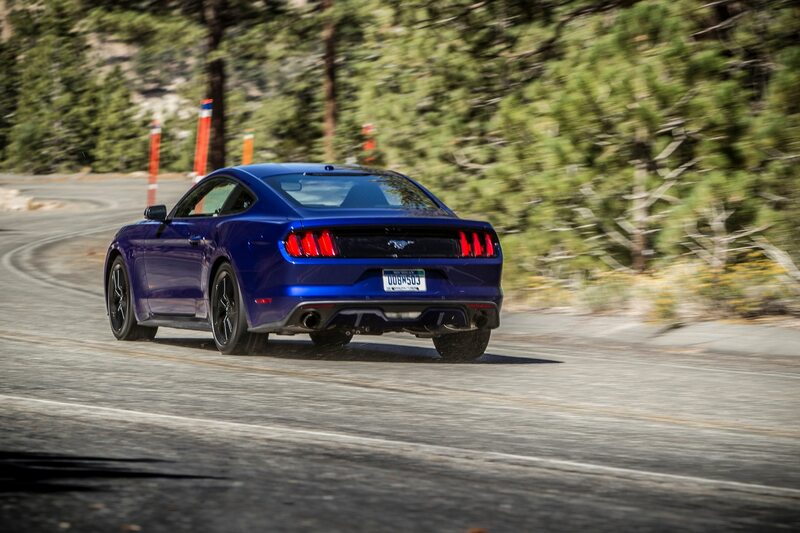 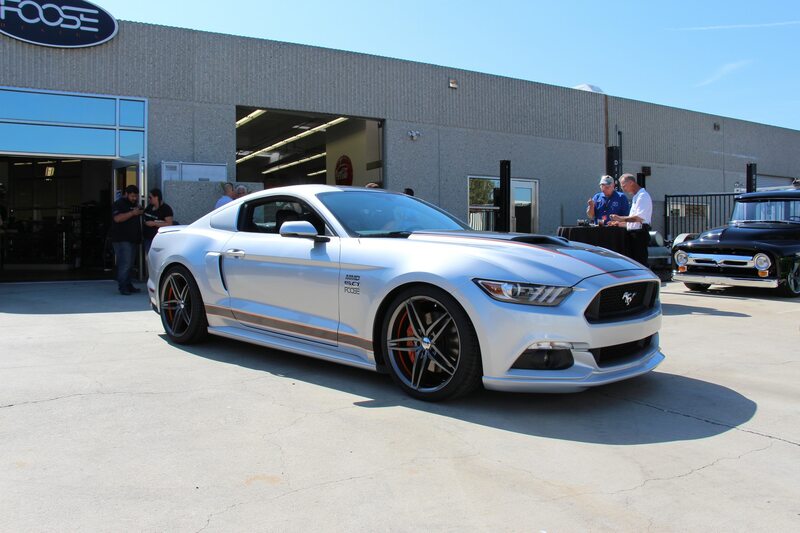 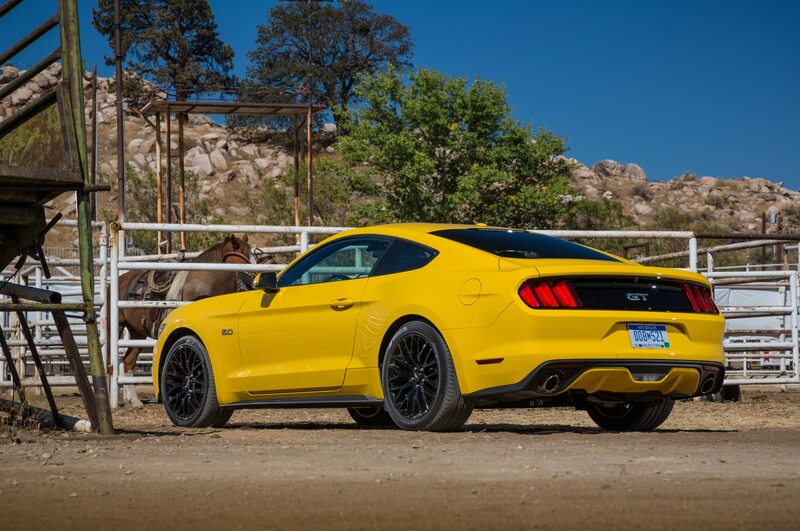 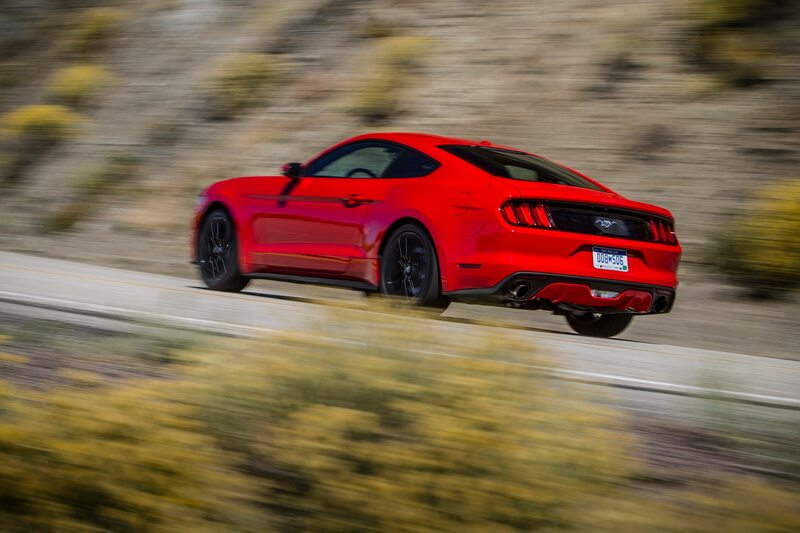 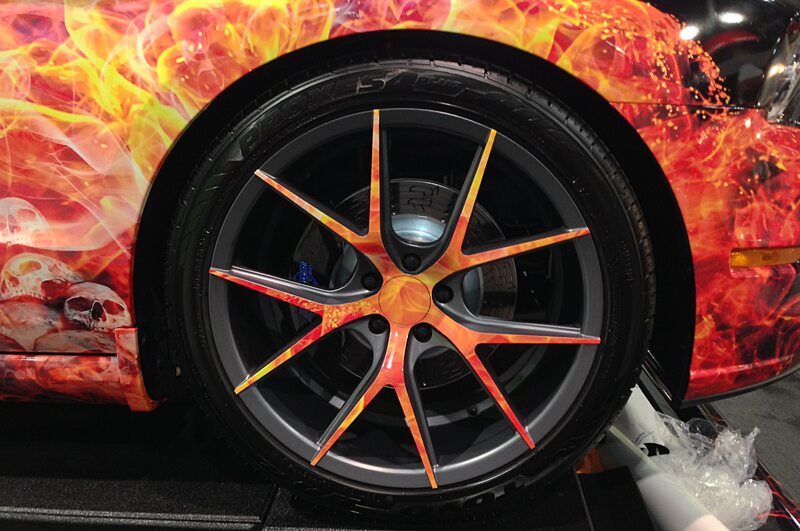 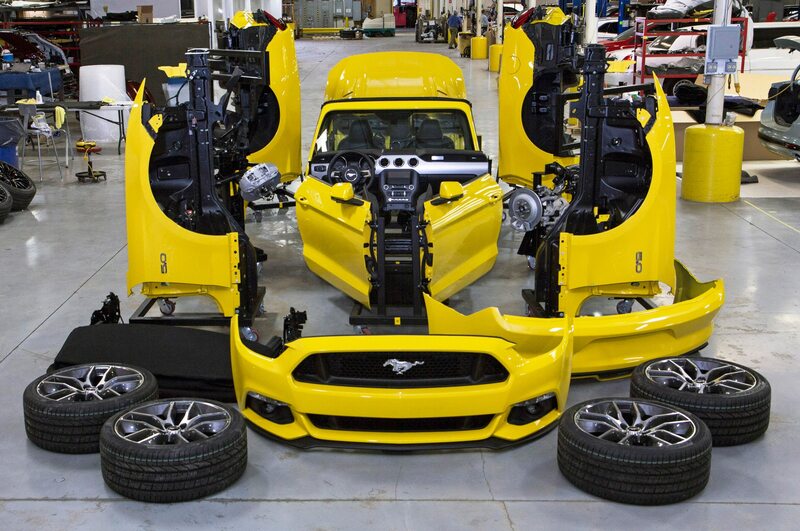 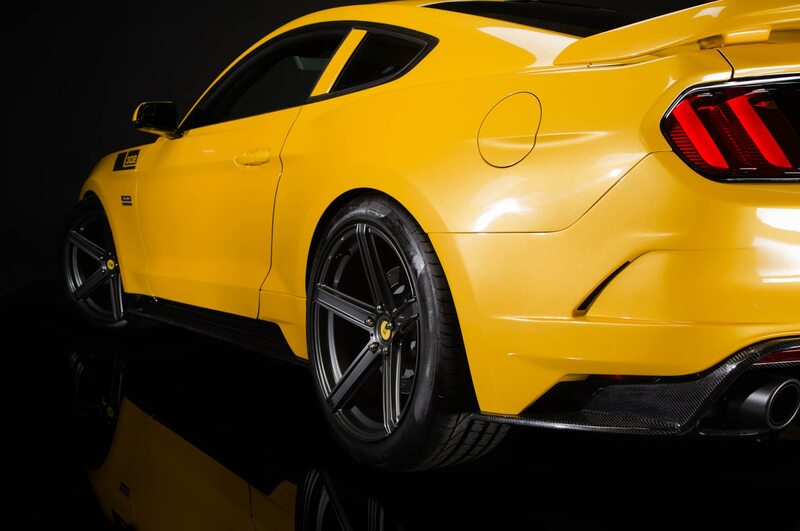 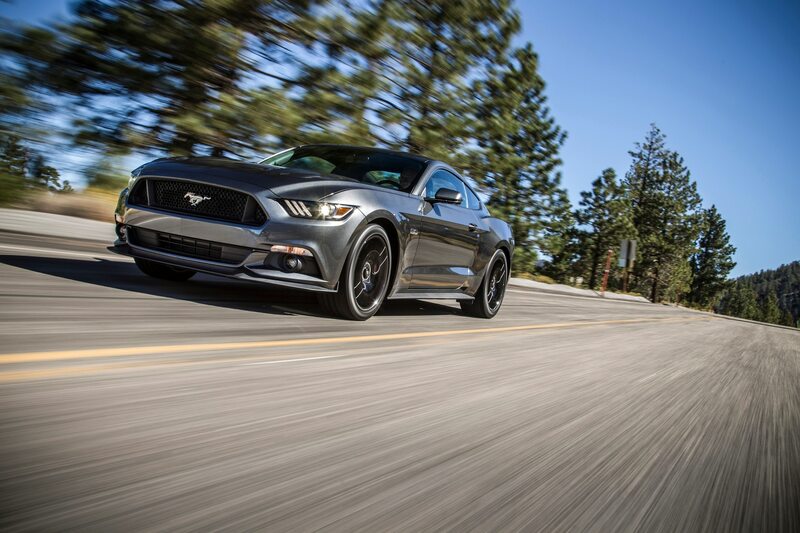 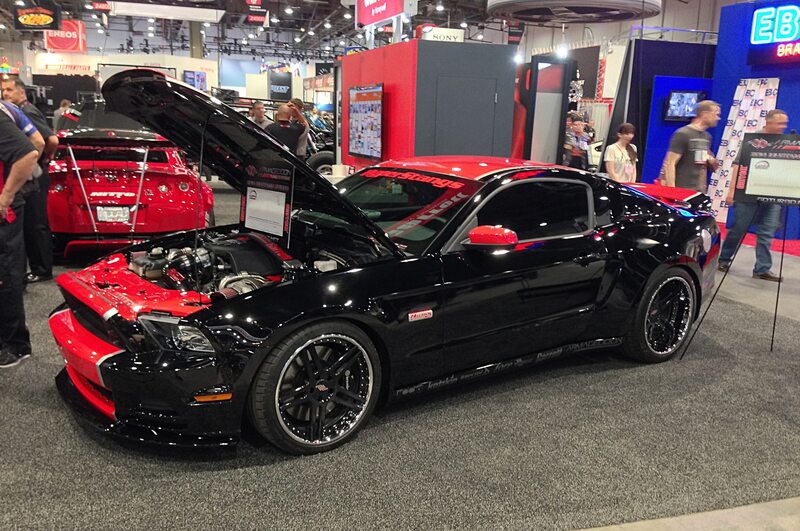 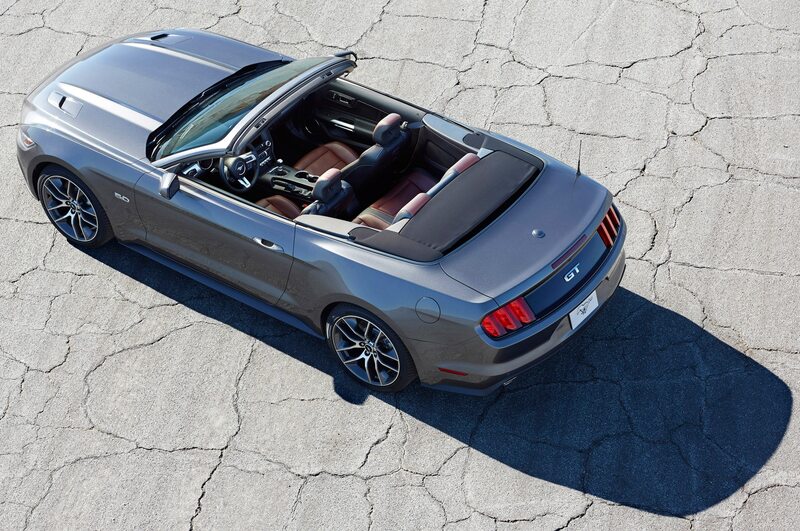 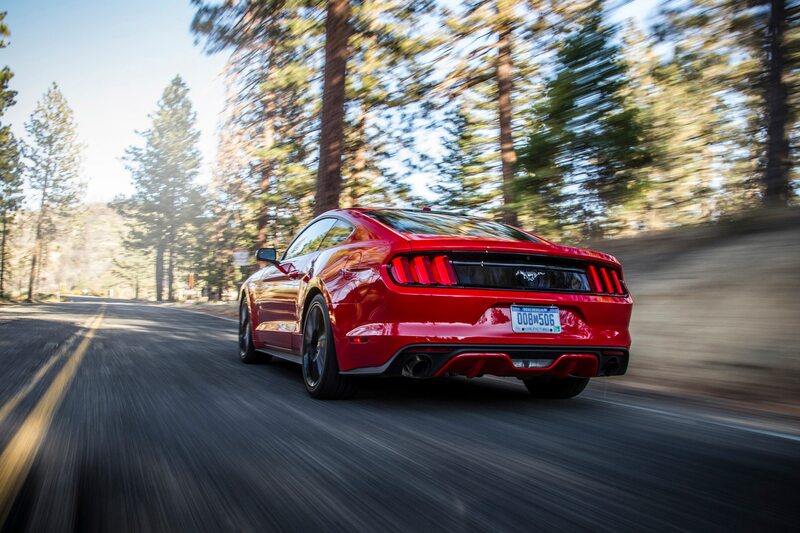 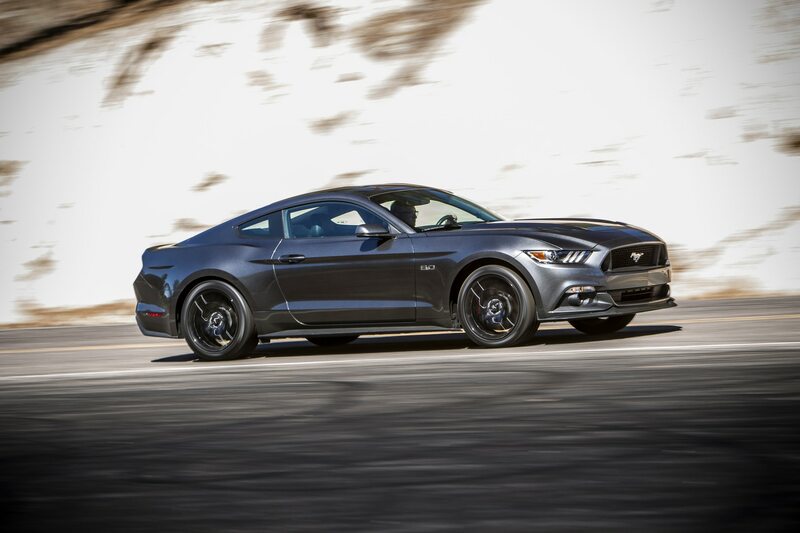 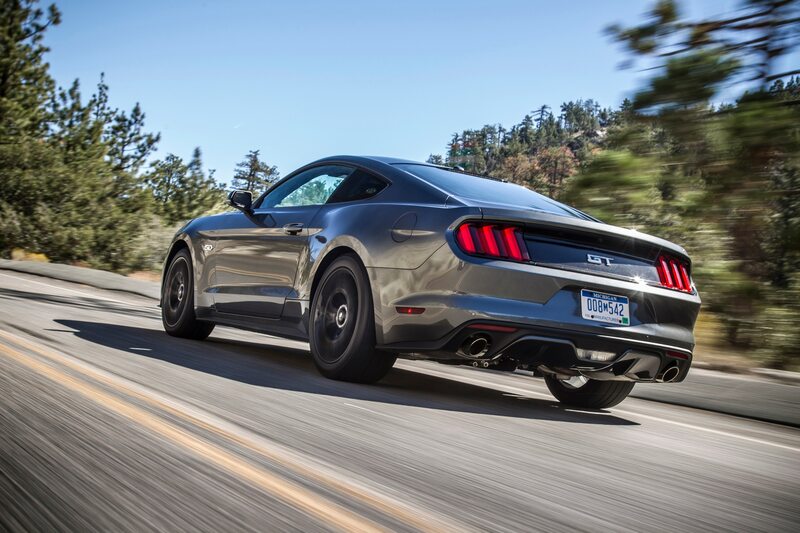 After the company’s last stunt, rocketing the HPE700 2015 Ford Mustang to 195 mph, Hennessey promised they’d be back. 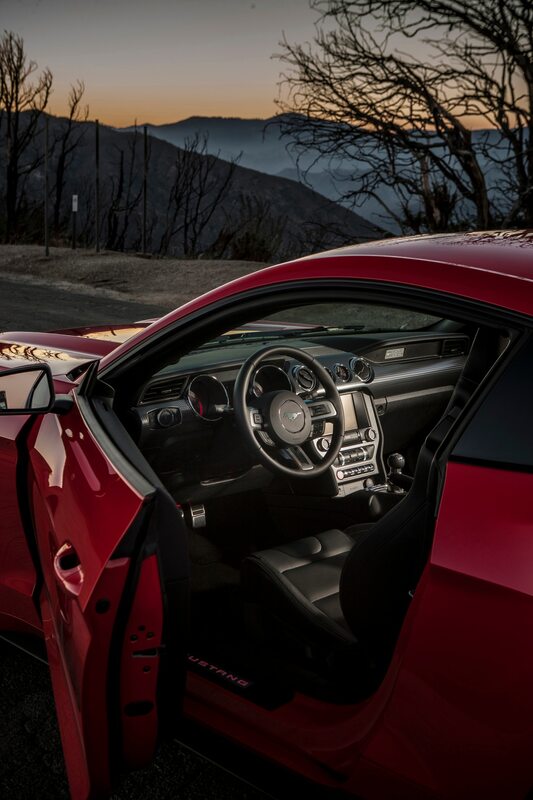 As usual, he delivered. 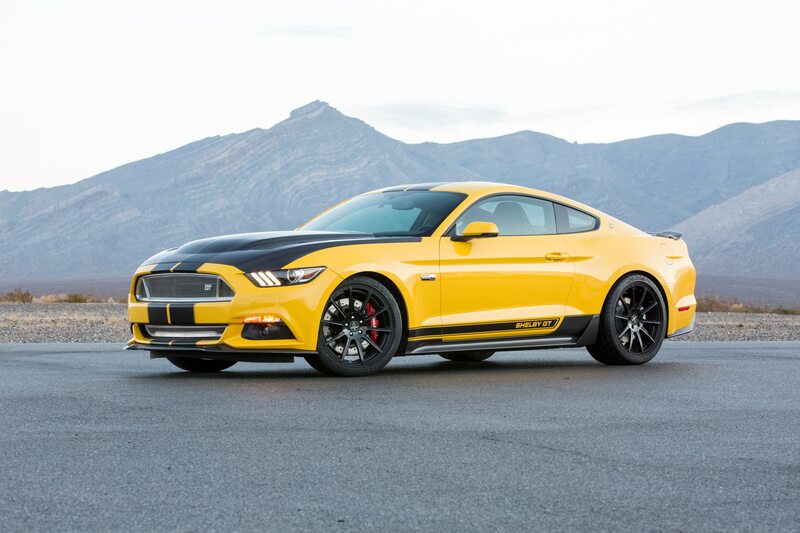 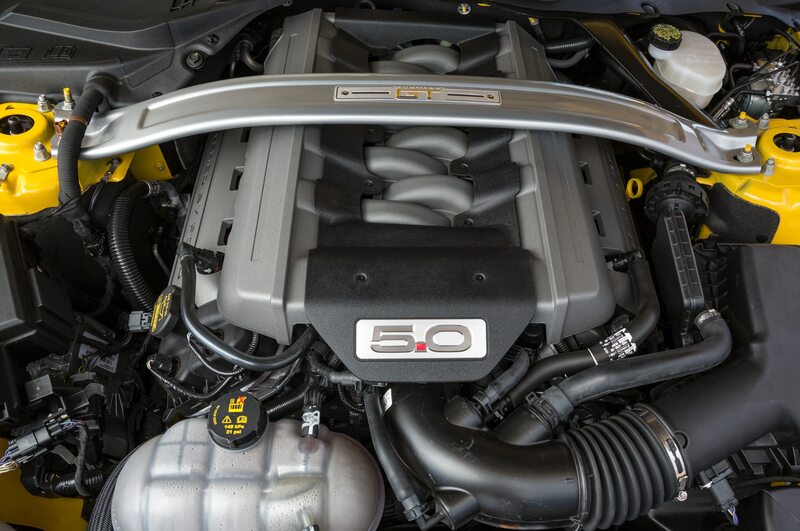 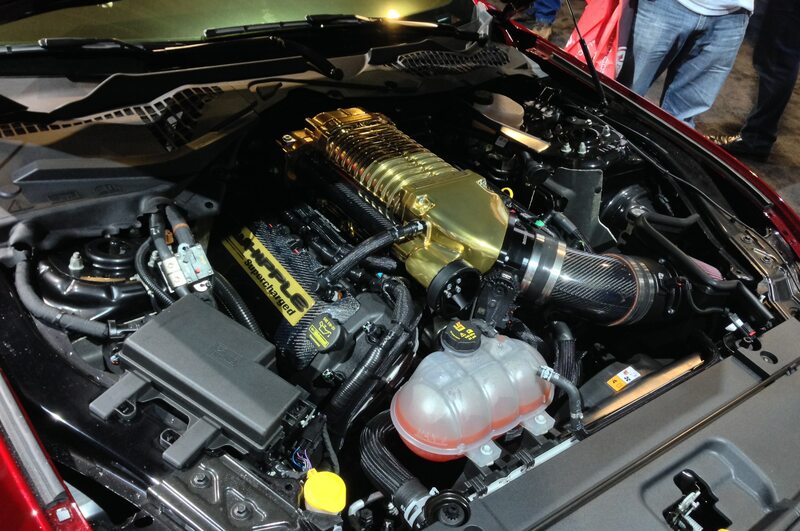 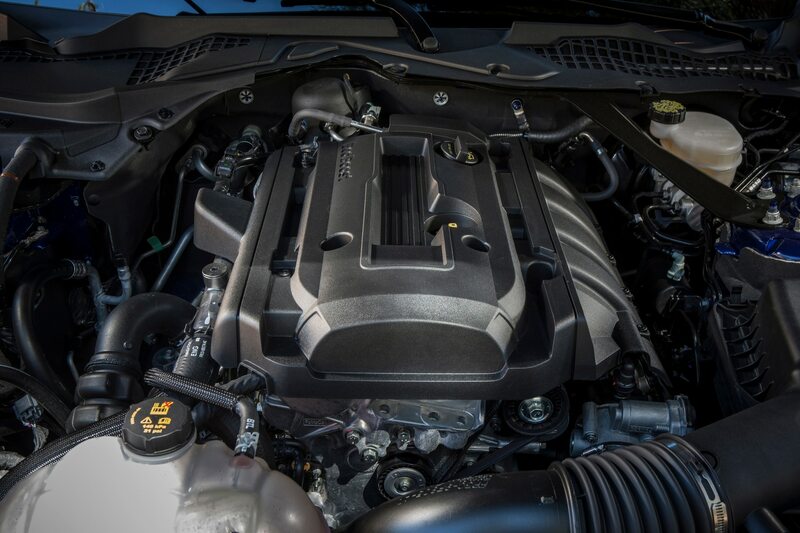 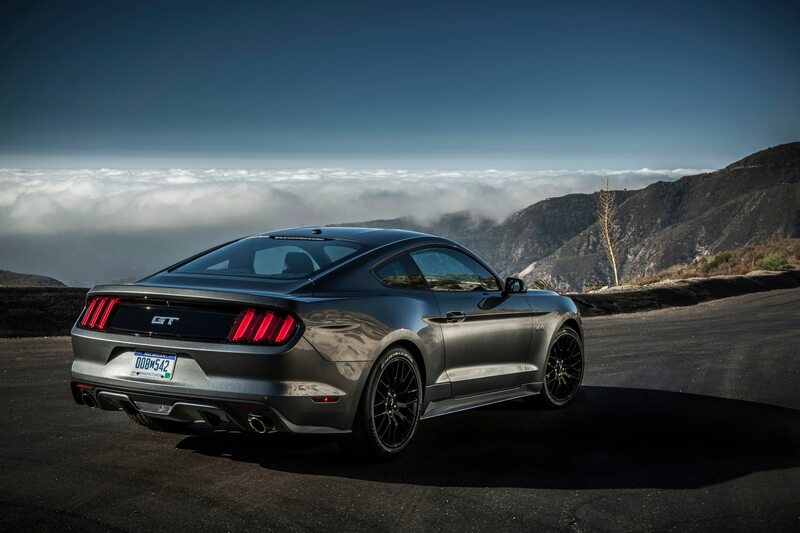 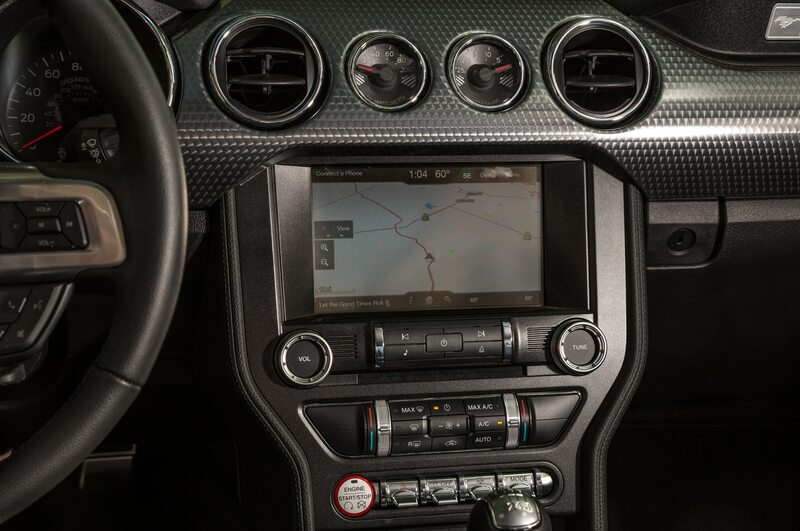 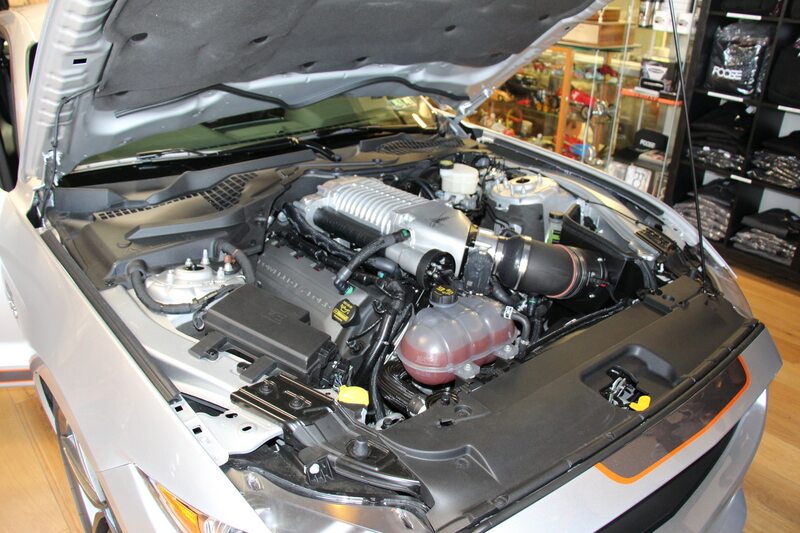 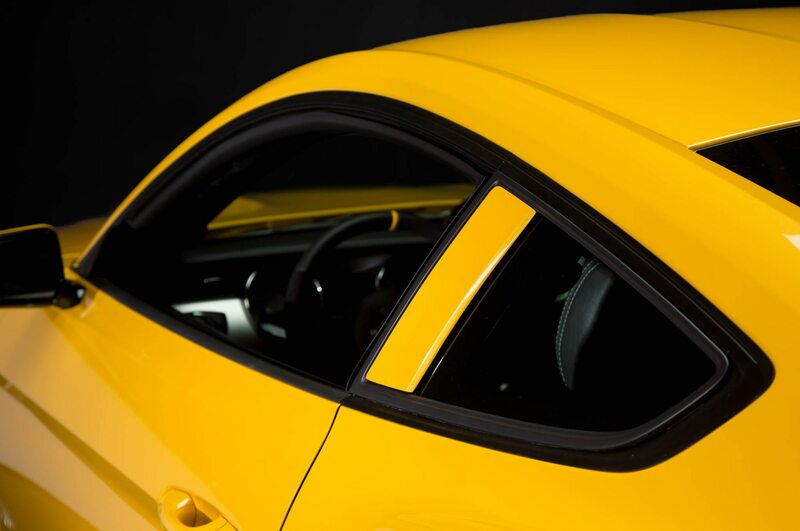 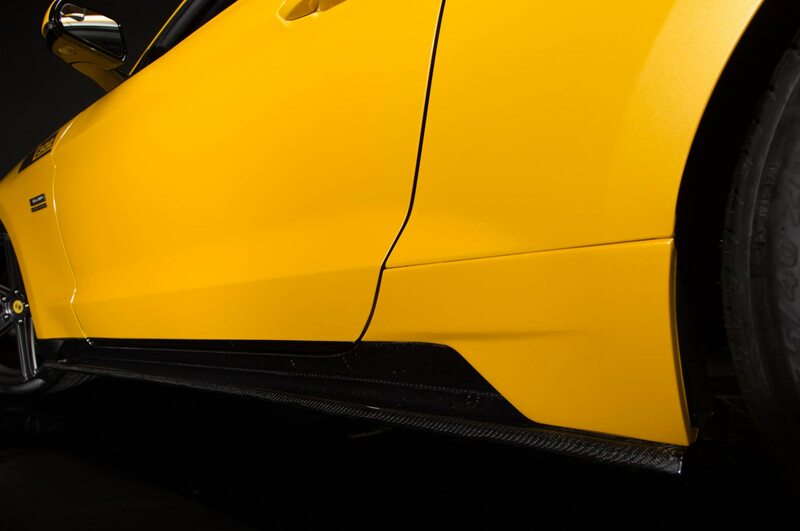 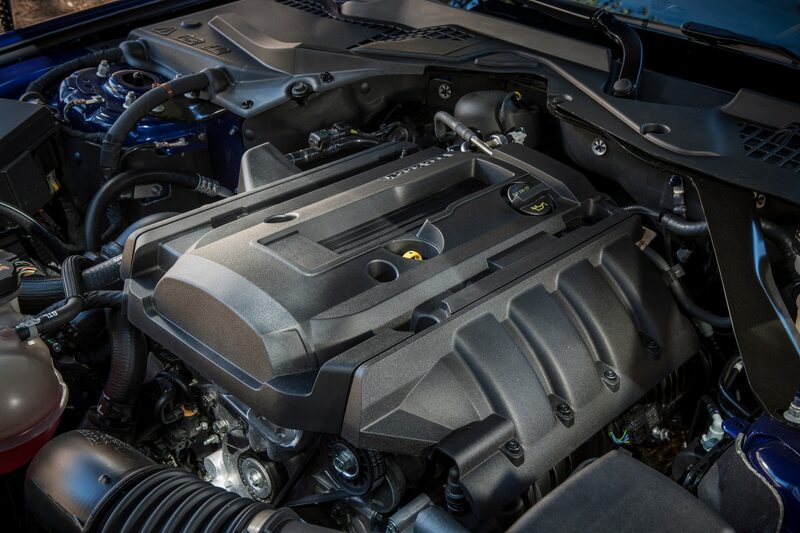 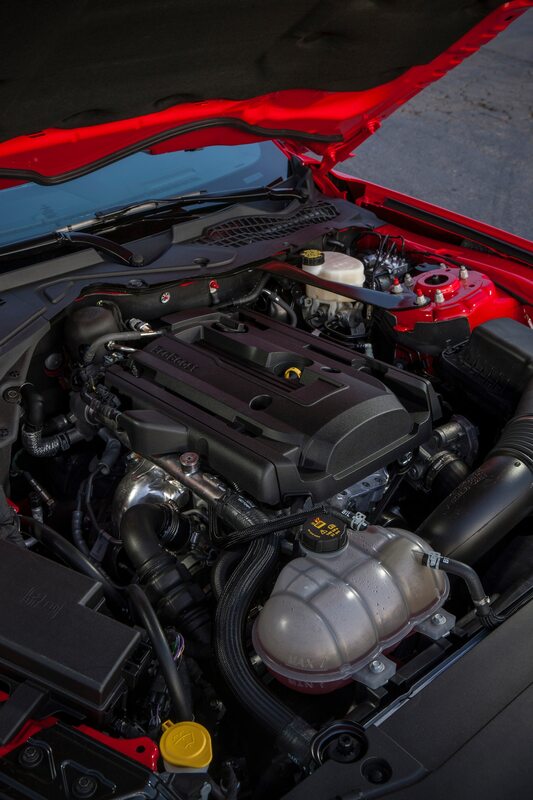 The Hennessey HPE750 2015 Ford Mustang GT cranks output up to 774 hp and 648 lb-ft of torque, courtesy of a laundry list of performance upgrades to the ponycar’s 5.0-liter V-8, aerodynamics, wheels, and exhaust. 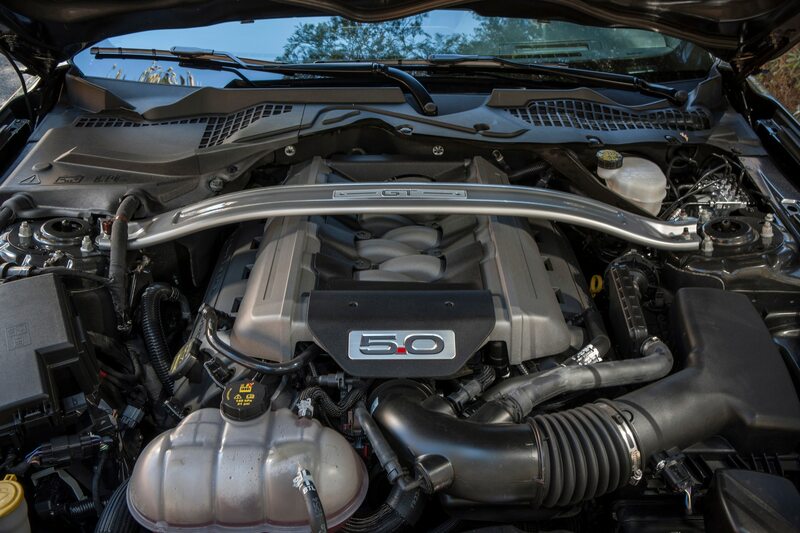 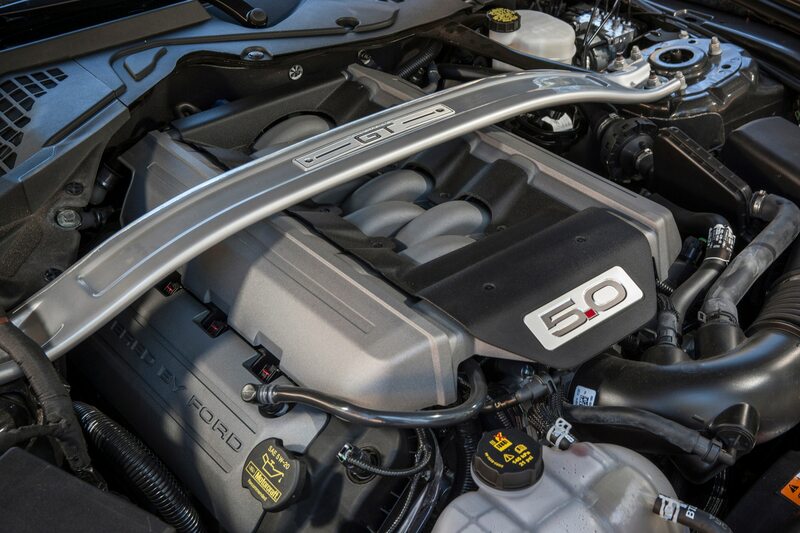 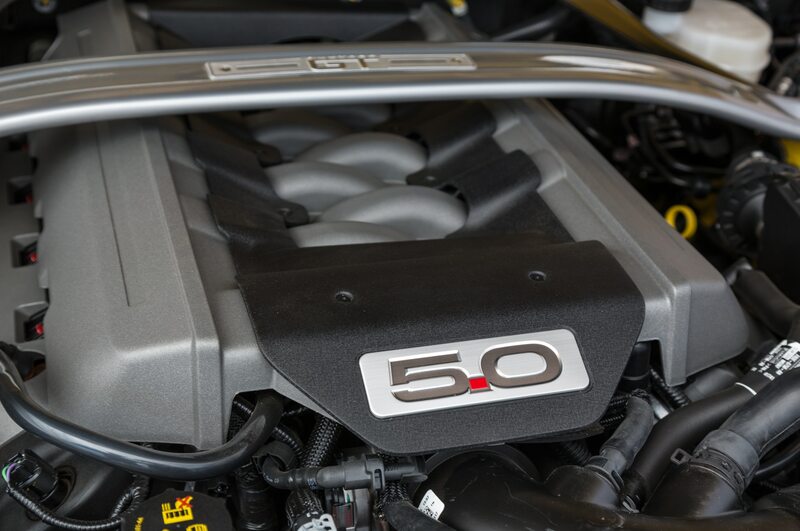 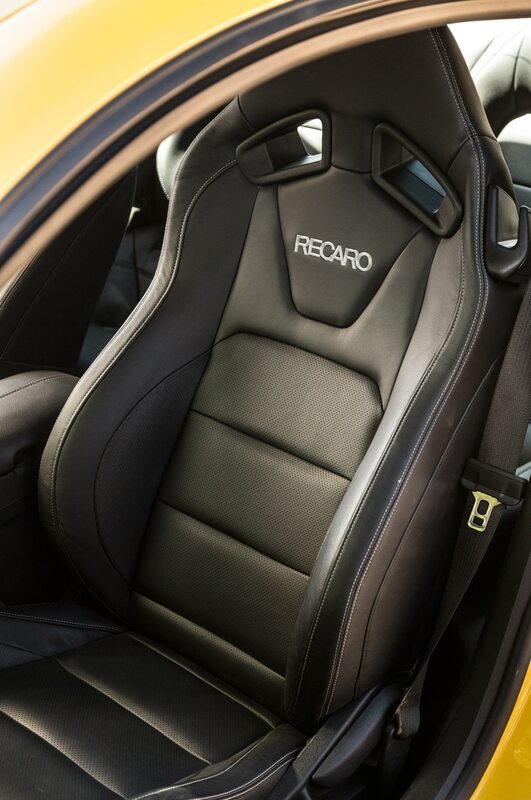 The 2.9-liter supercharger is aided by upgraded fuel injectors, a new fuel pump, carbon fiber air induction, and engine computer calibration. 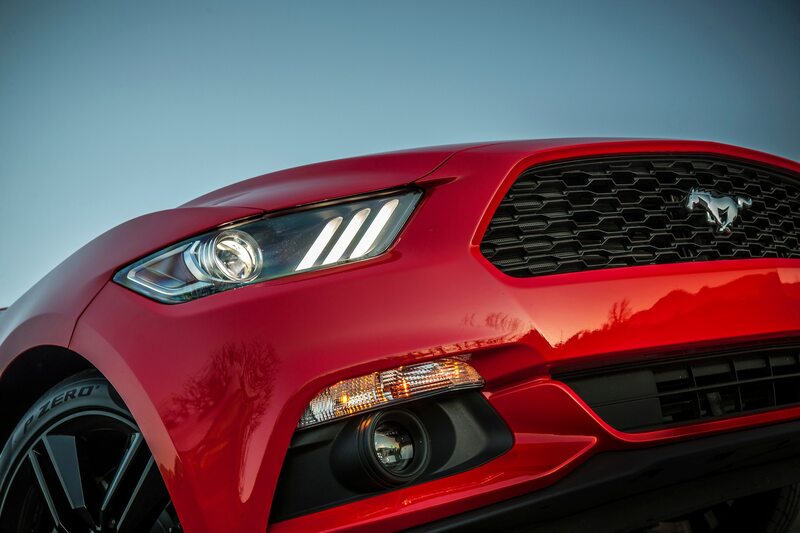 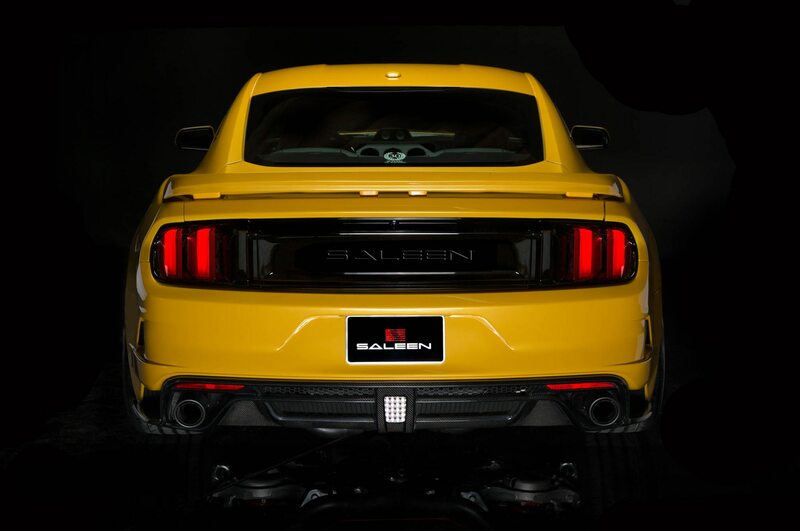 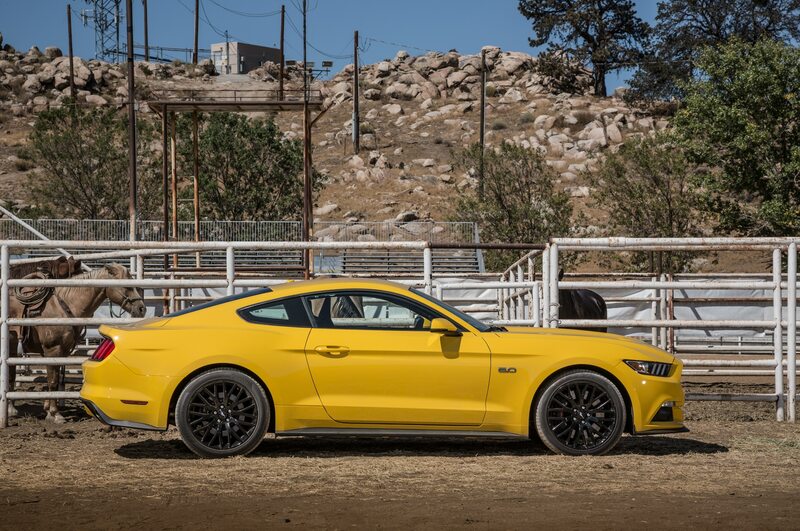 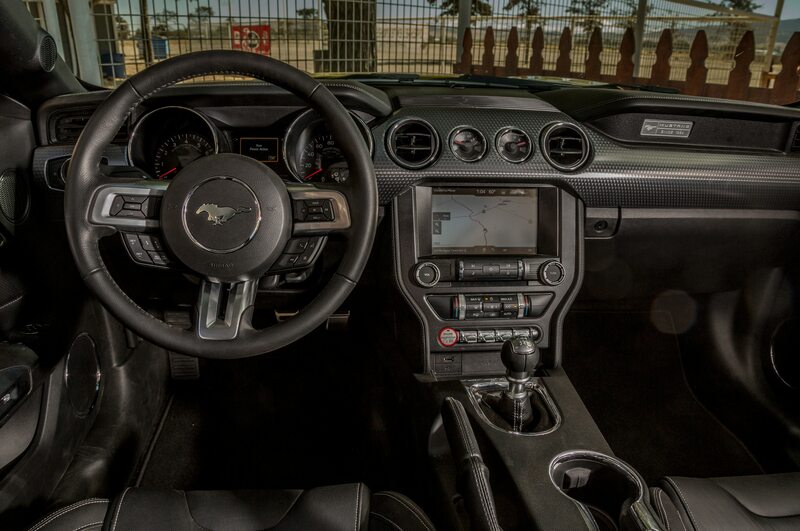 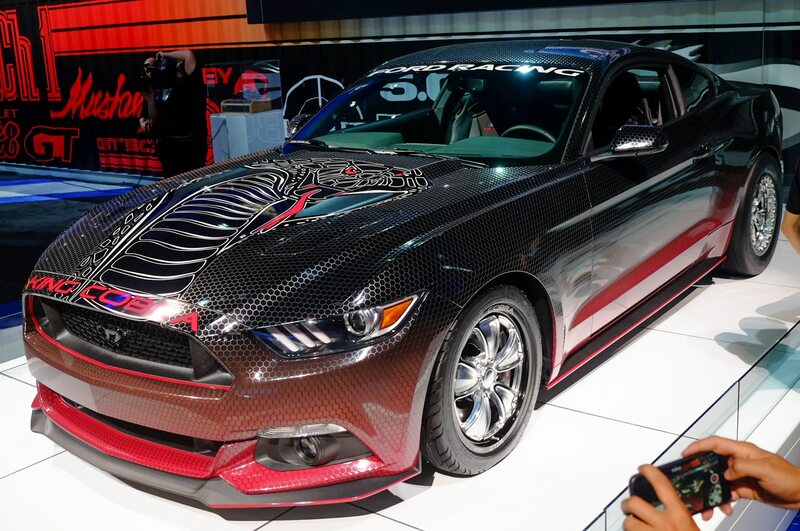 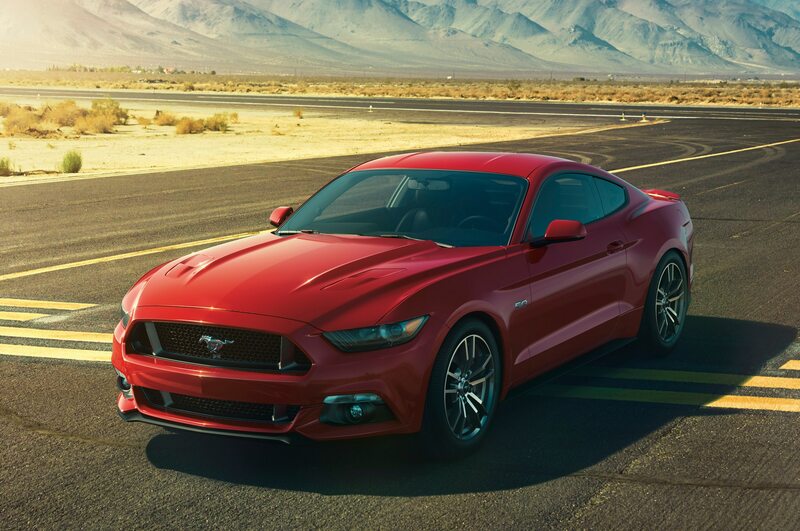 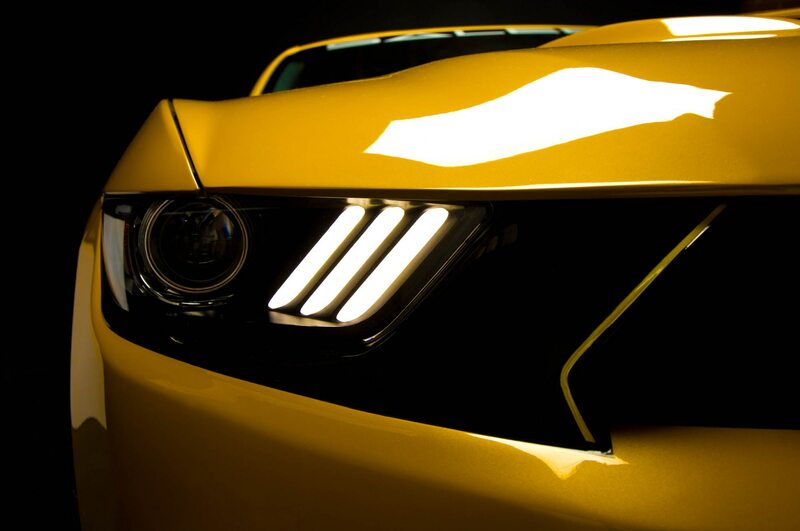 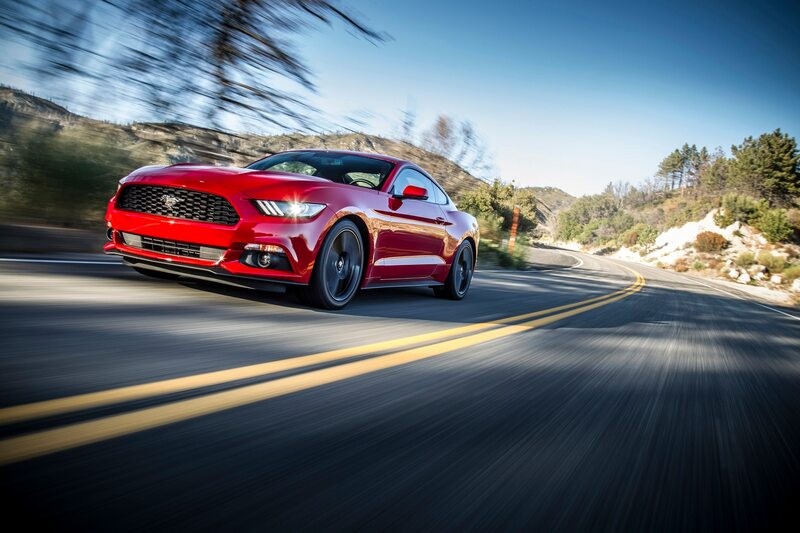 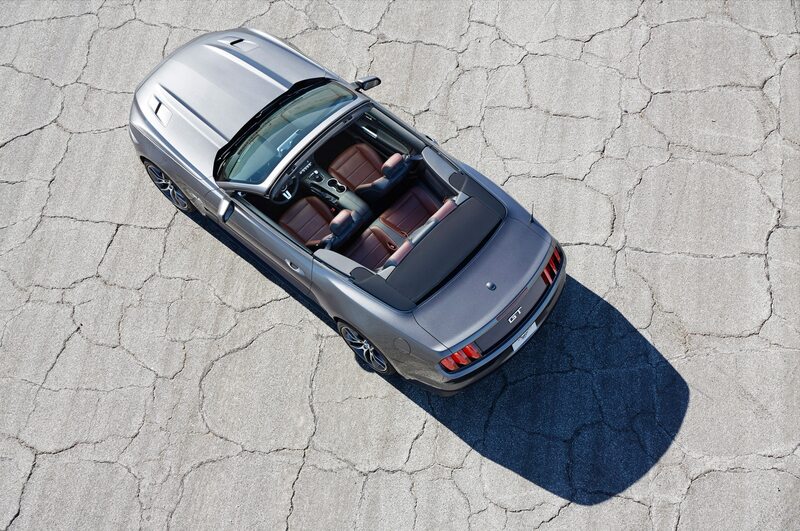 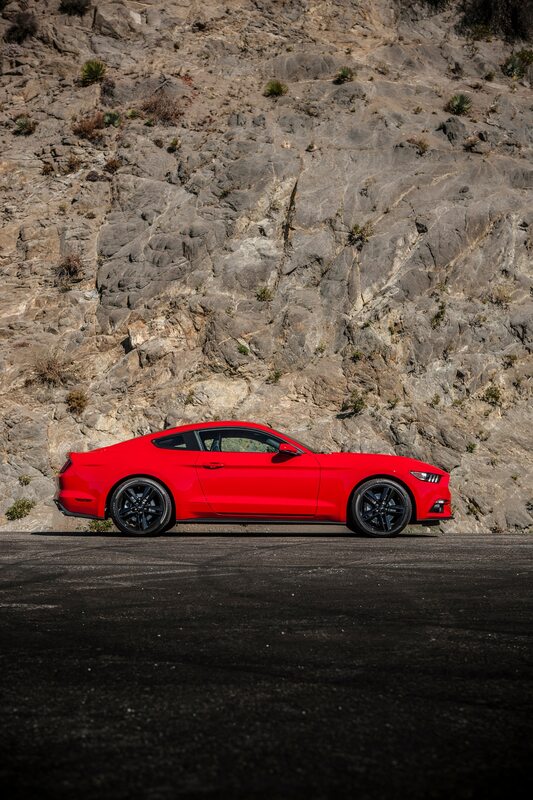 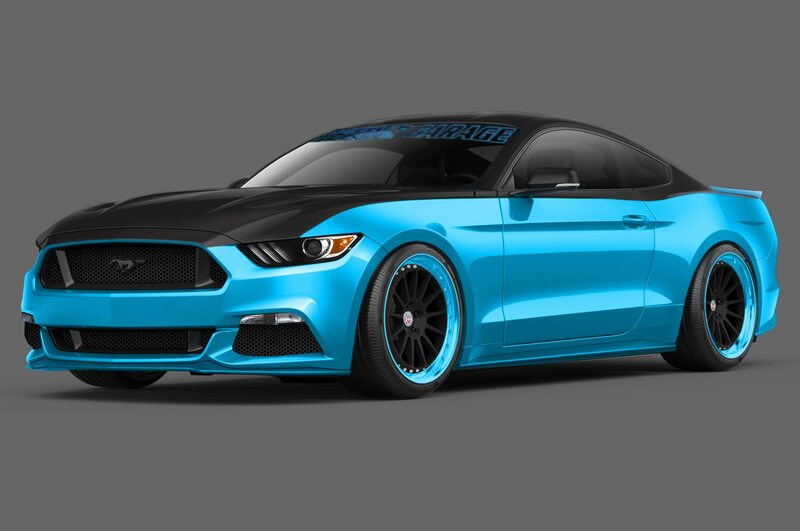 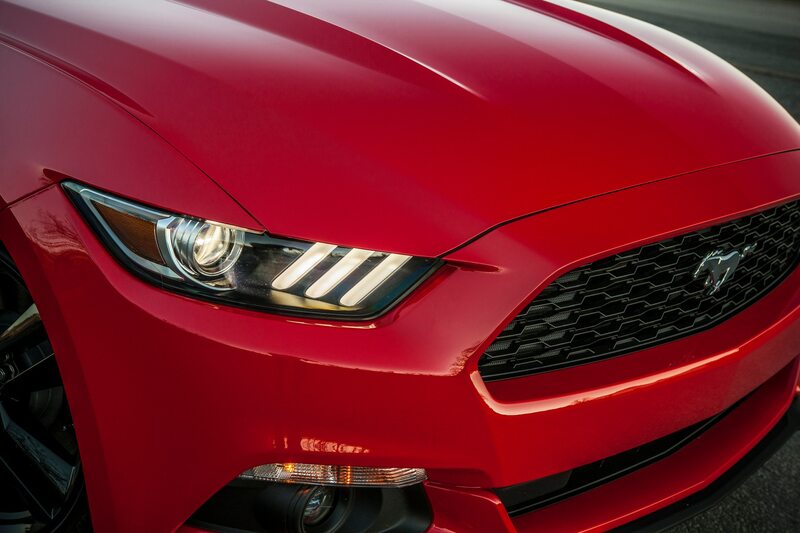 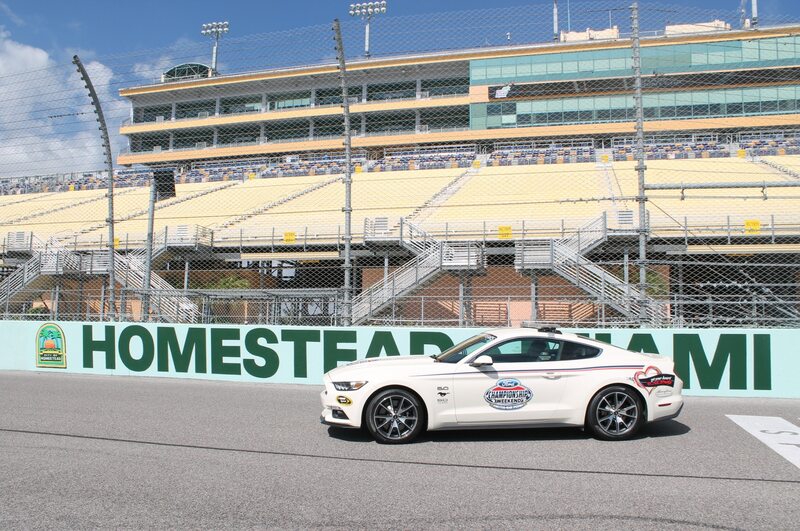 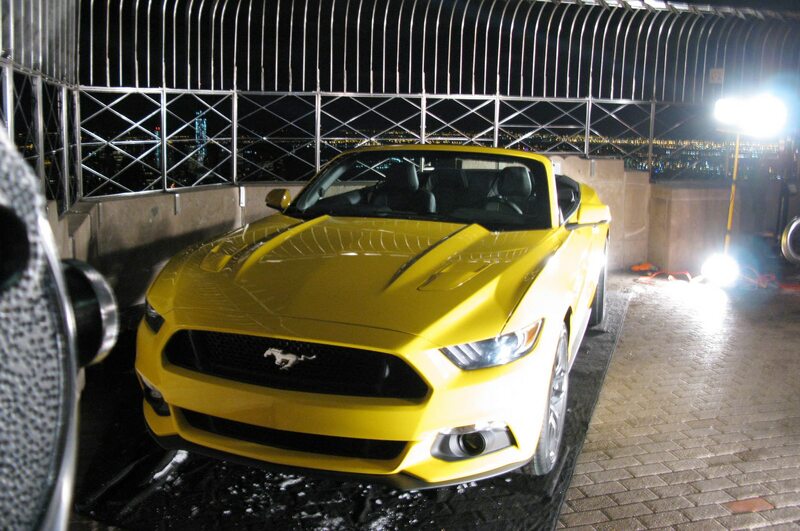 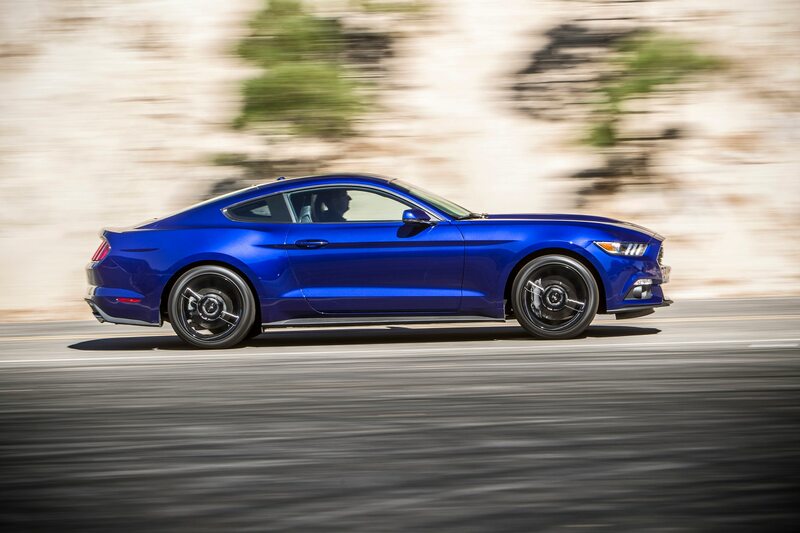 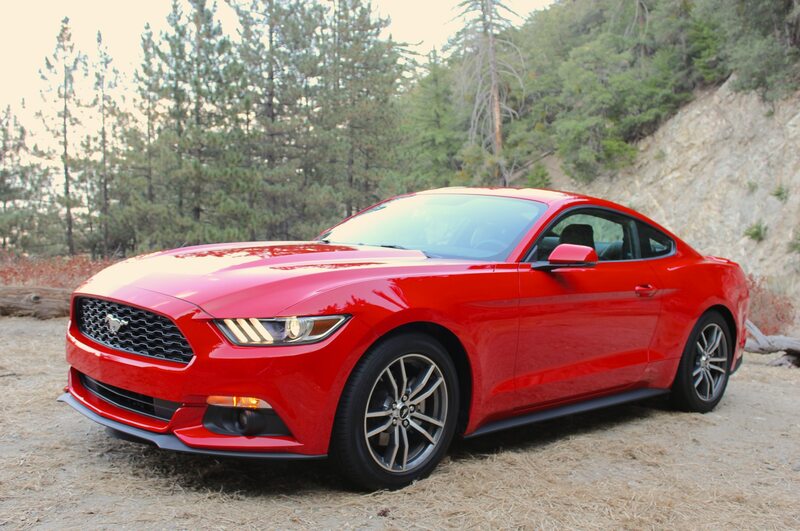 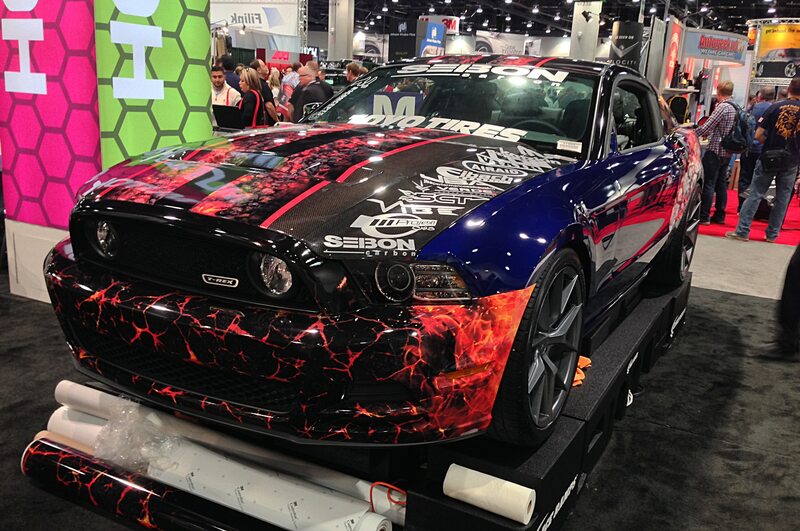 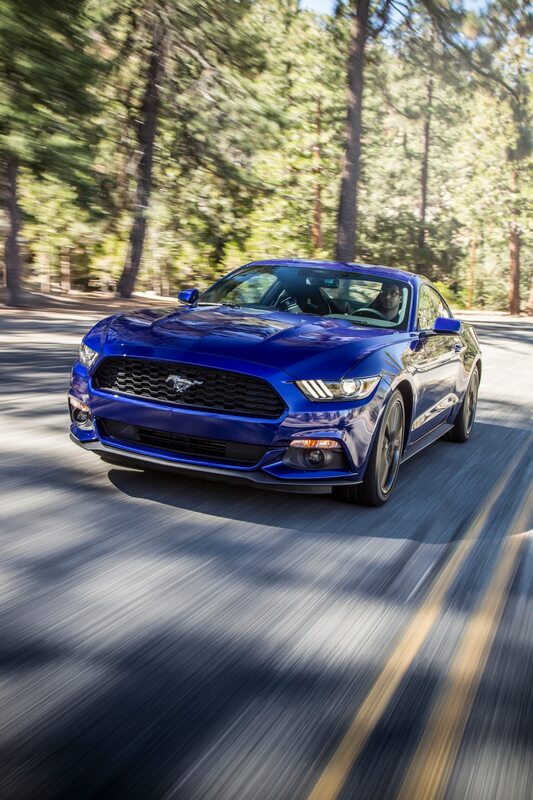 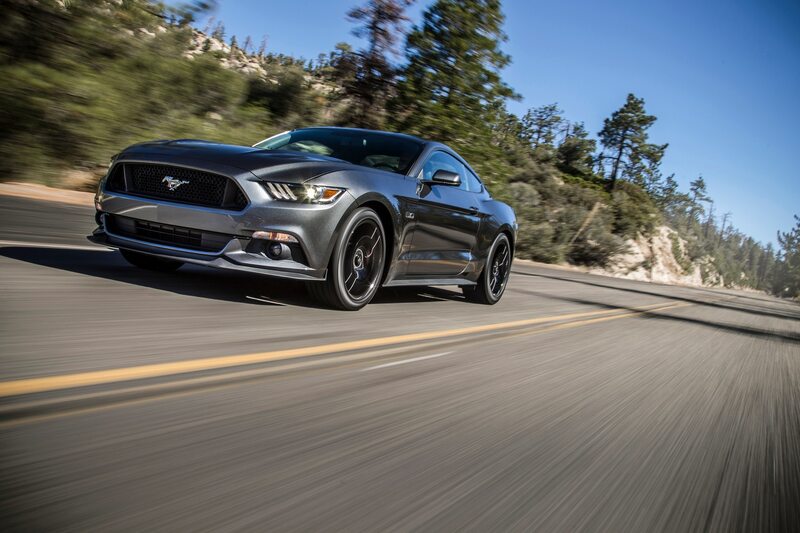 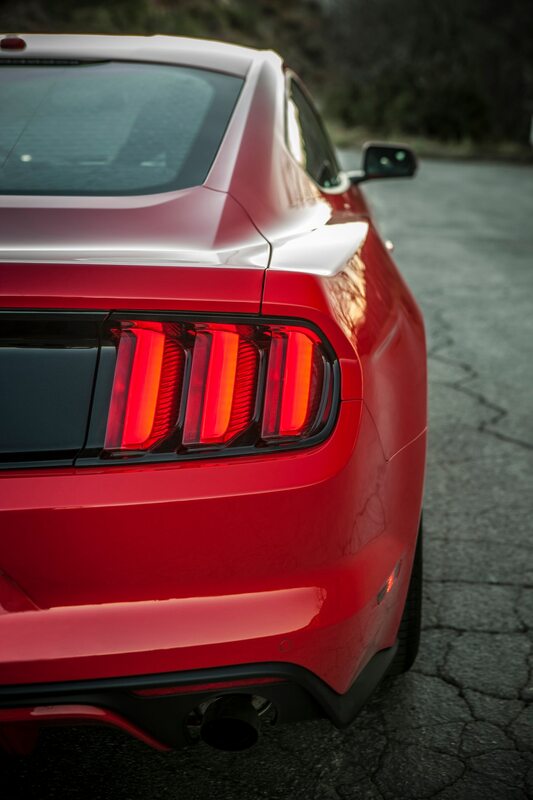 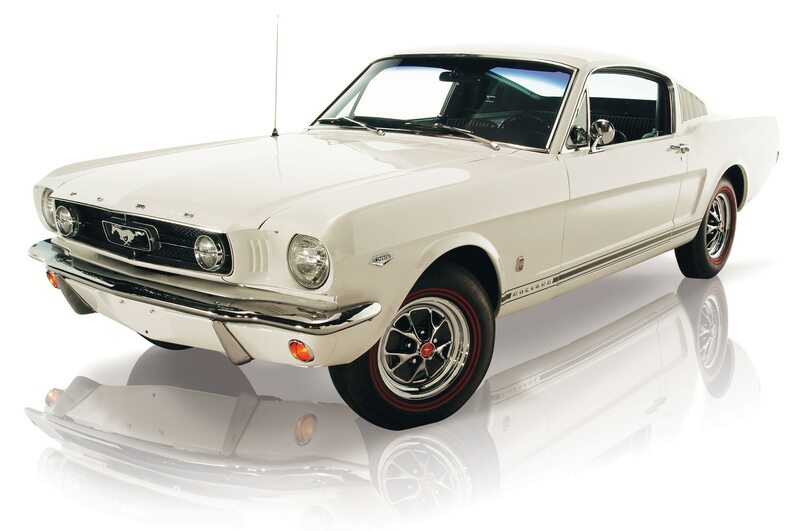 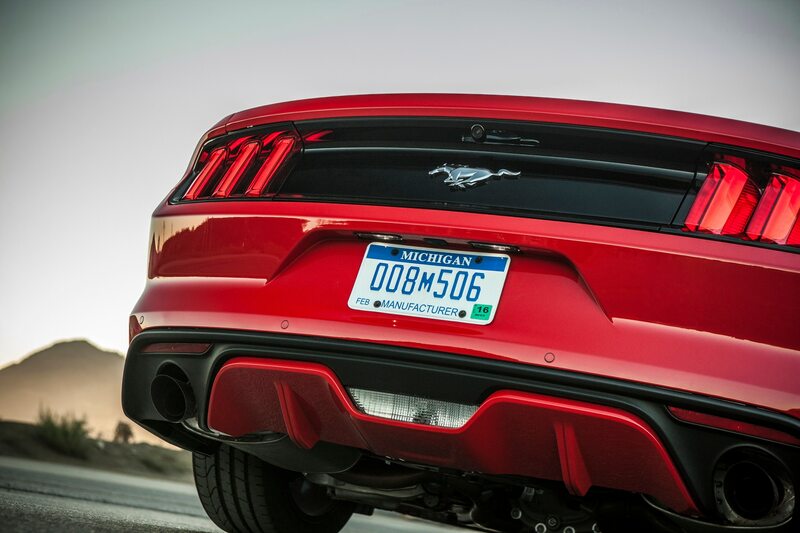 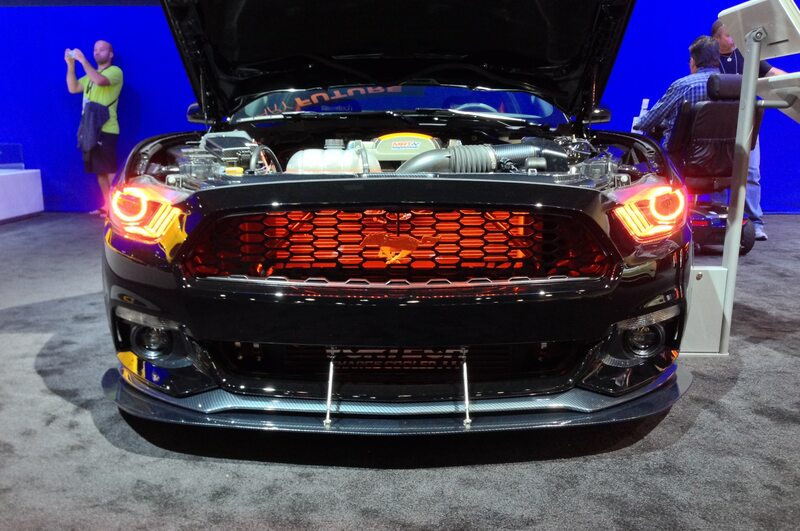 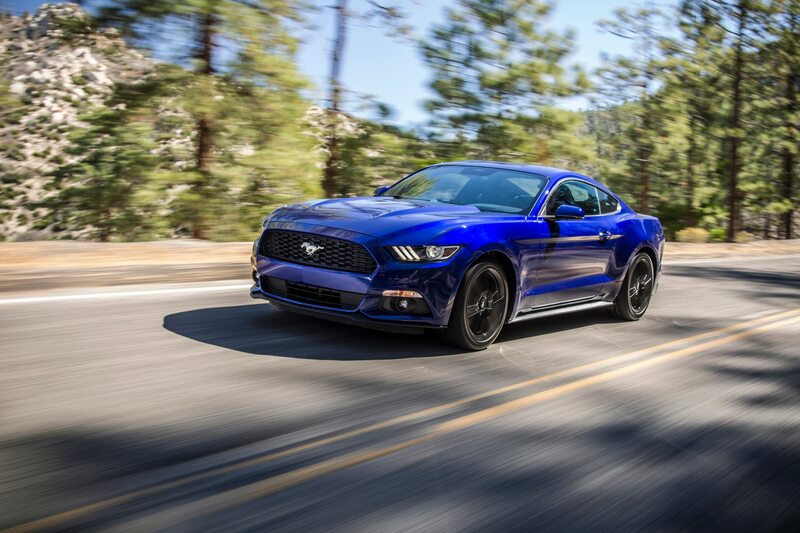 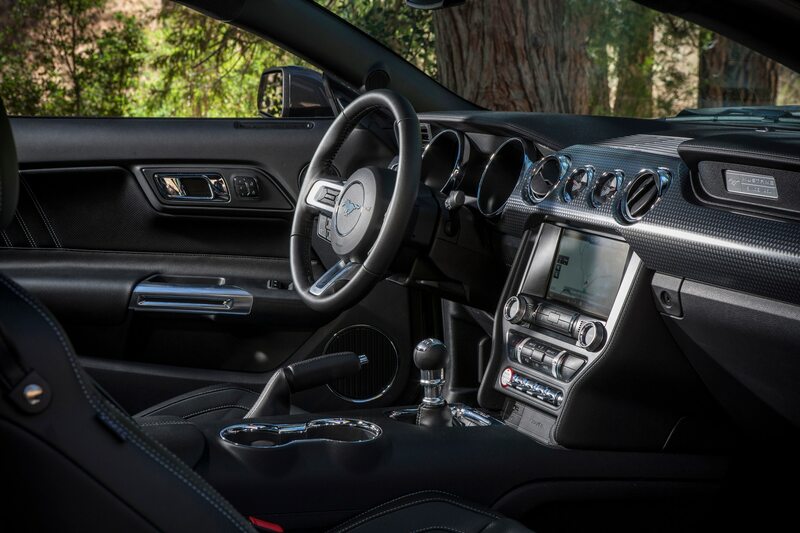 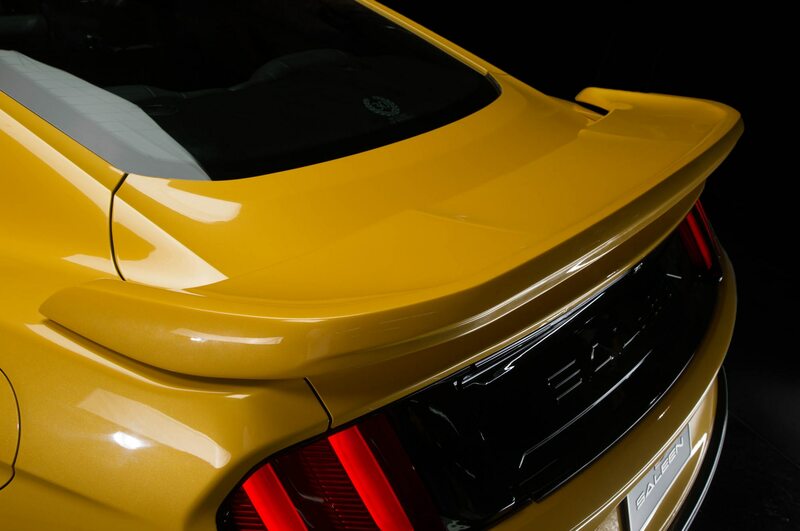 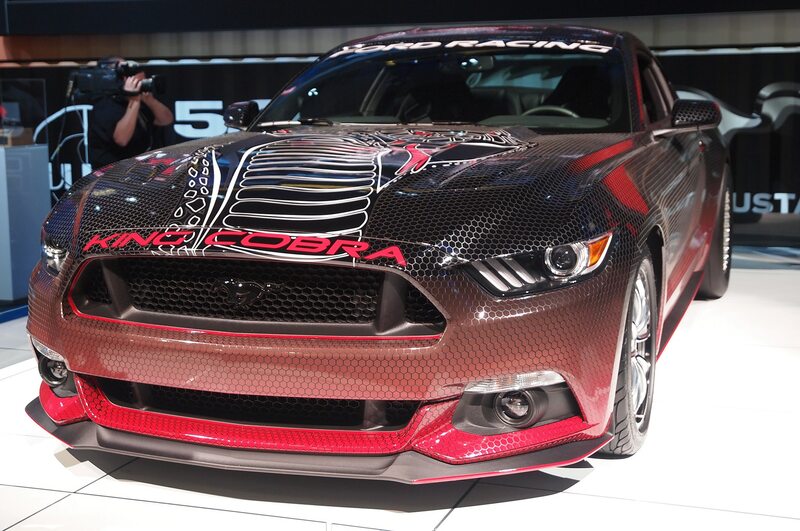 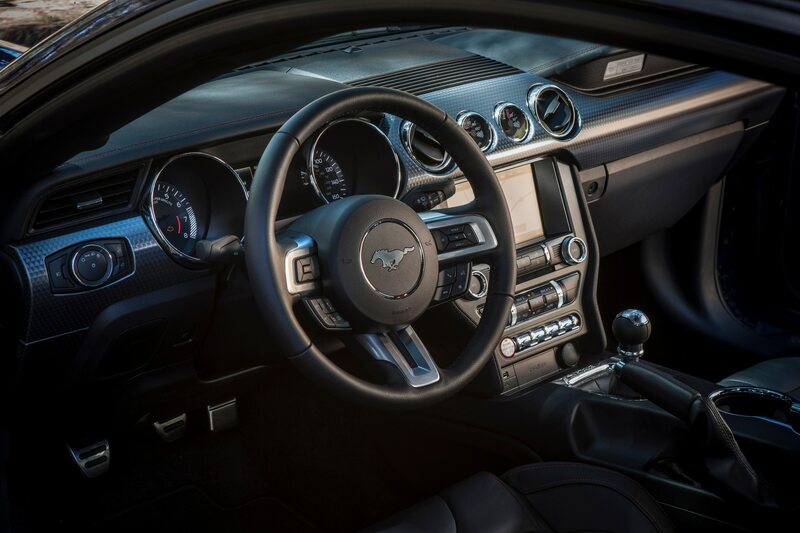 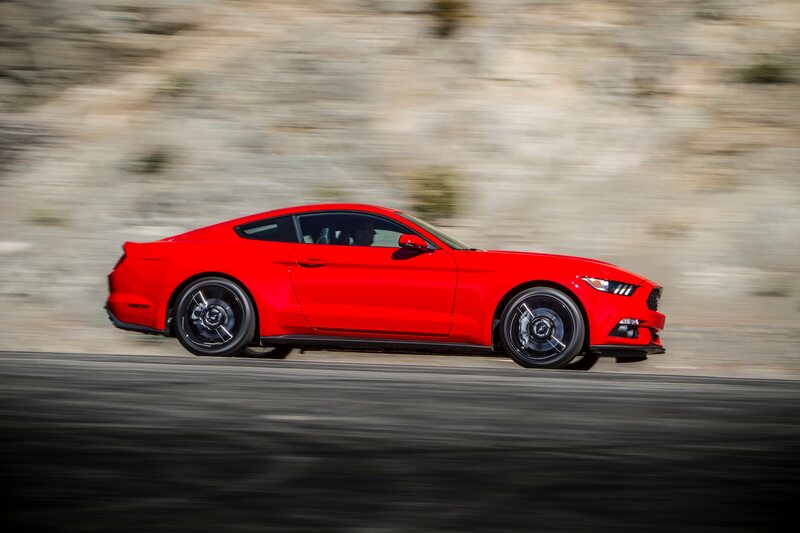 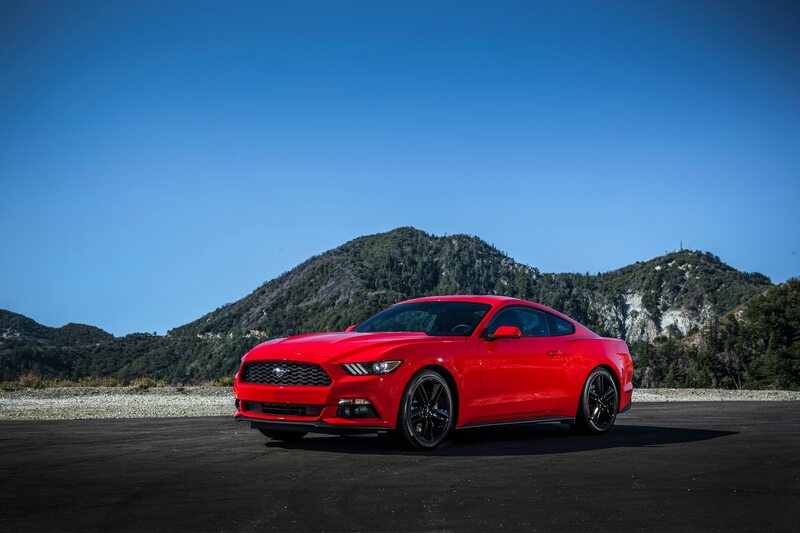 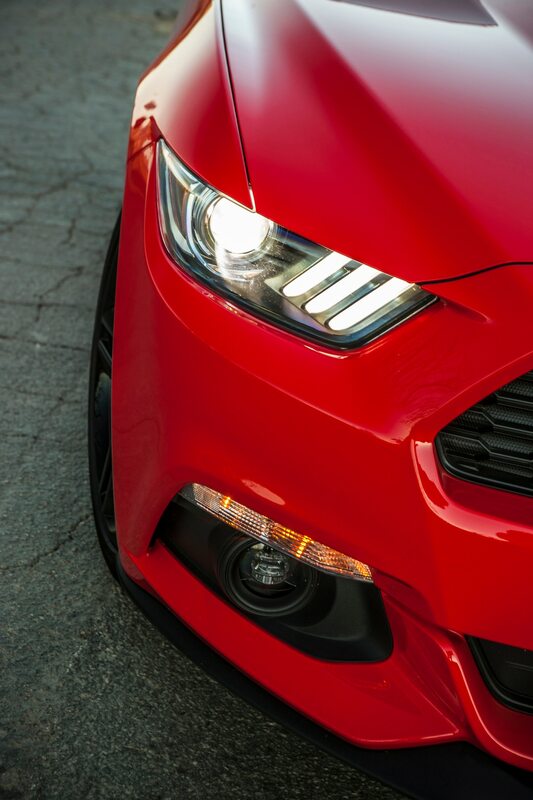 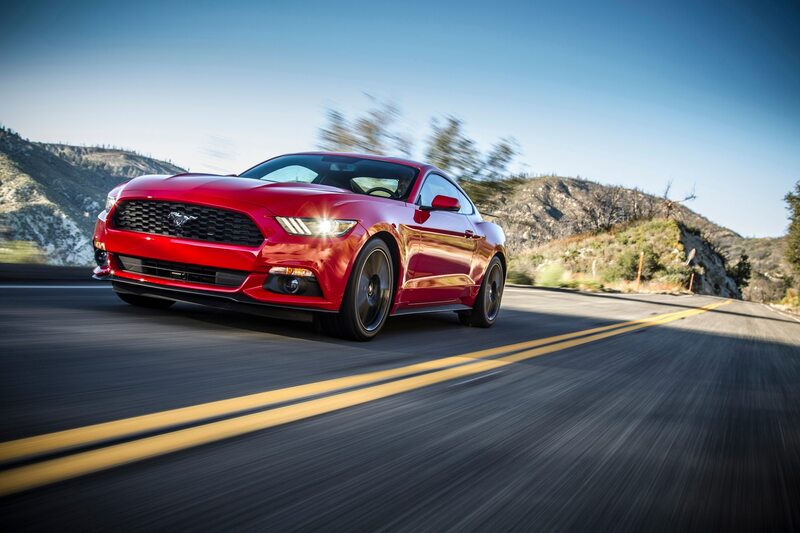 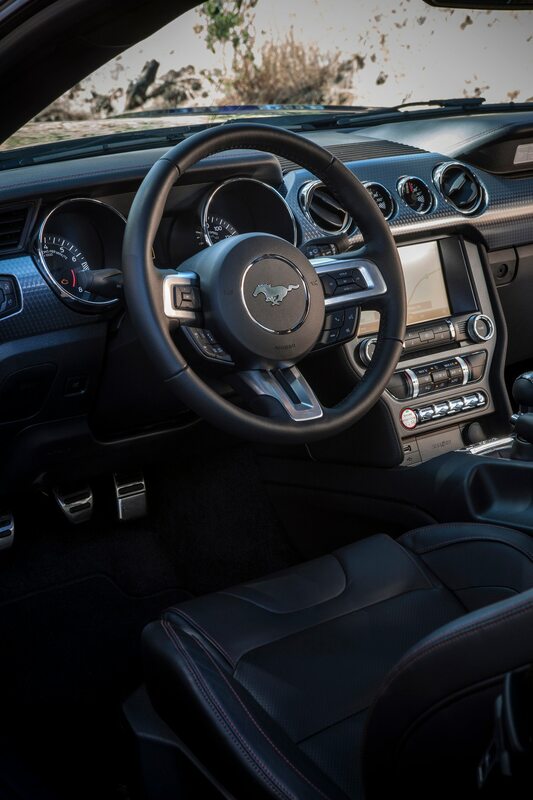 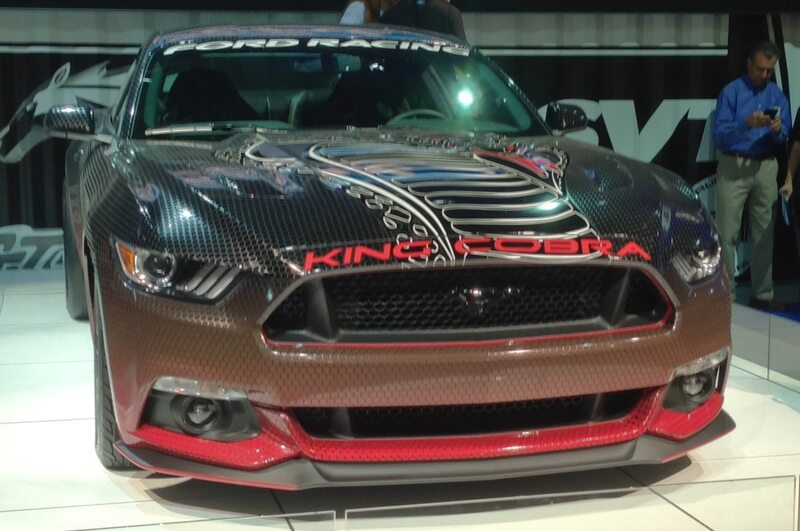 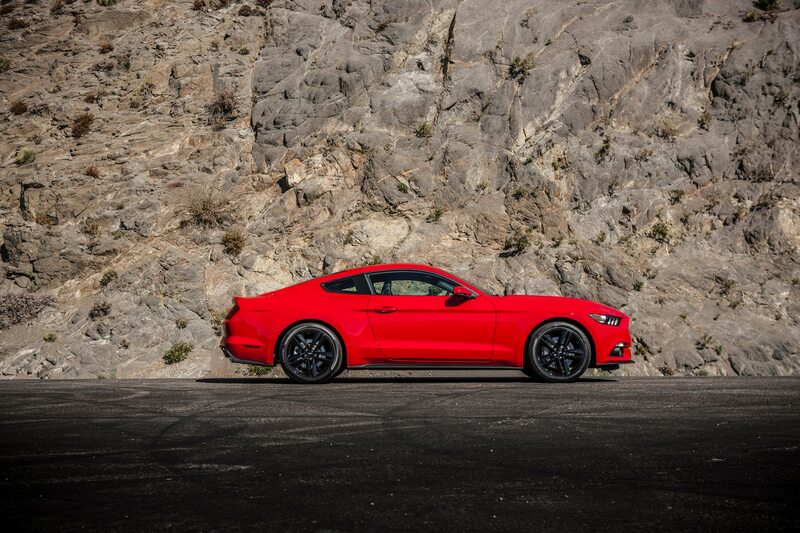 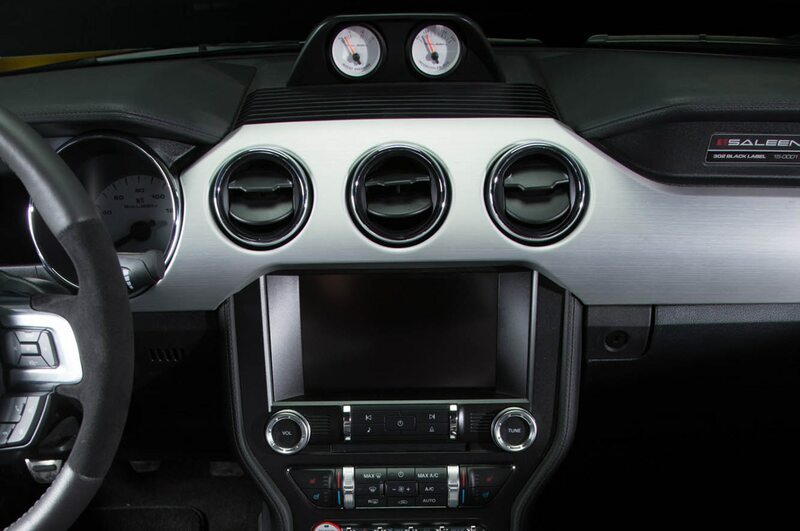 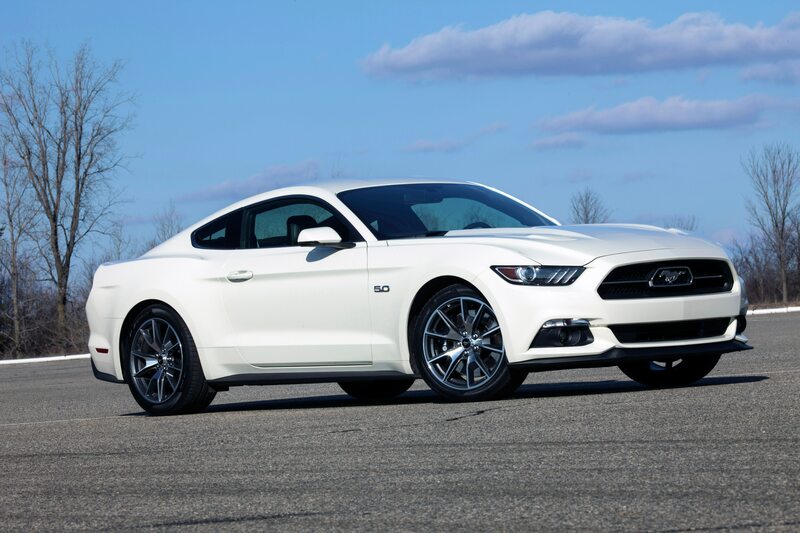 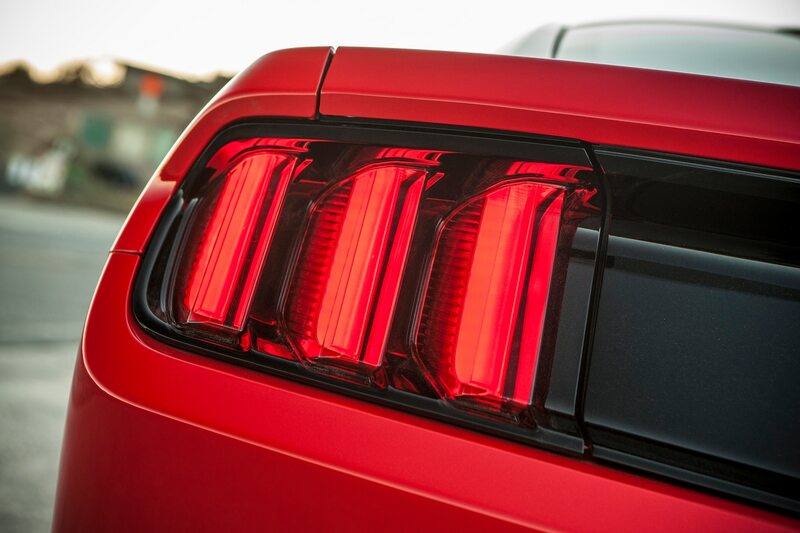 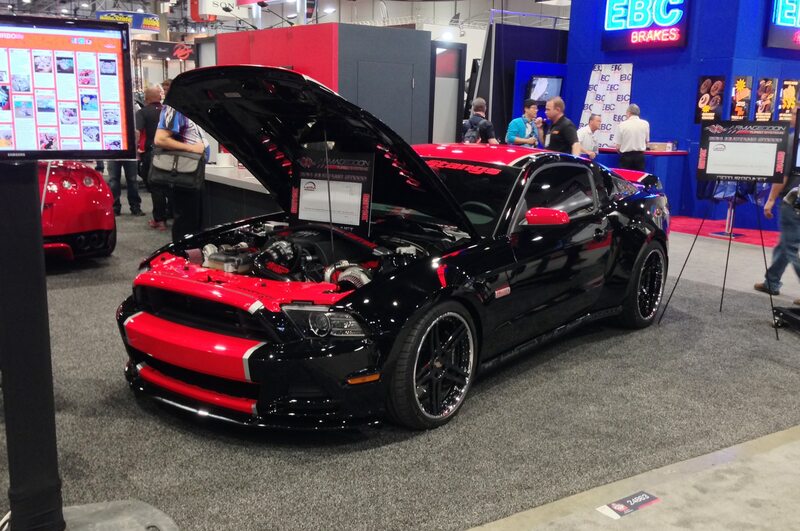 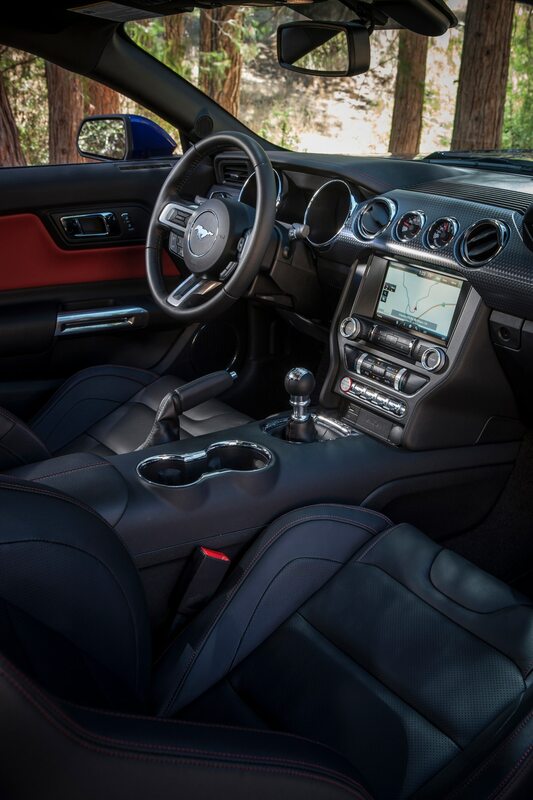 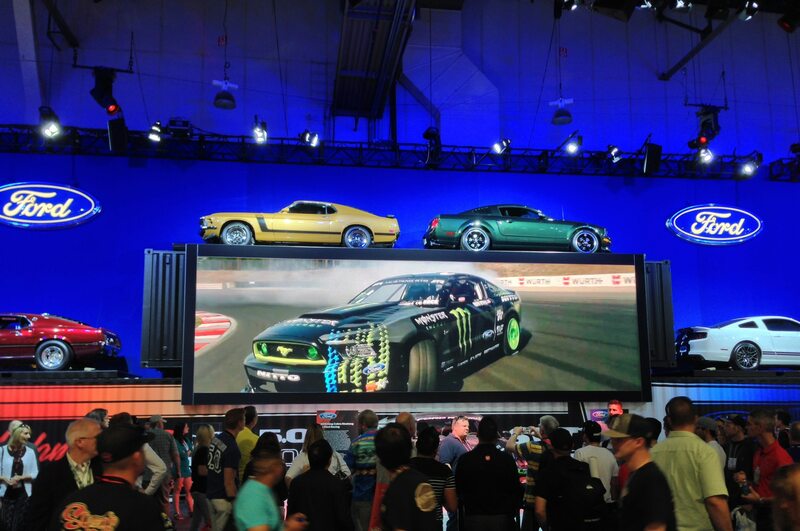 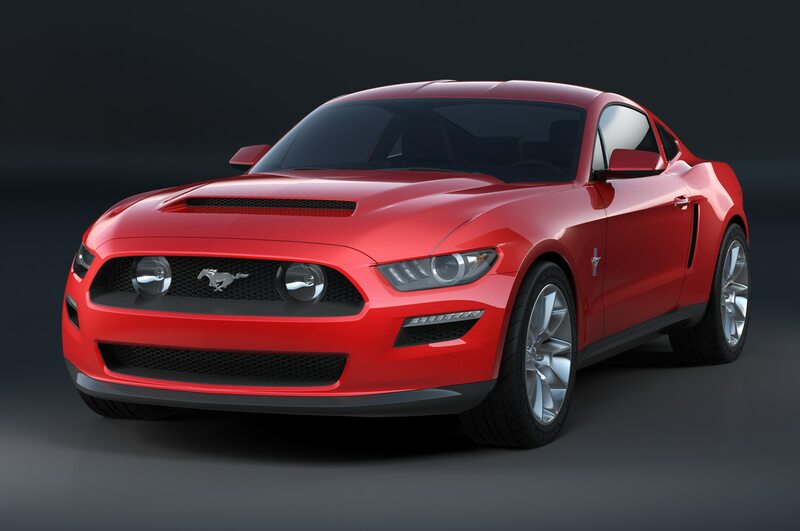 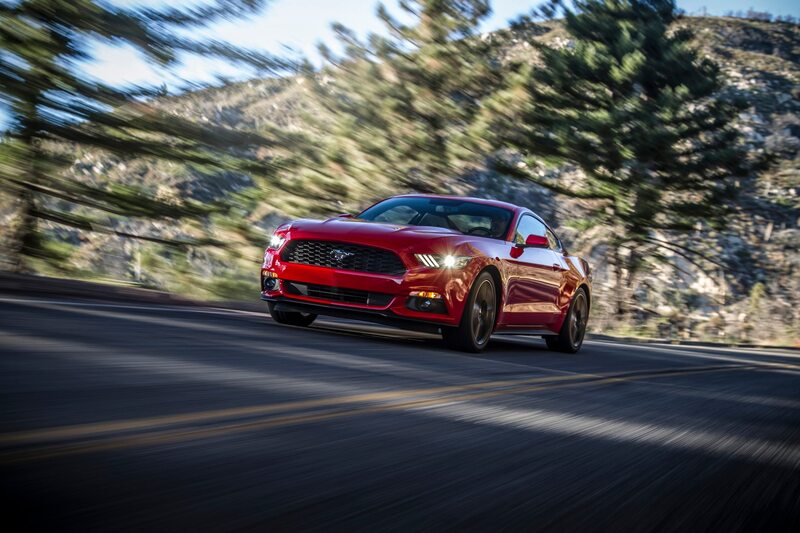 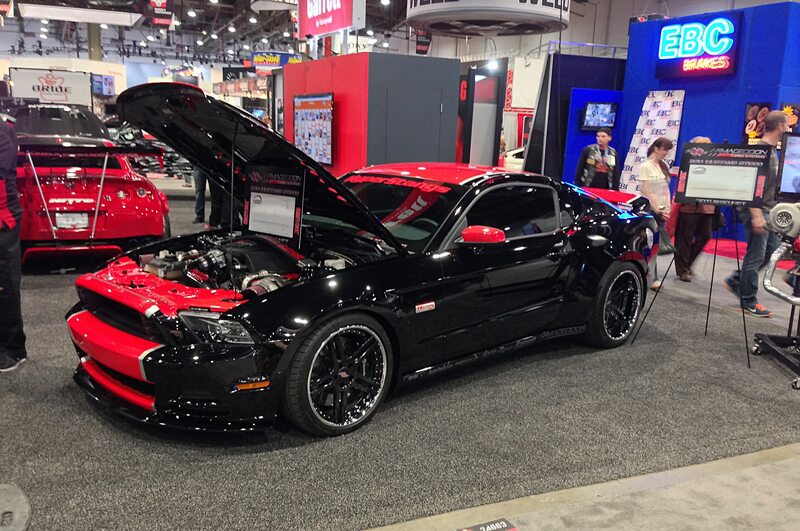 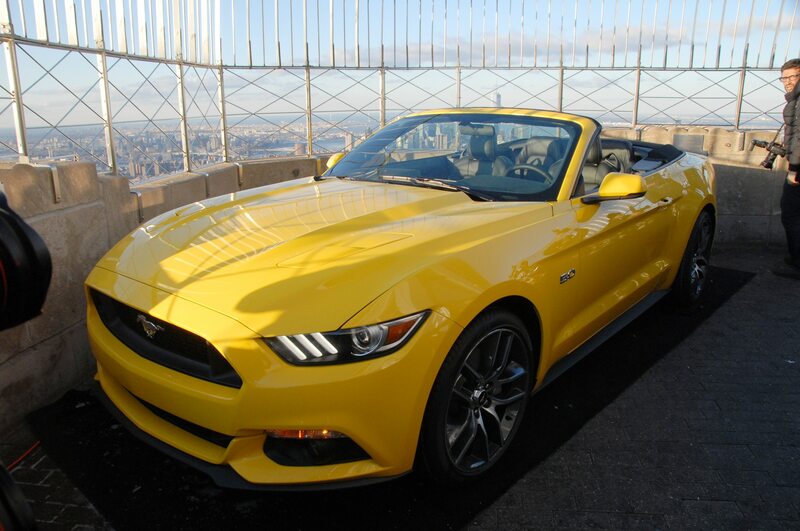 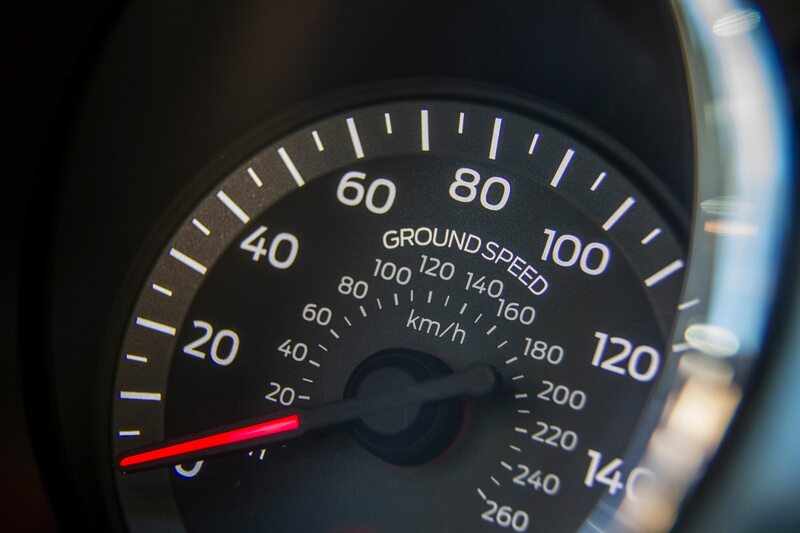 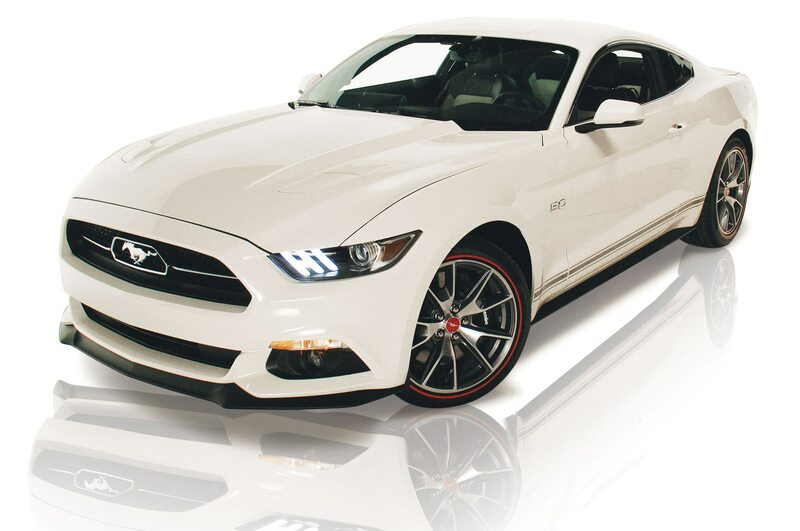 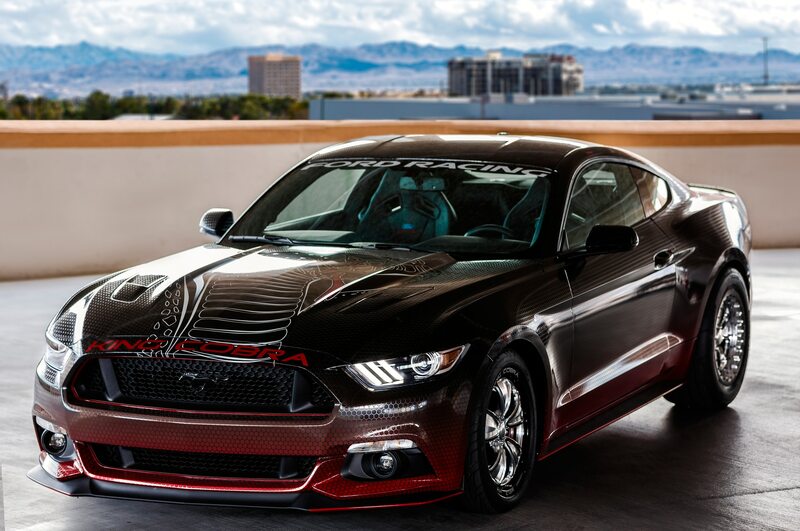 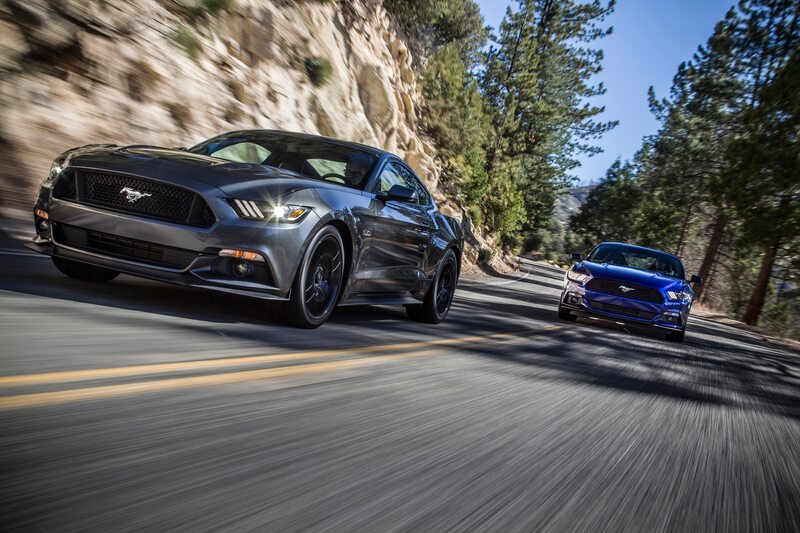 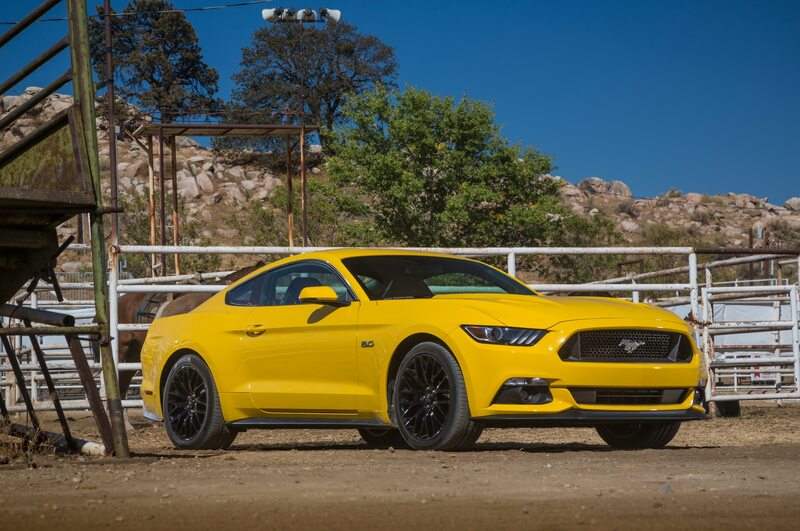 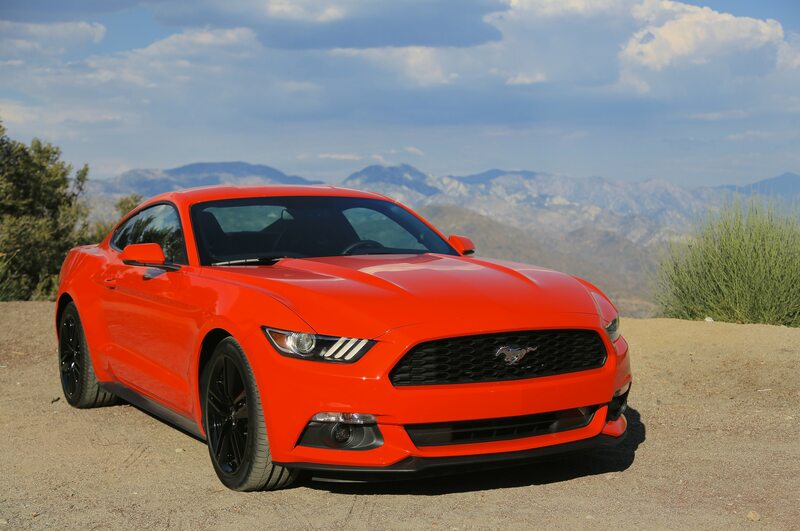 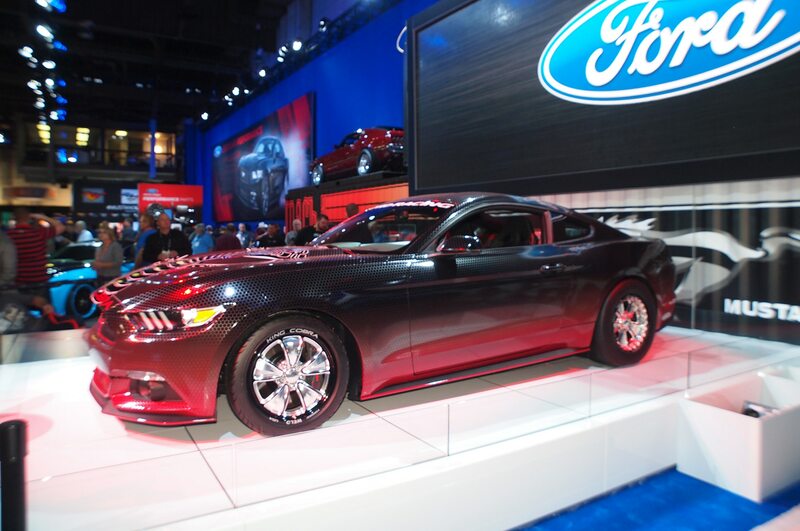 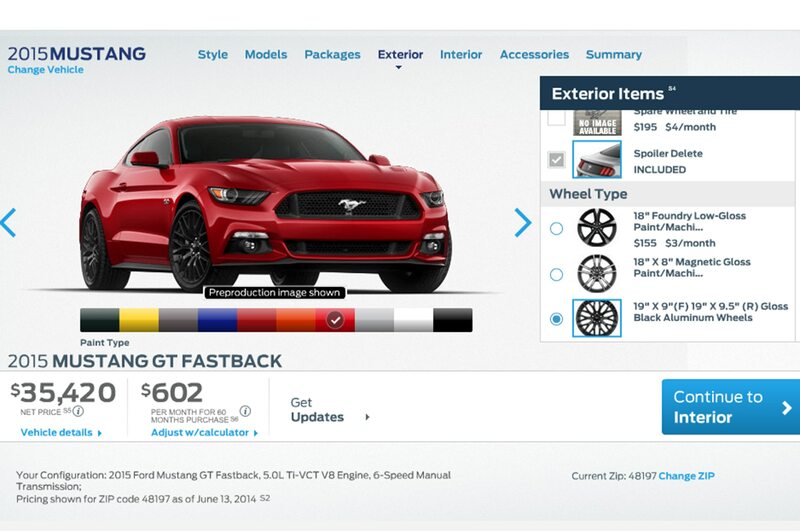 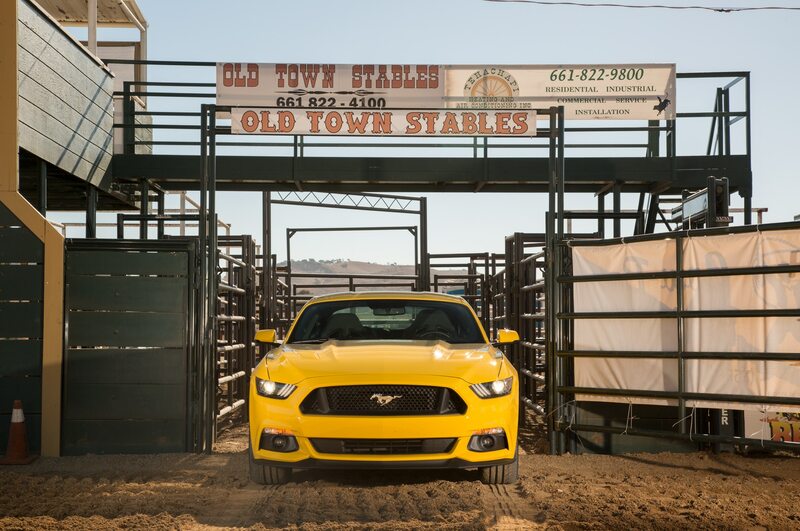 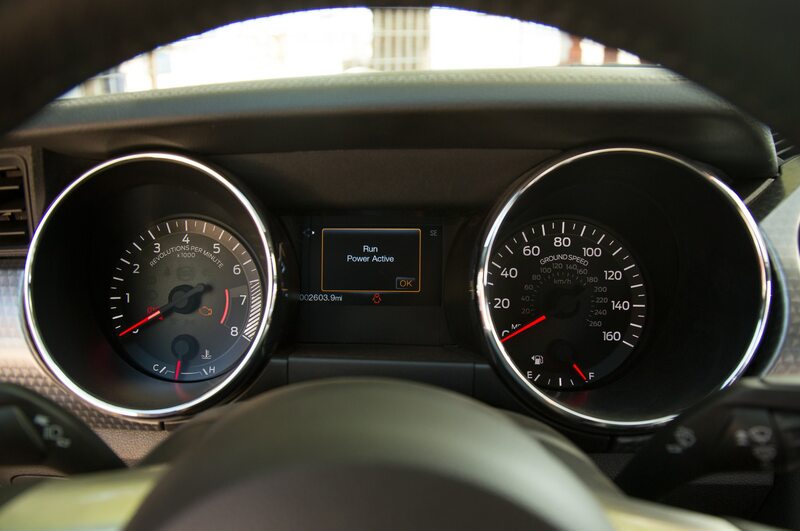 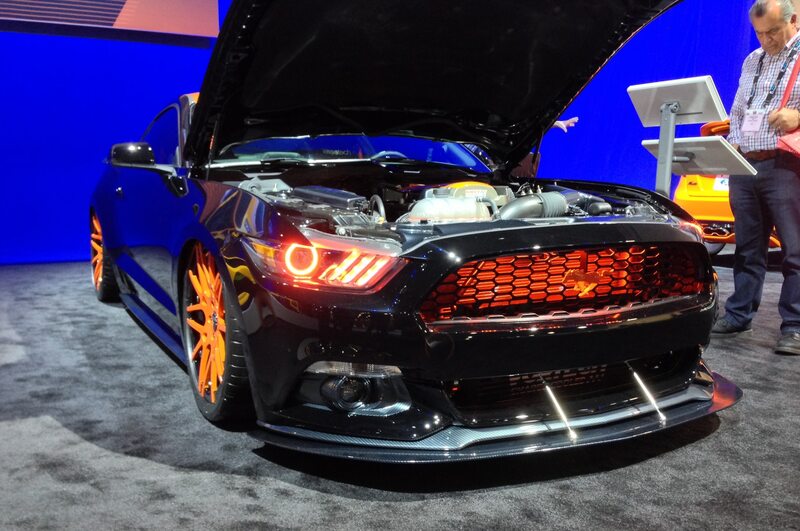 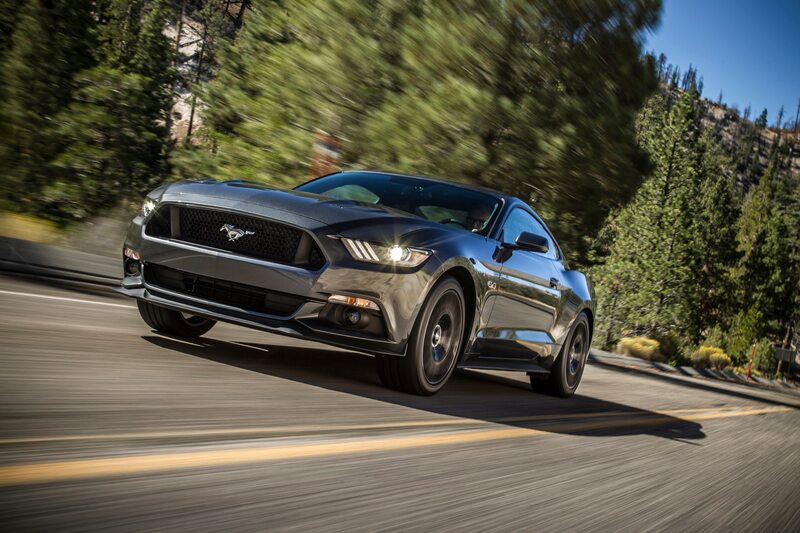 The result is raging Mustang which can, according to Hennessey, launch from 0-60 mph in 3.4 seconds and complete the quarter-mile in 10.9 seconds at 133 mph. 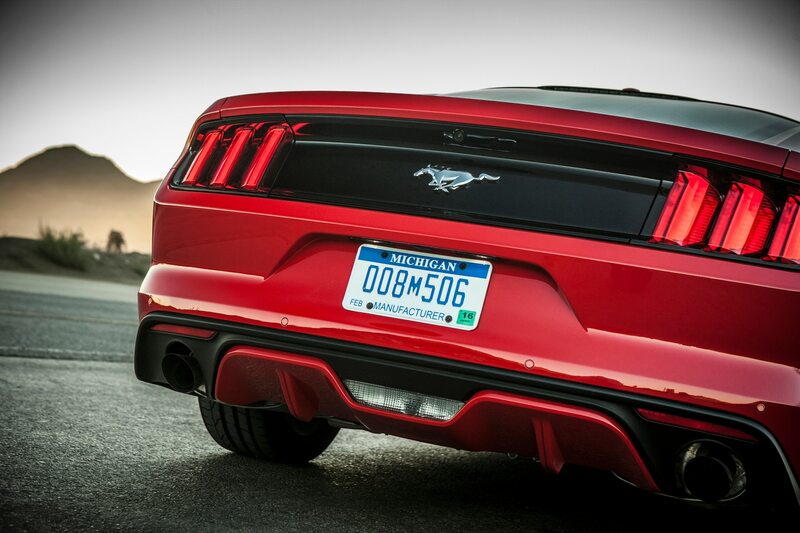 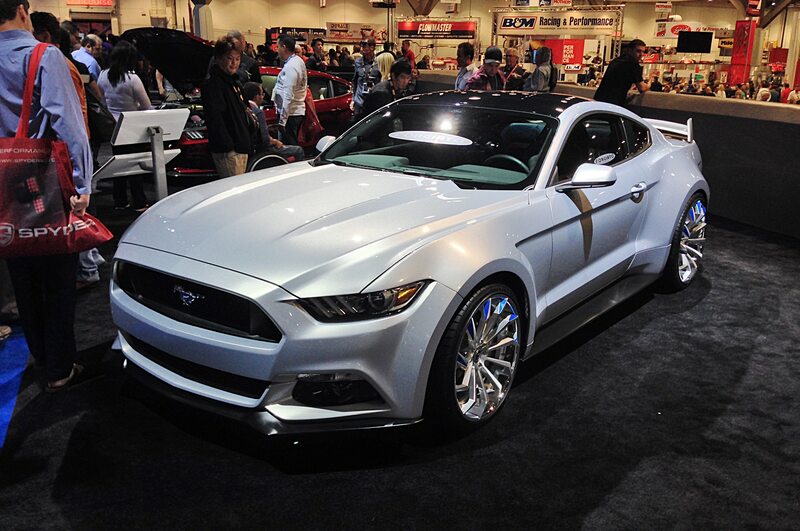 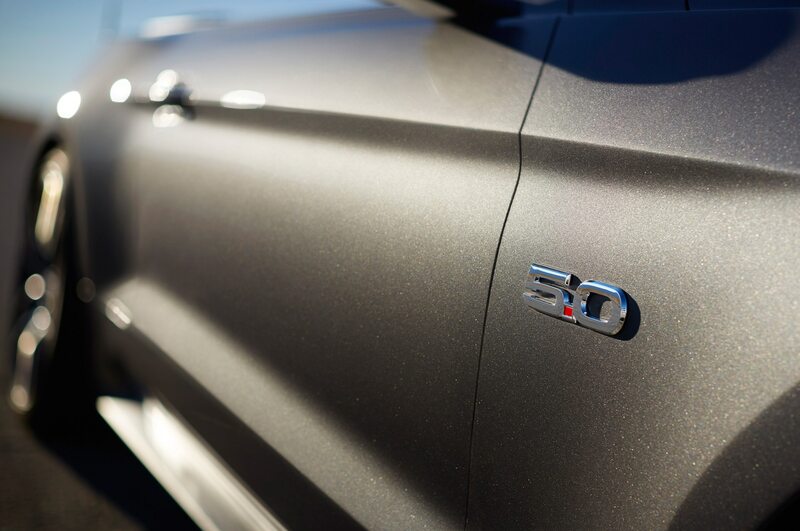 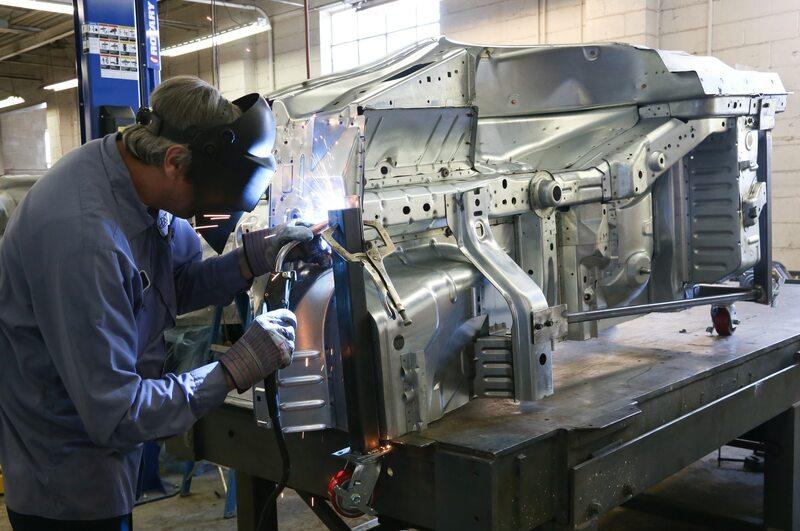 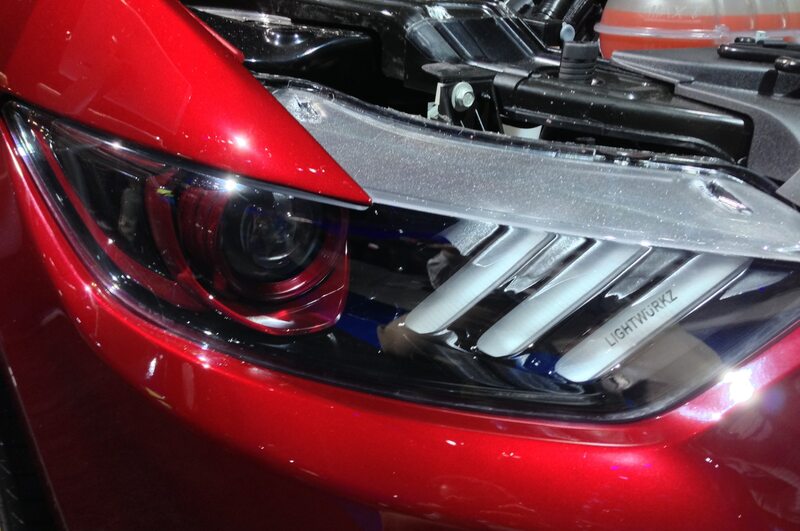 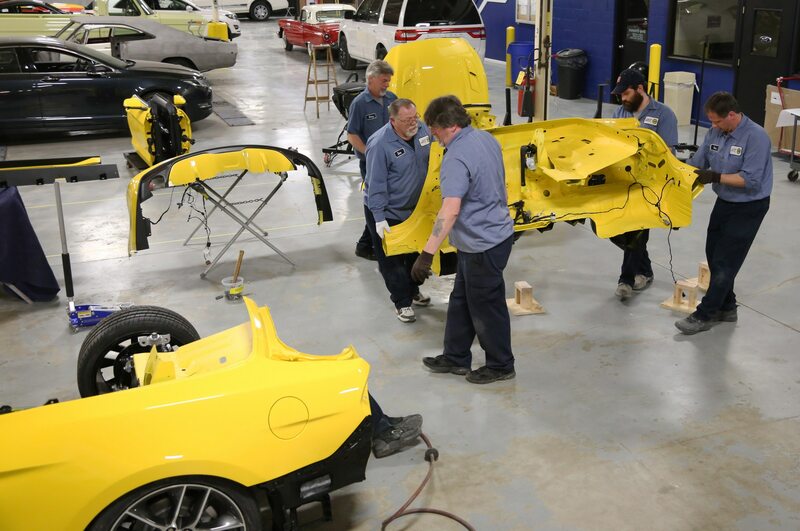 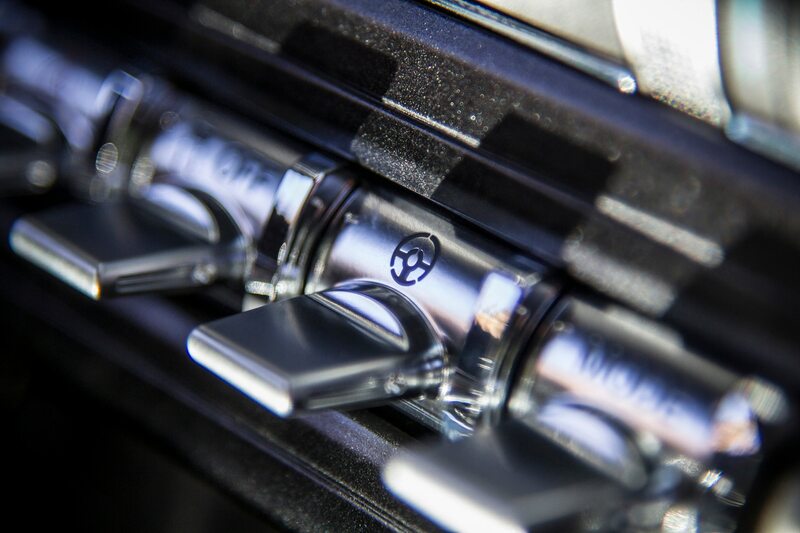 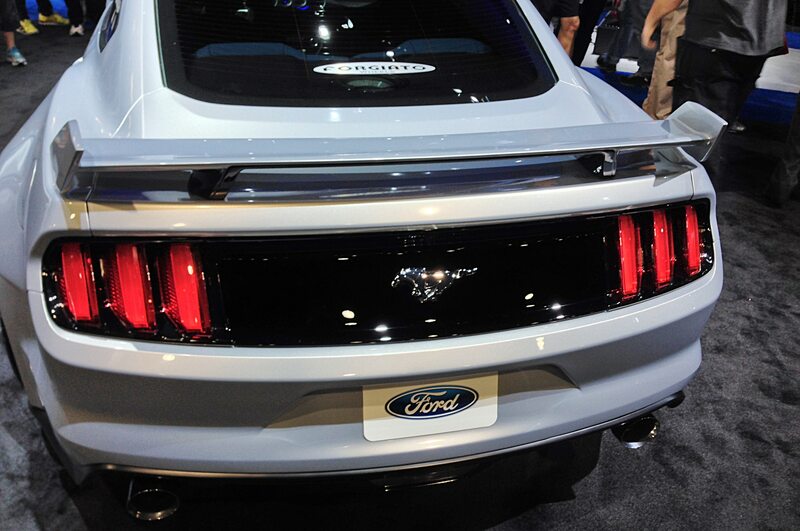 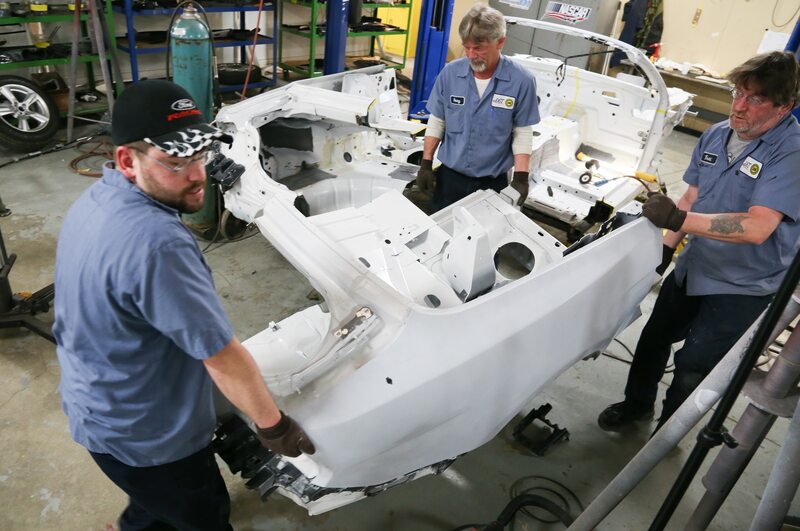 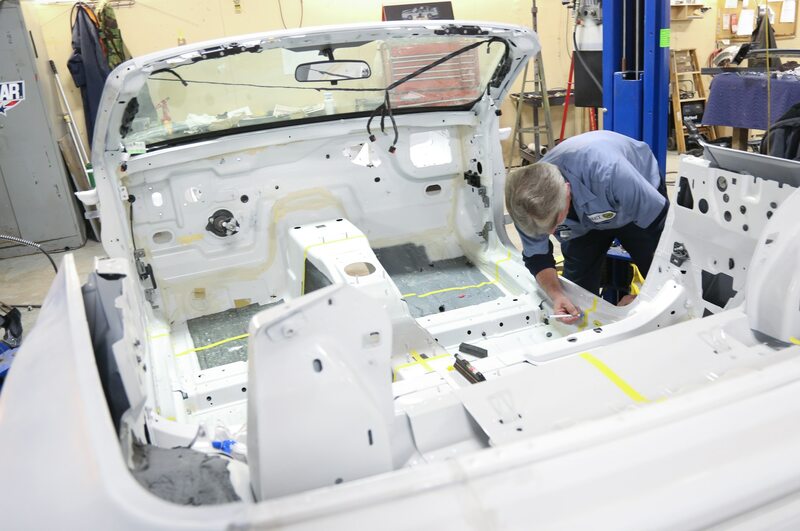 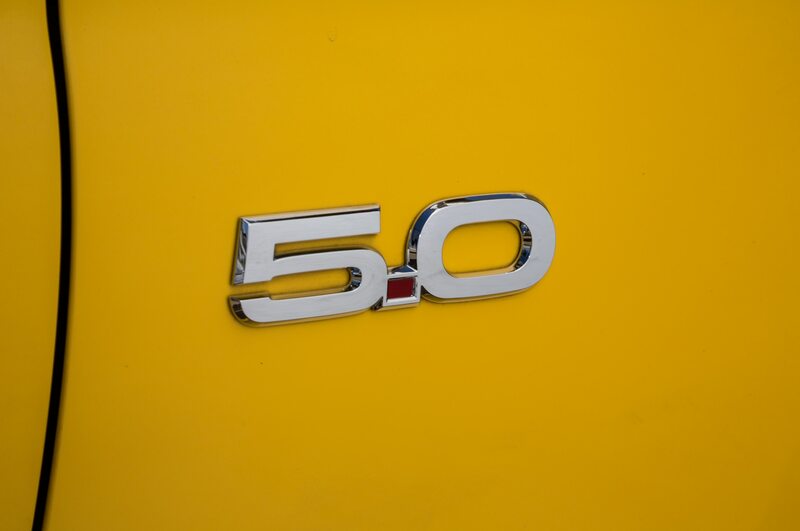 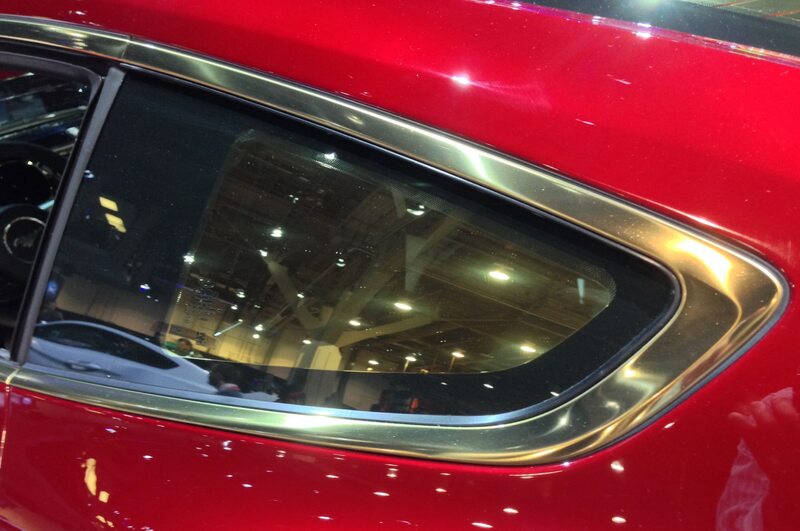 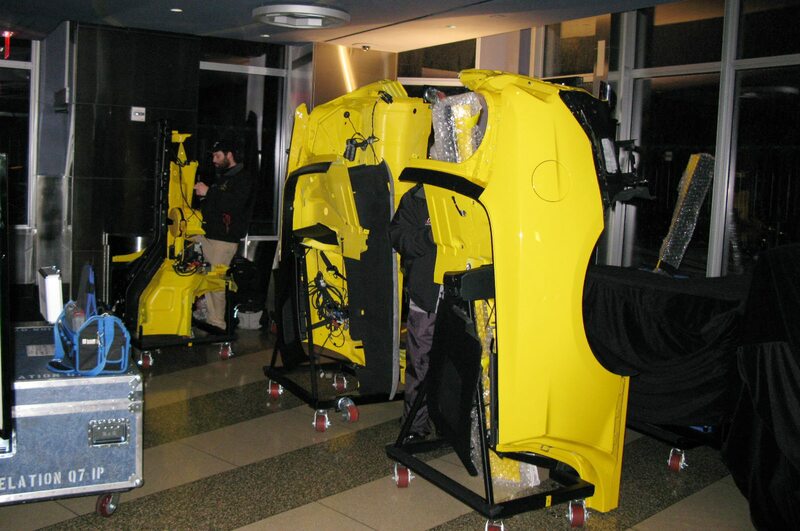 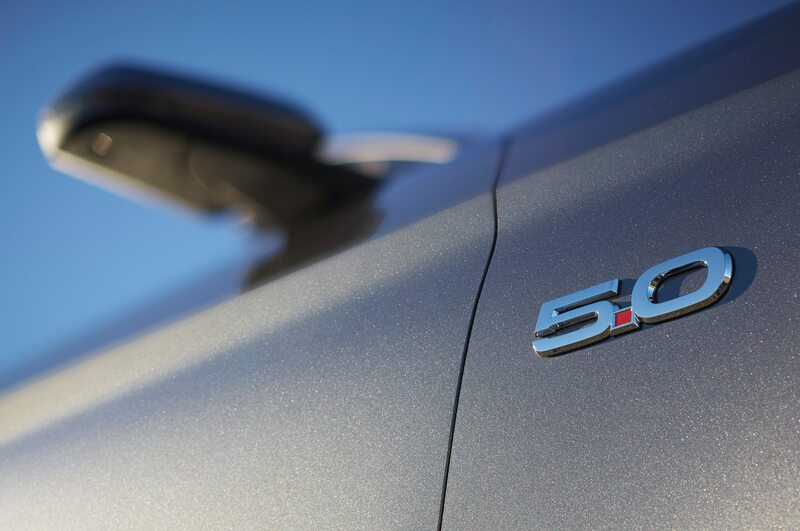 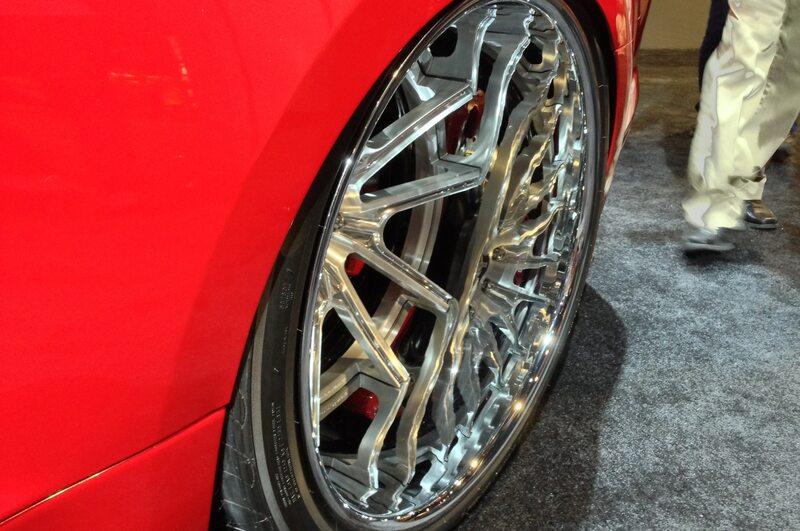 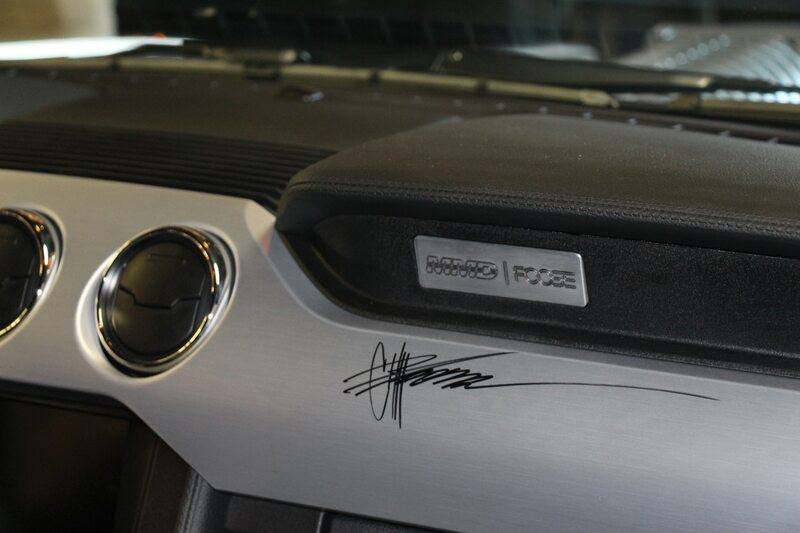 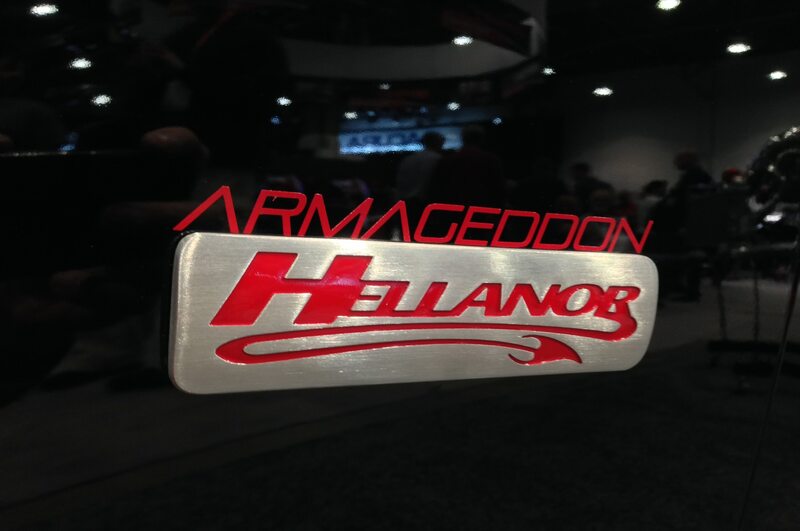 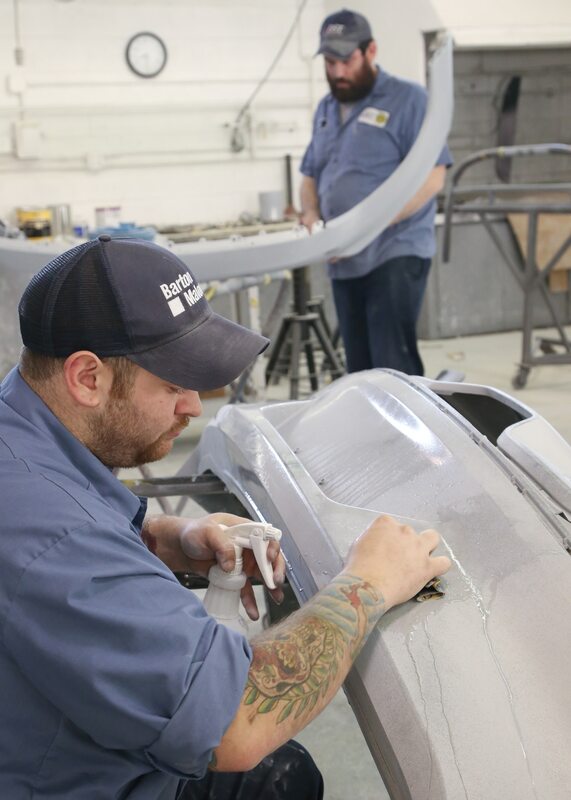 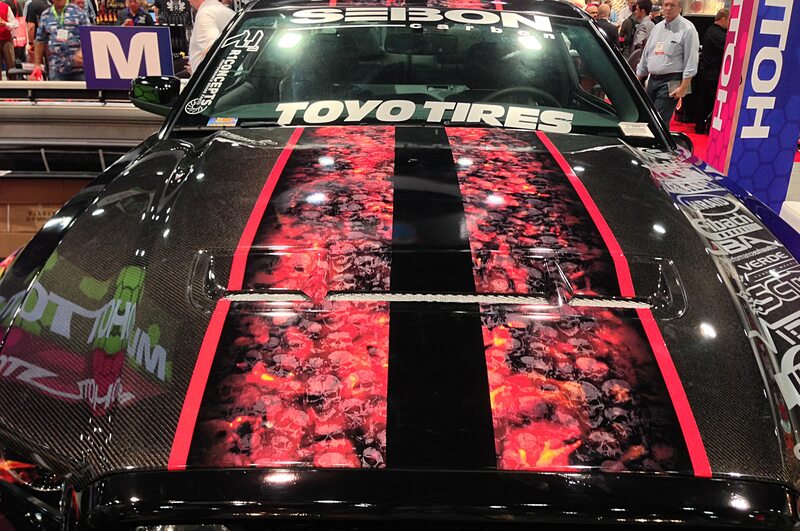 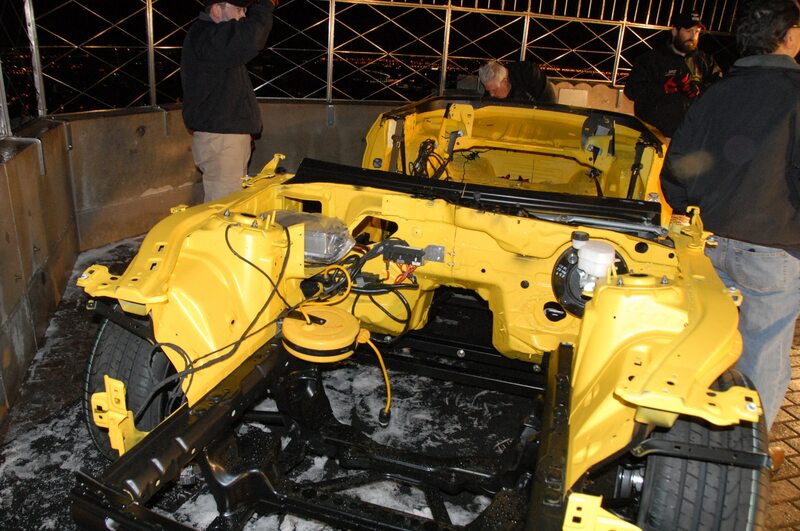 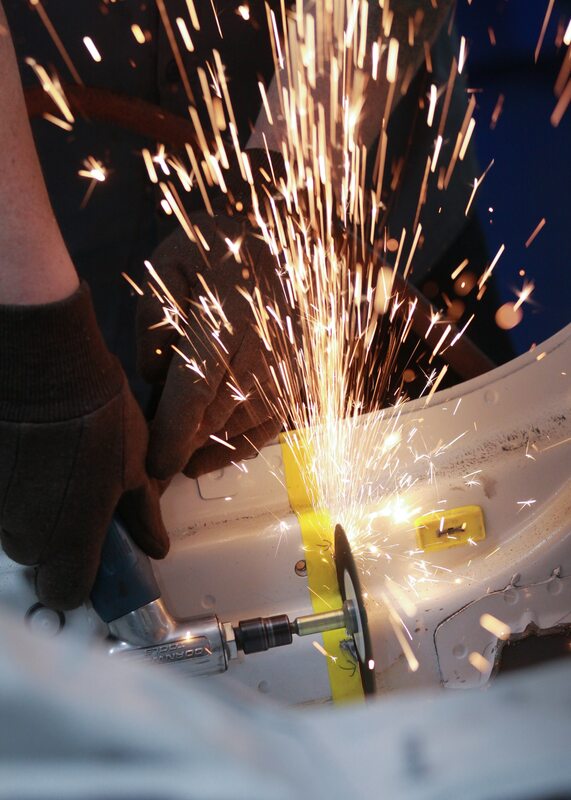 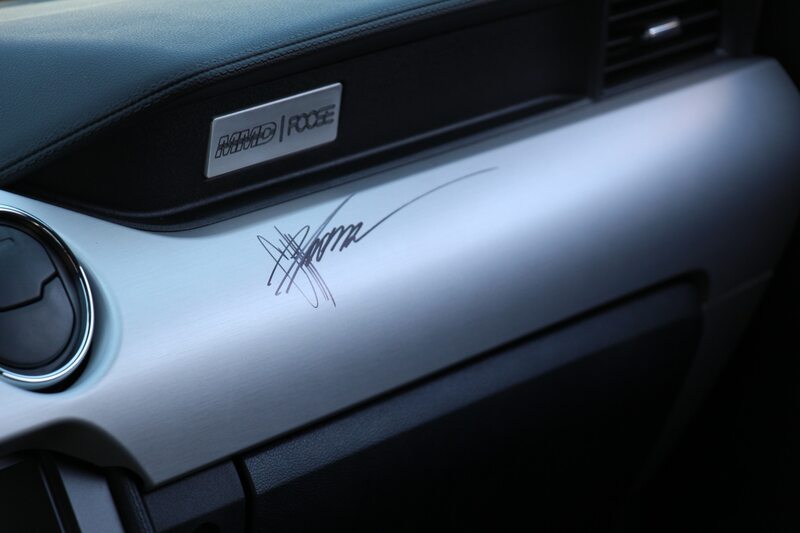 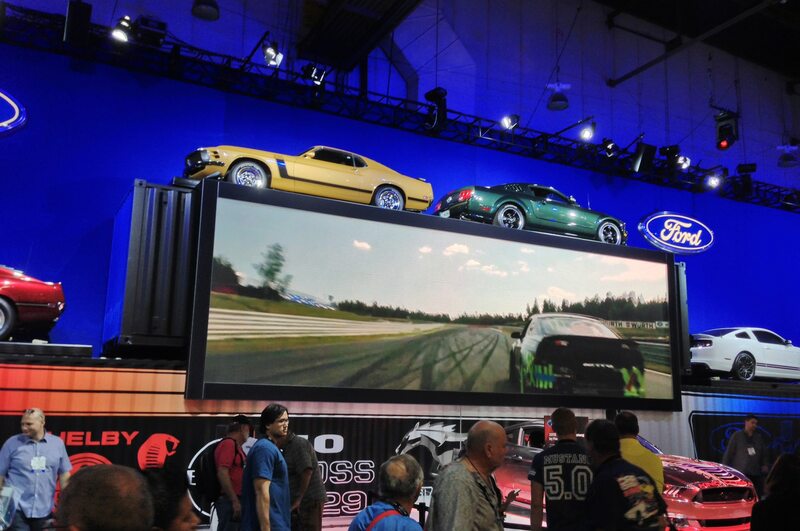 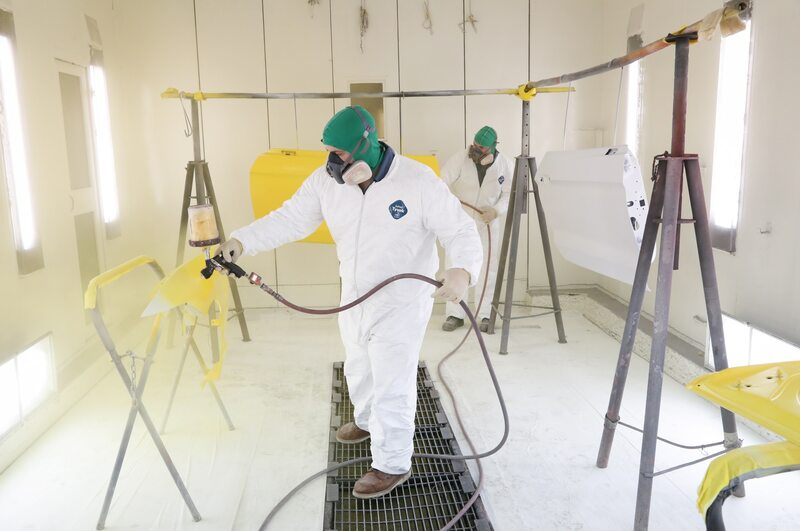 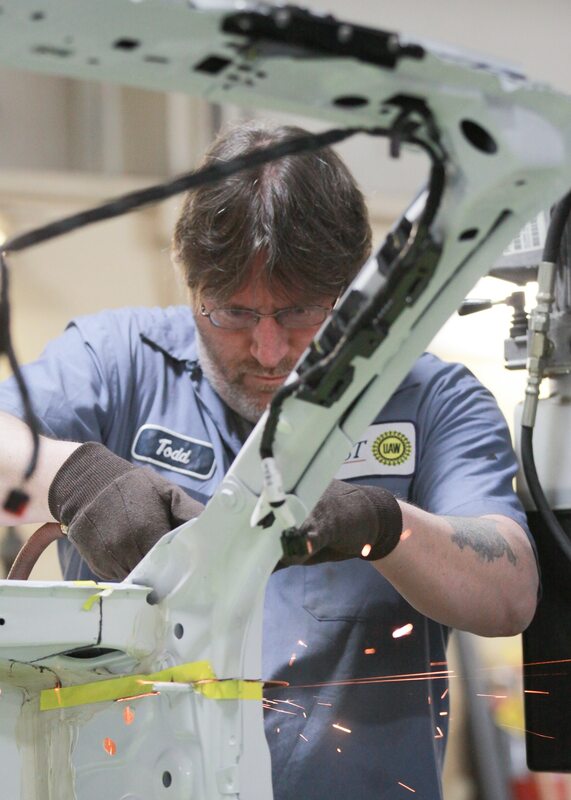 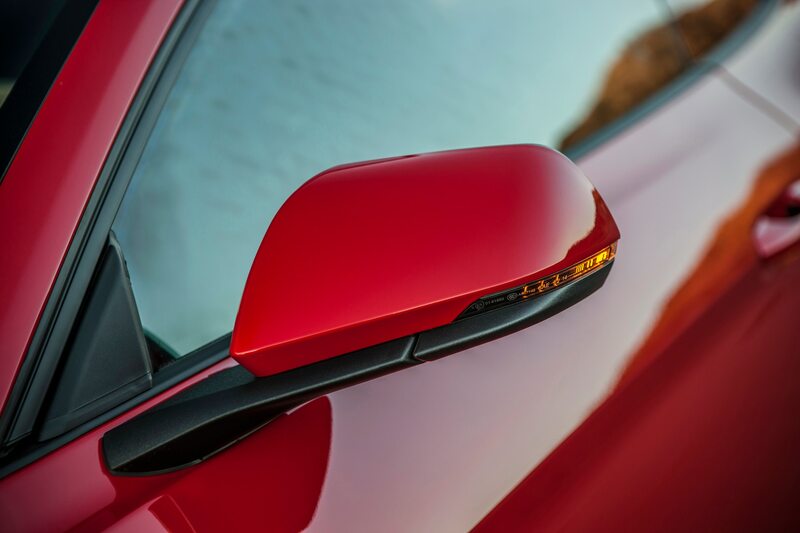 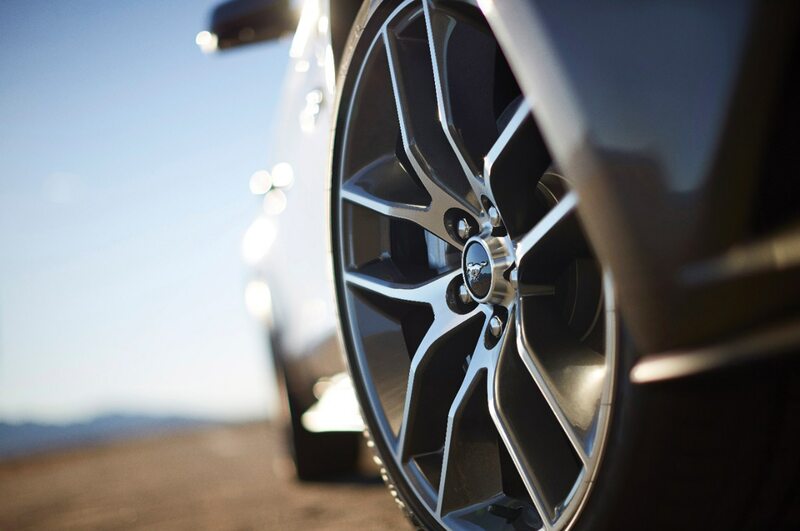 Just 500 units will be built for the inaugural 2015 model year. 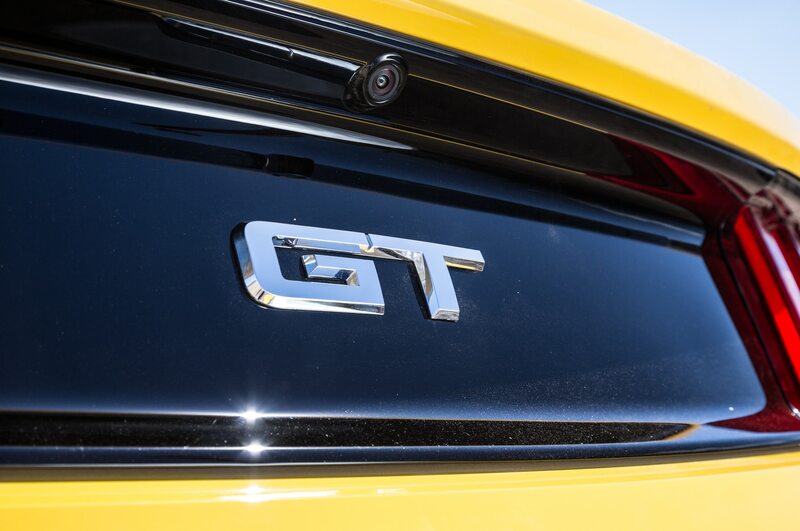 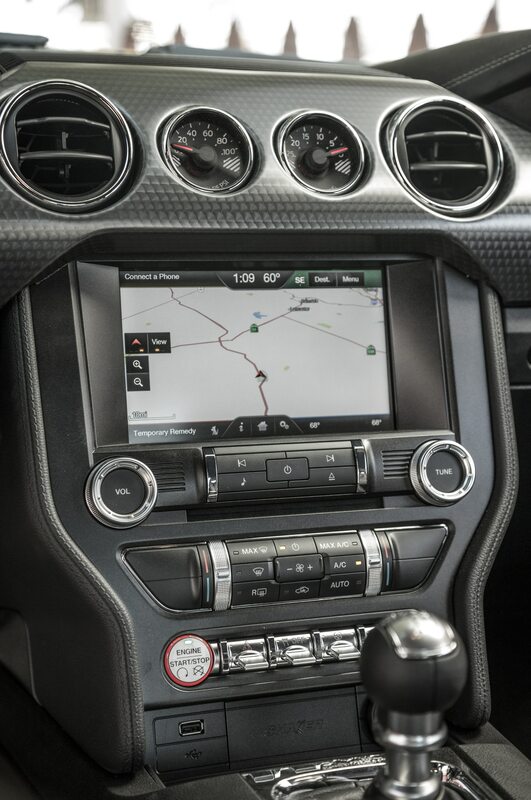 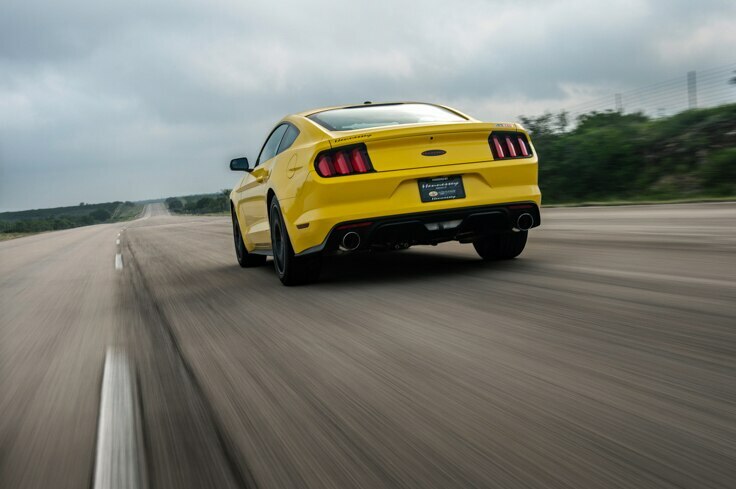 Hennessey completed its top speed run to 207.9 mph with the HPE750 2015 Ford Mustang on the 8.5-mile oval at the Continental Tire Proving Grounds in Texas. 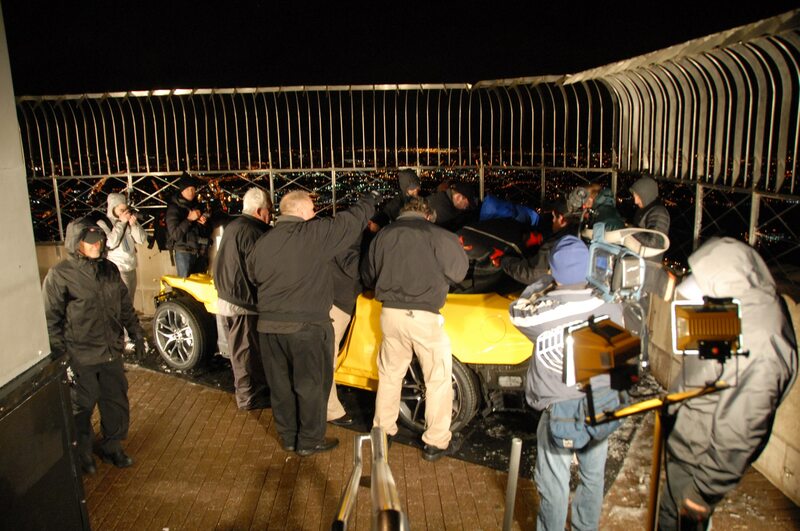 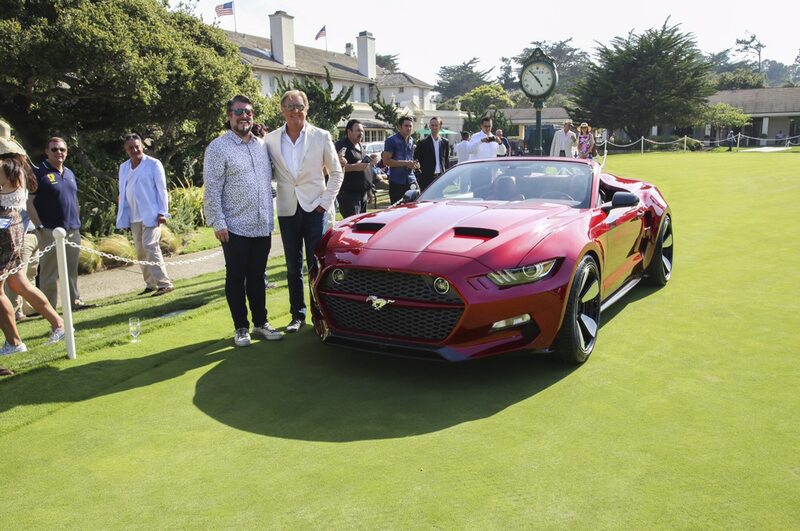 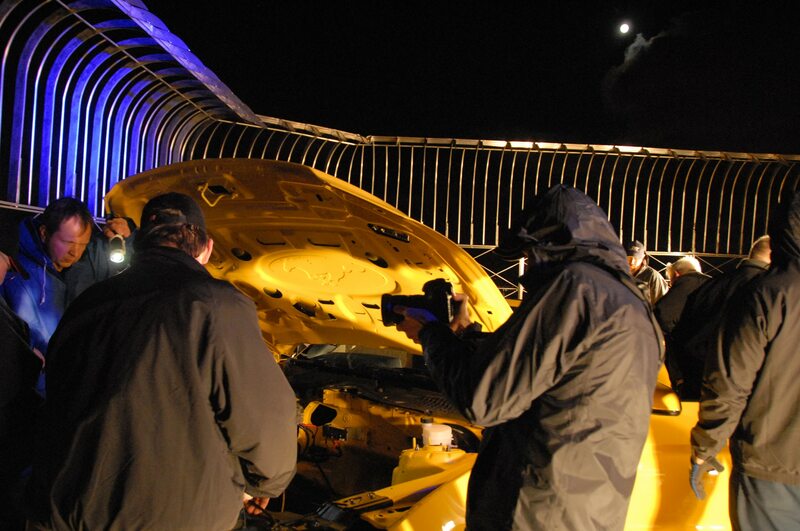 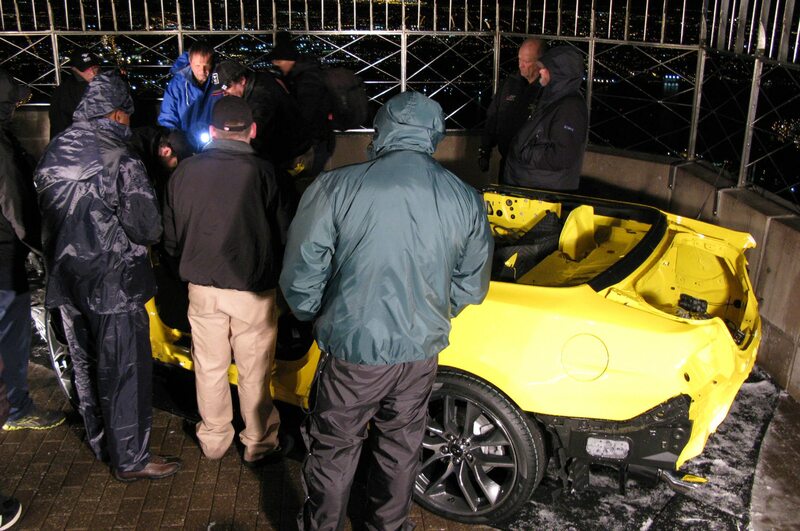 On site to witness the stunt was none other than denim car mogul Jay Leno, who was there to film an episode of Jay Leno’s Garage. 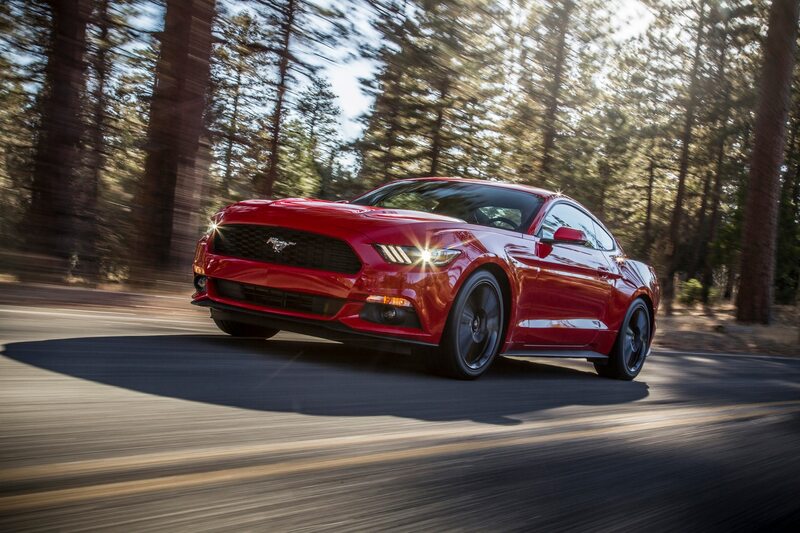 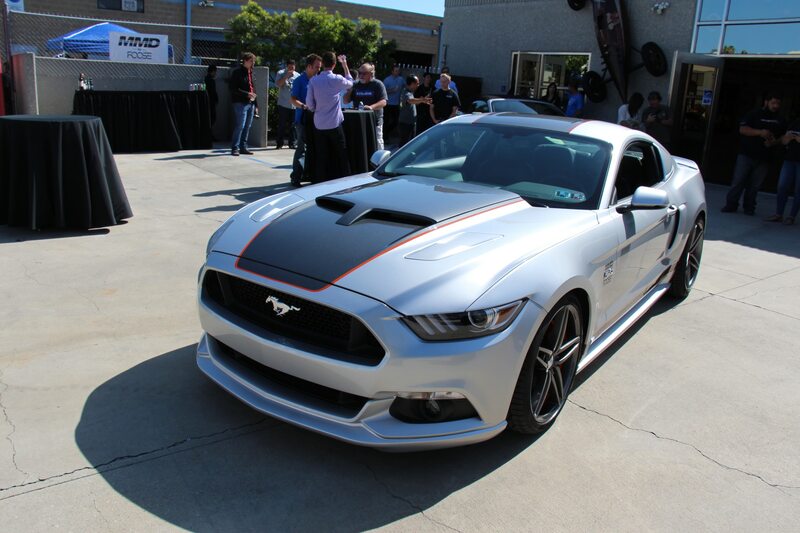 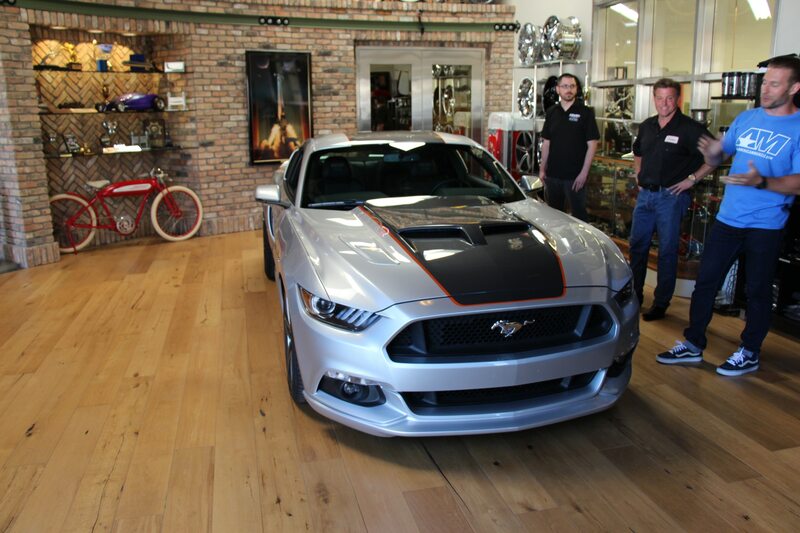 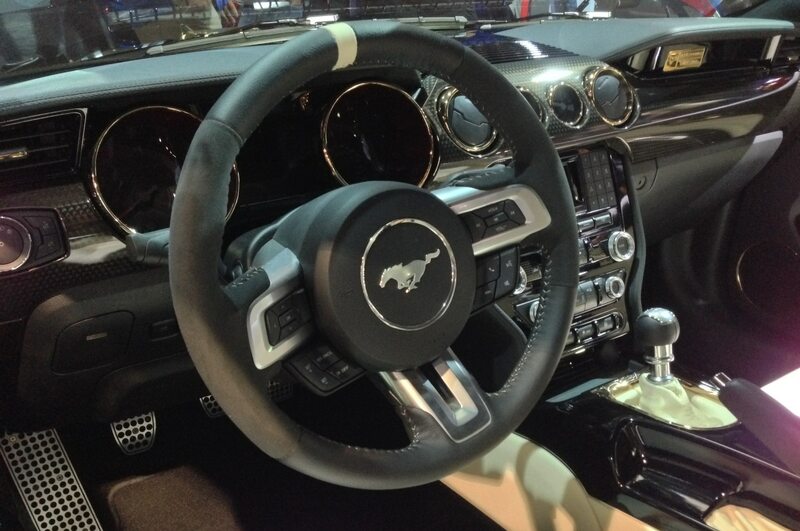 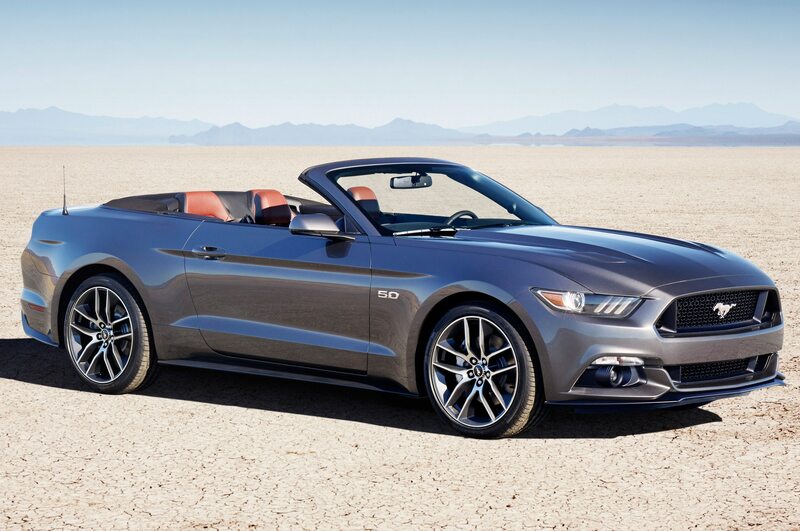 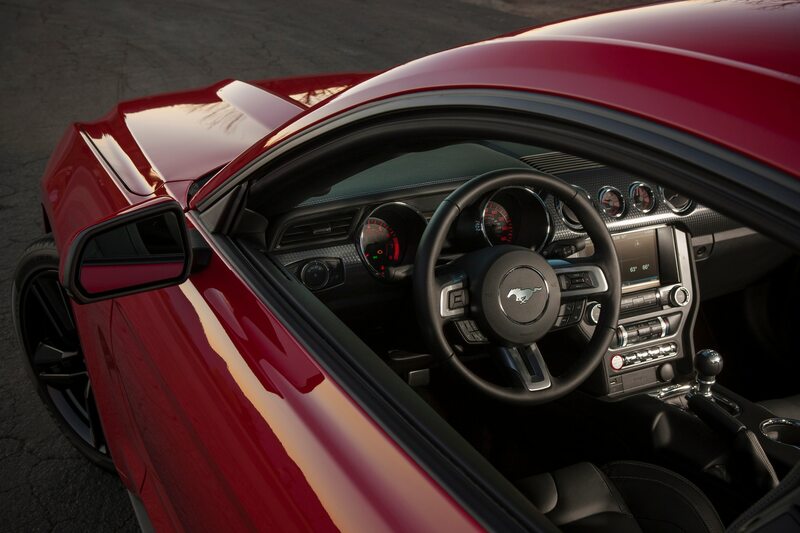 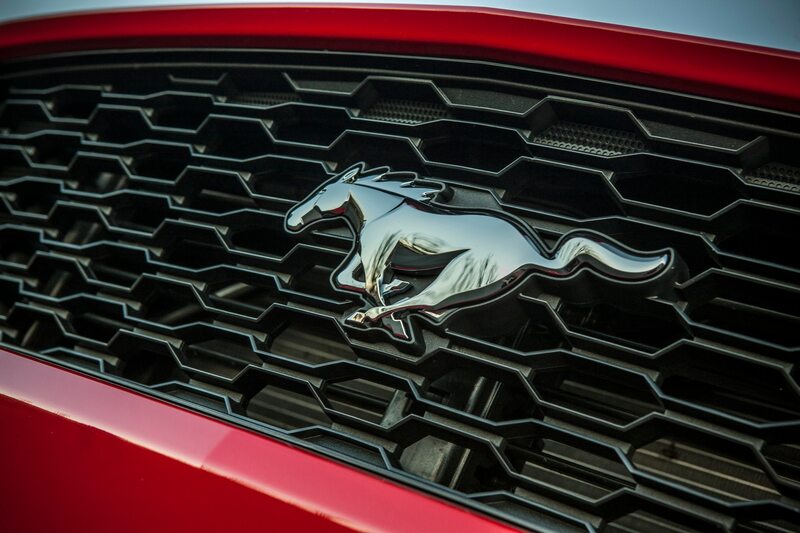 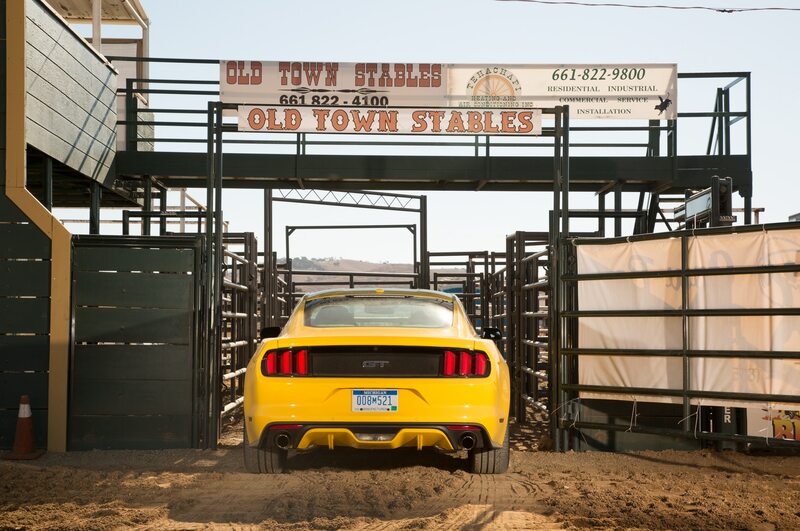 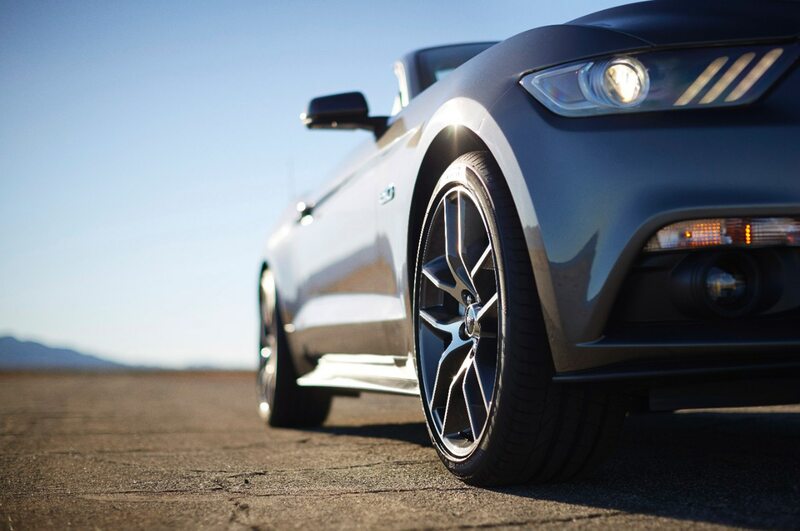 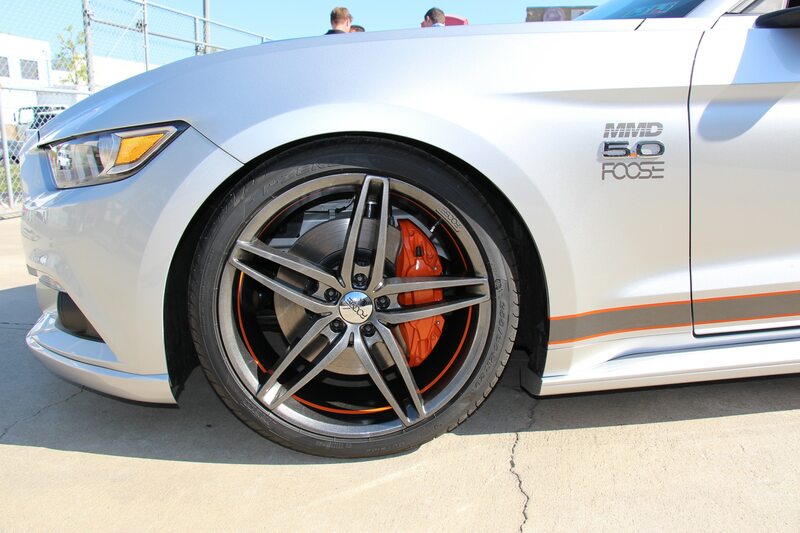 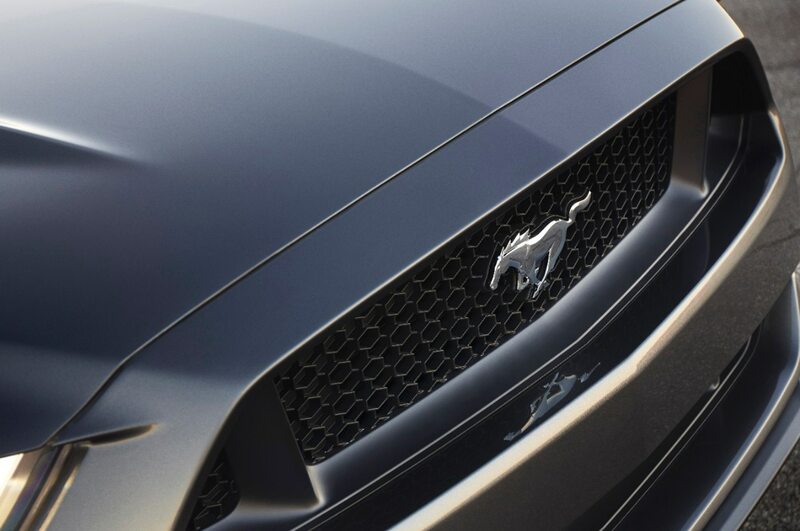 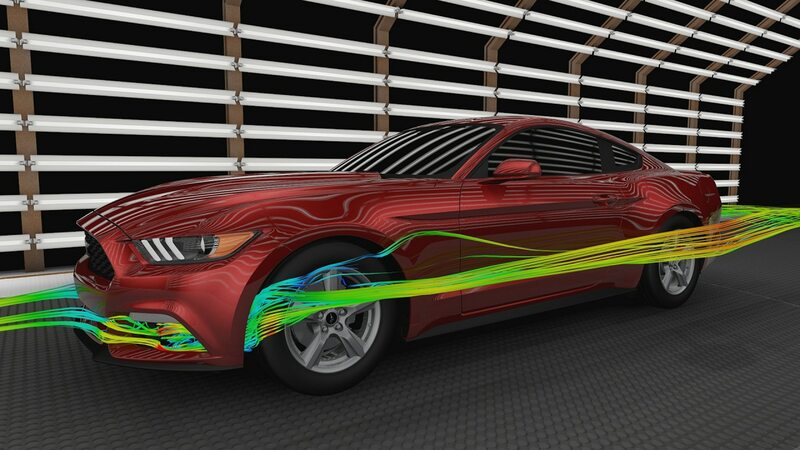 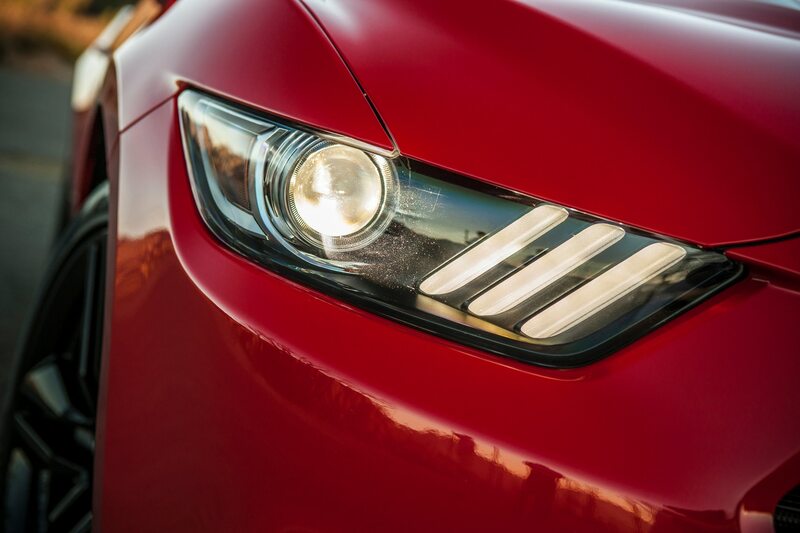 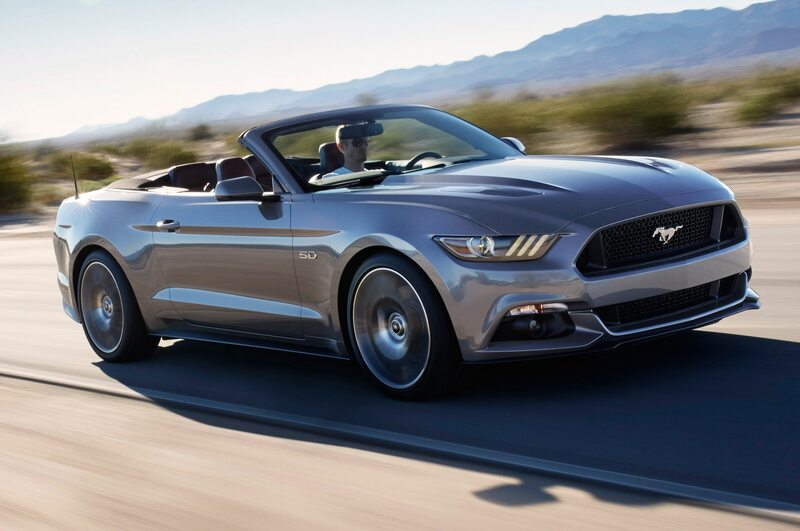 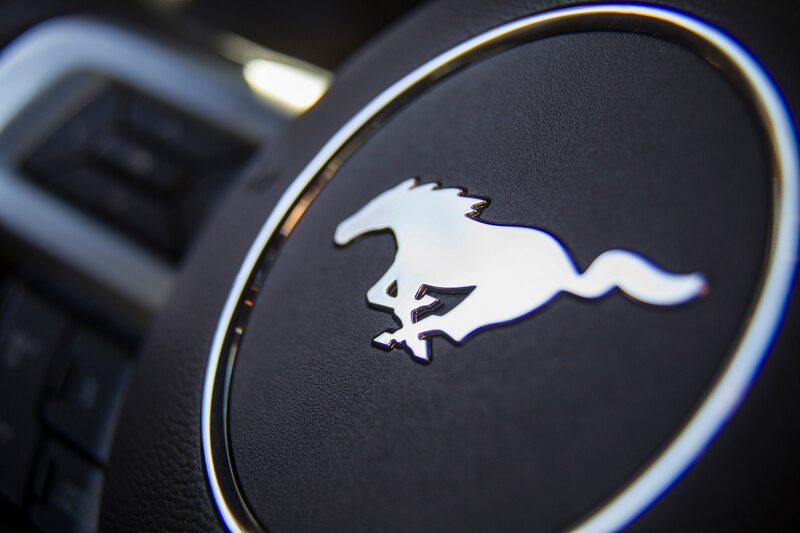 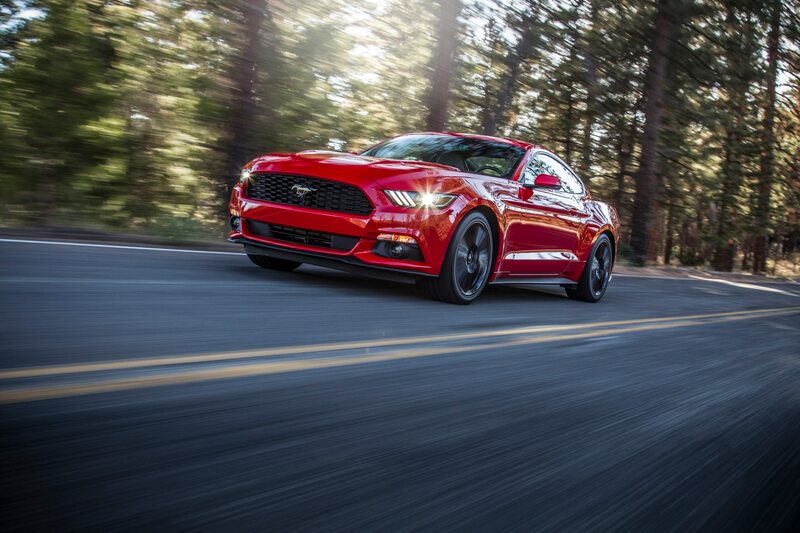 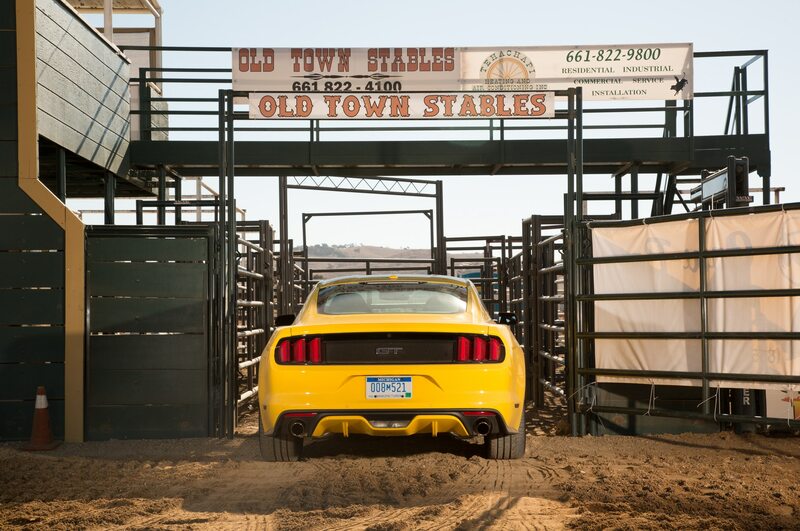 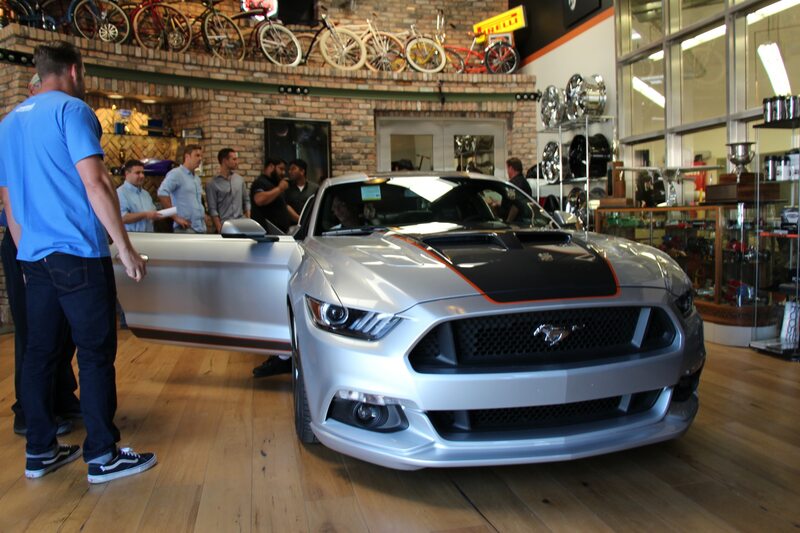 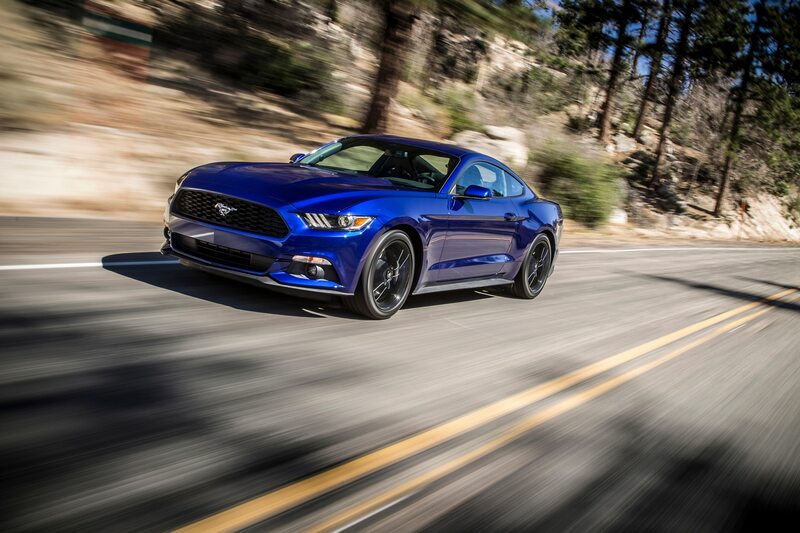 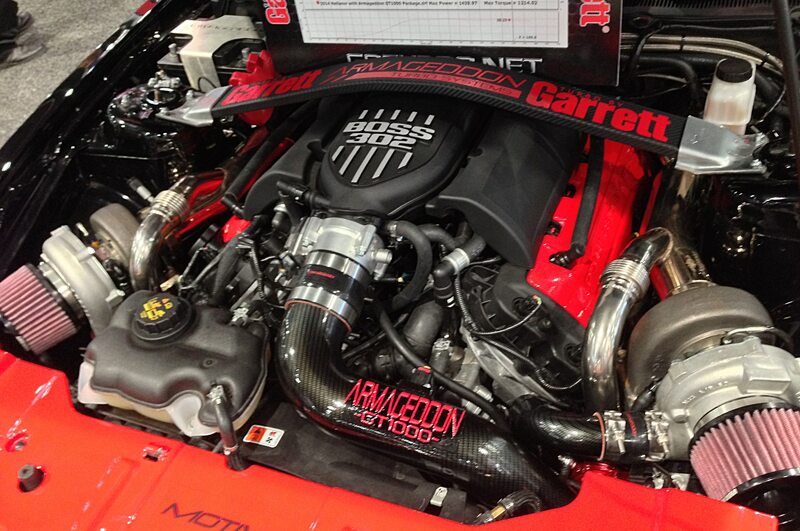 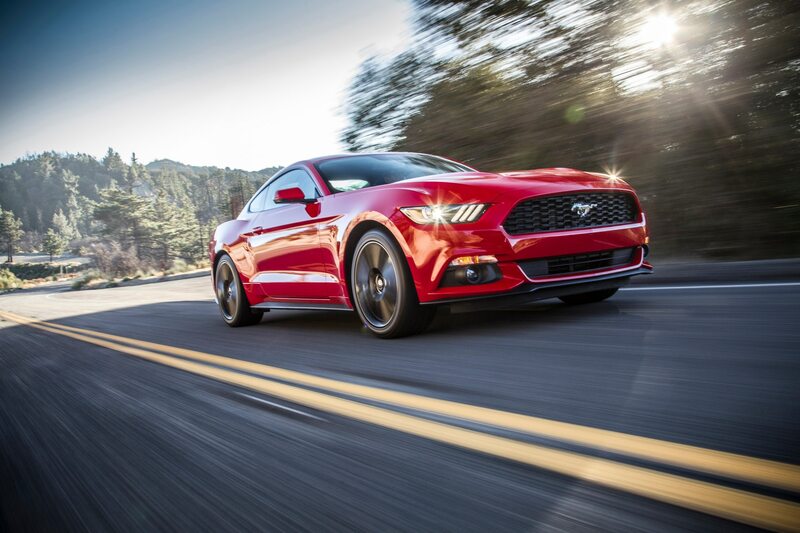 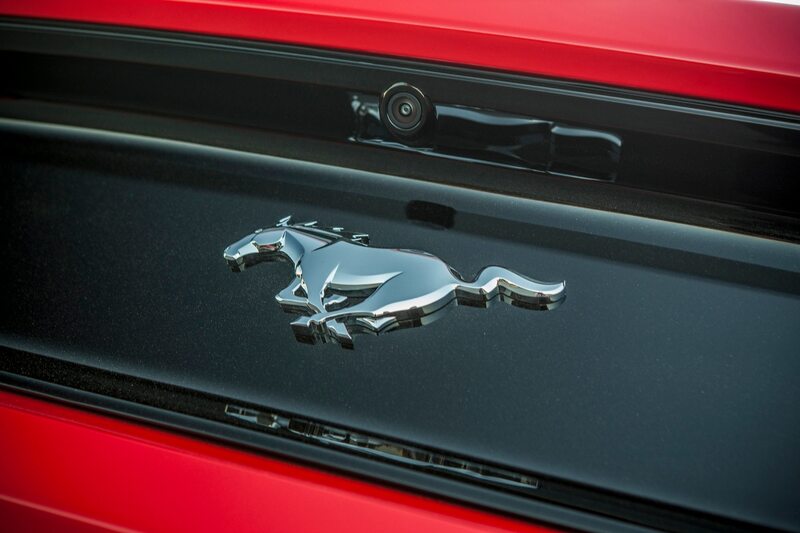 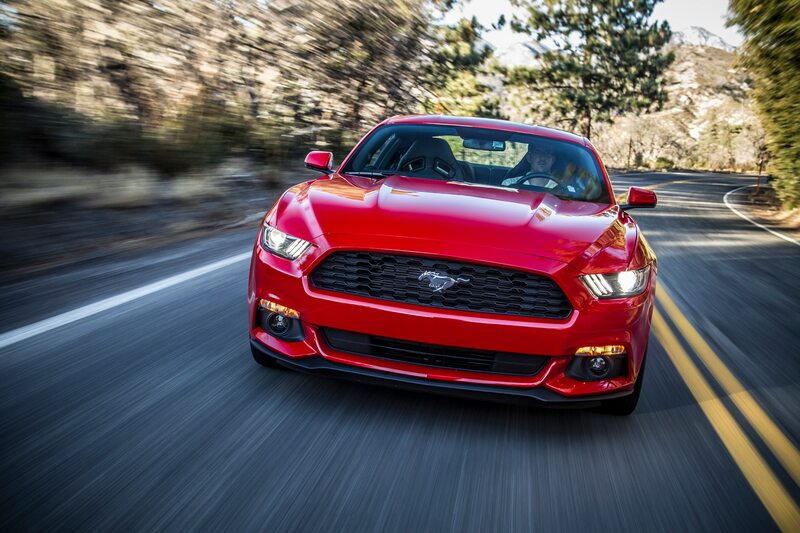 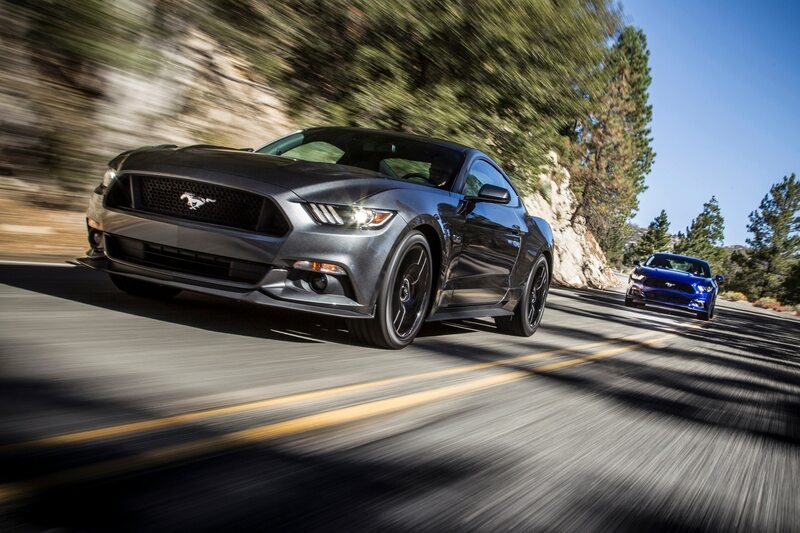 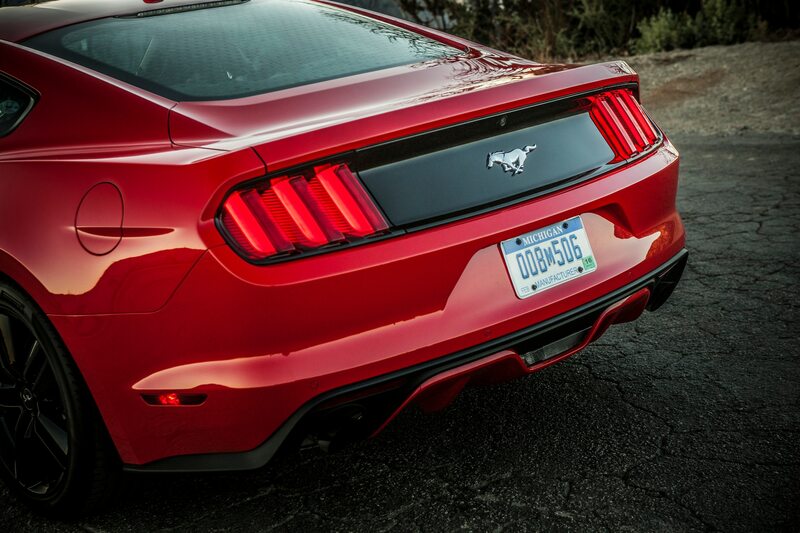 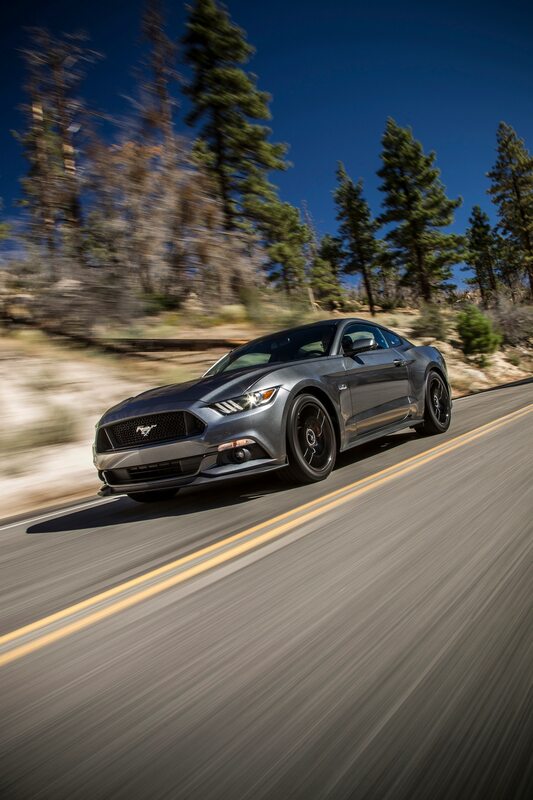 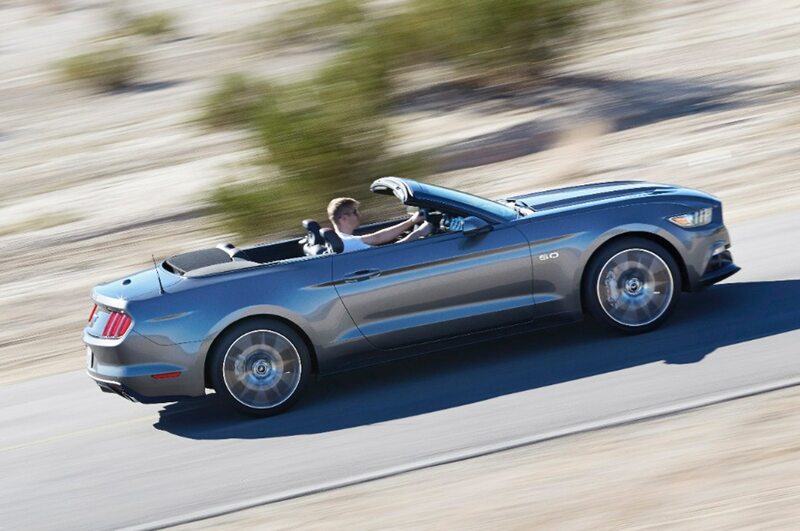 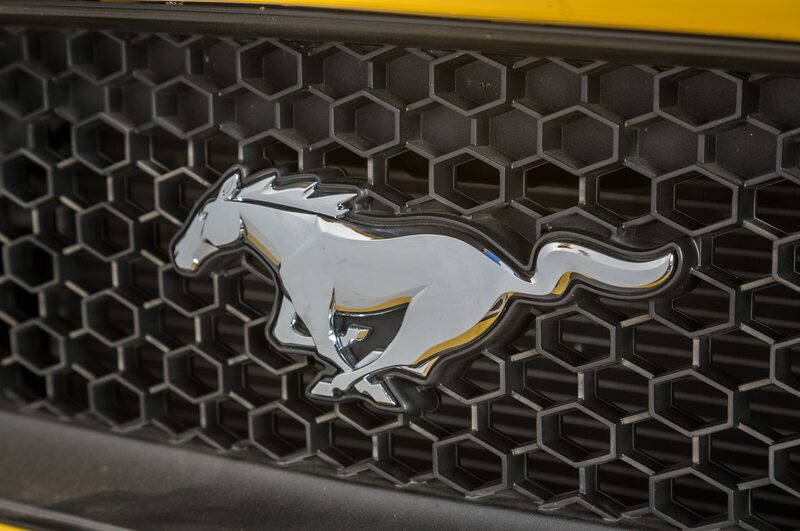 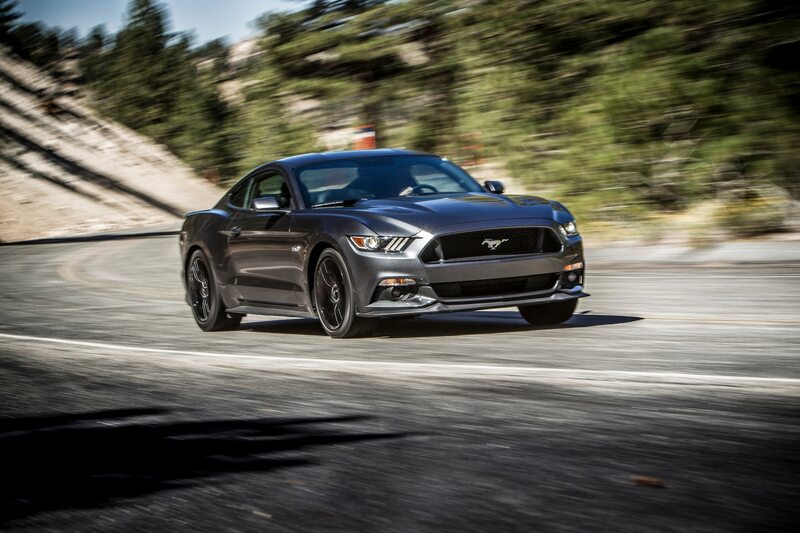 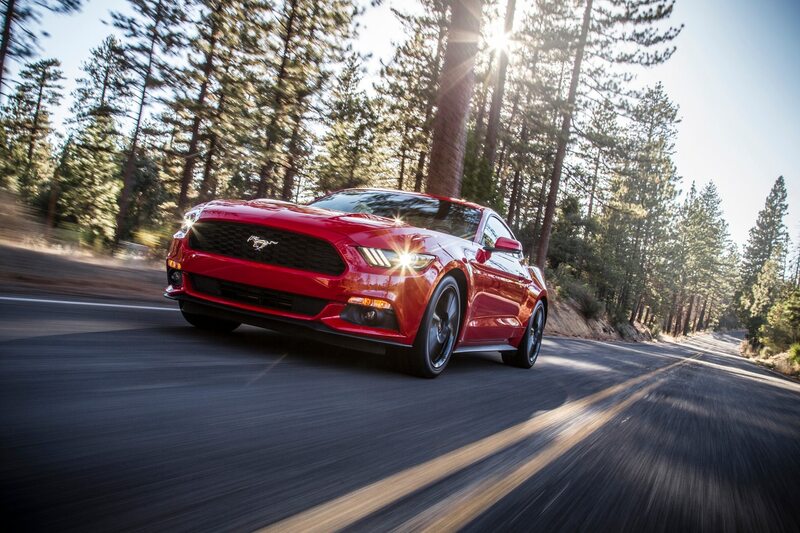 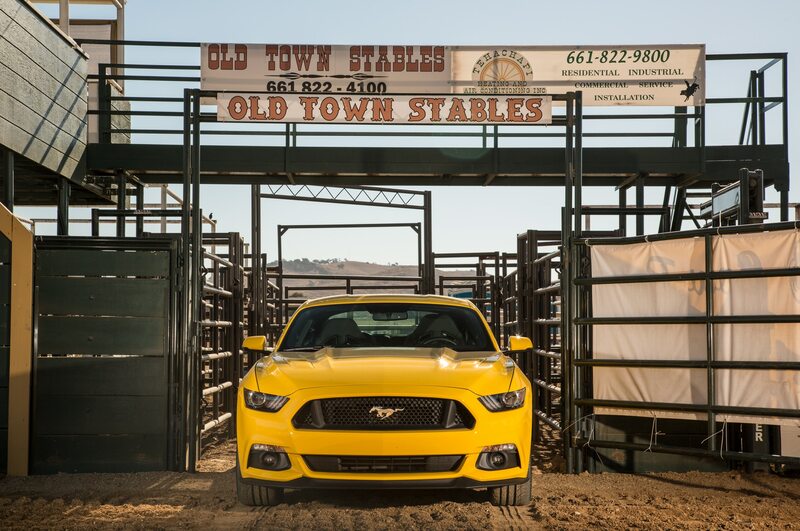 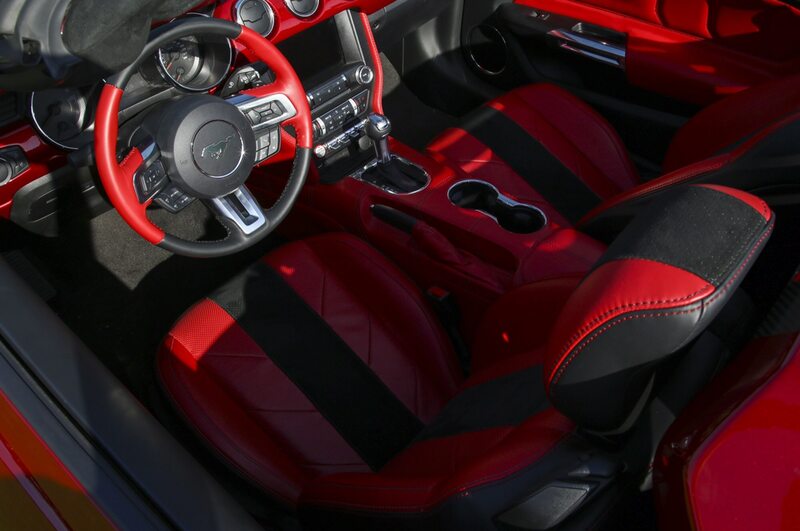 Check out the video to experience the sights and sounds of a Texas-bred 200-mph Mustang.